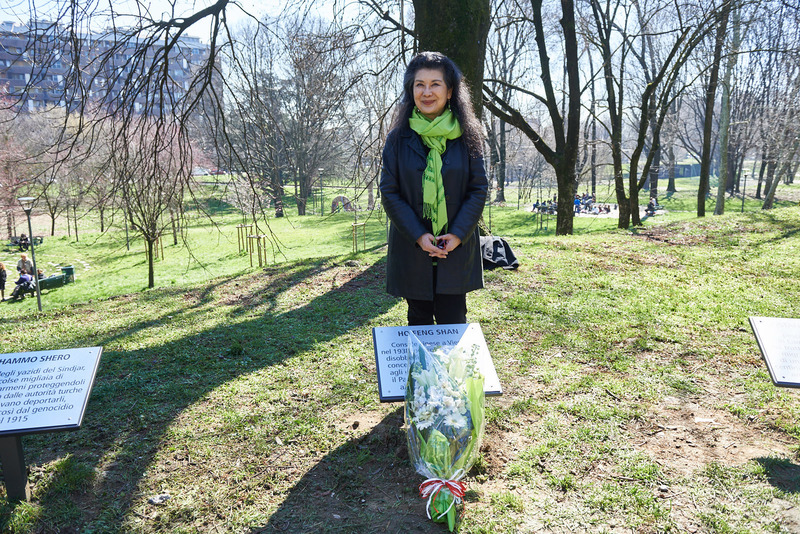 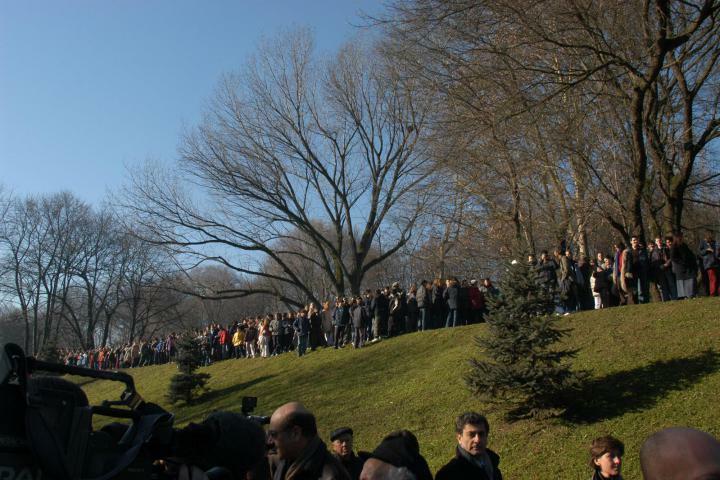 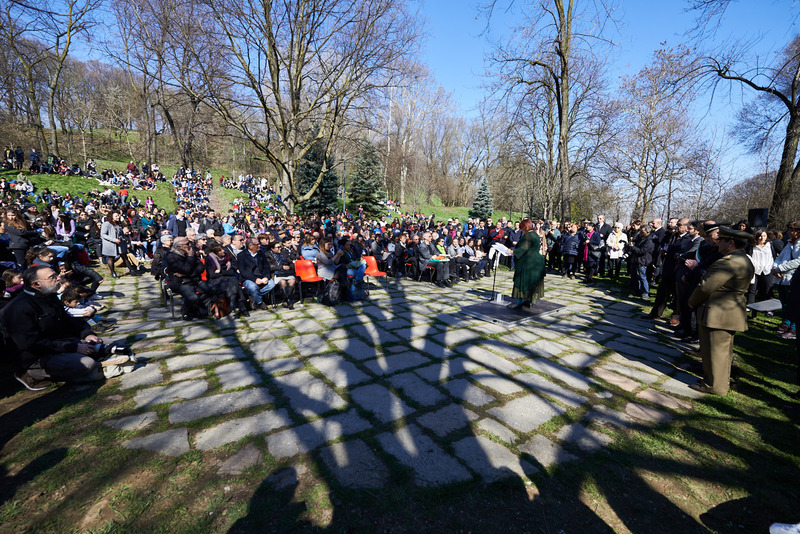 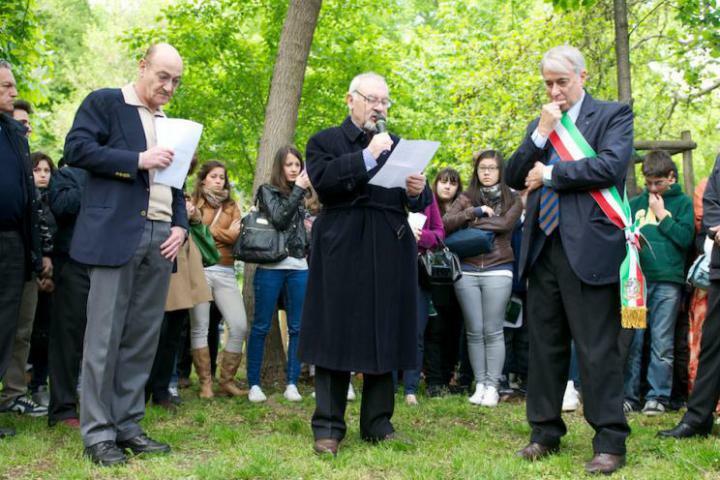 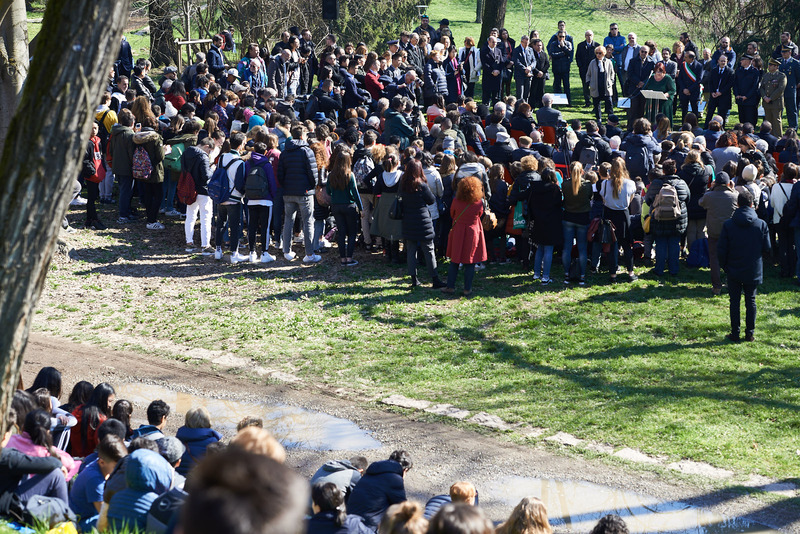 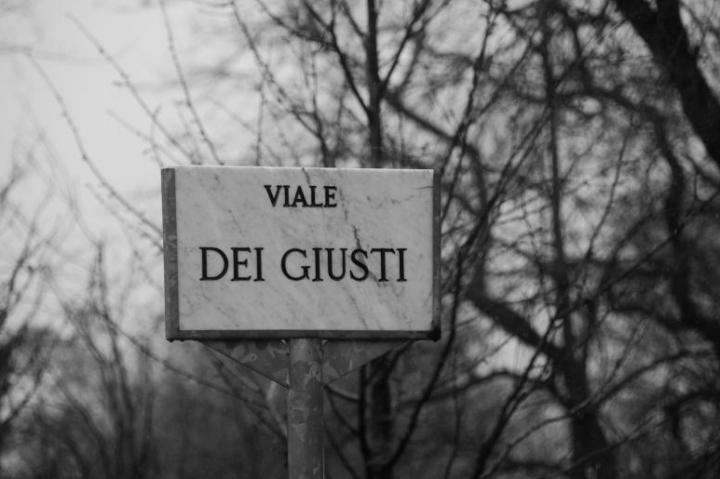 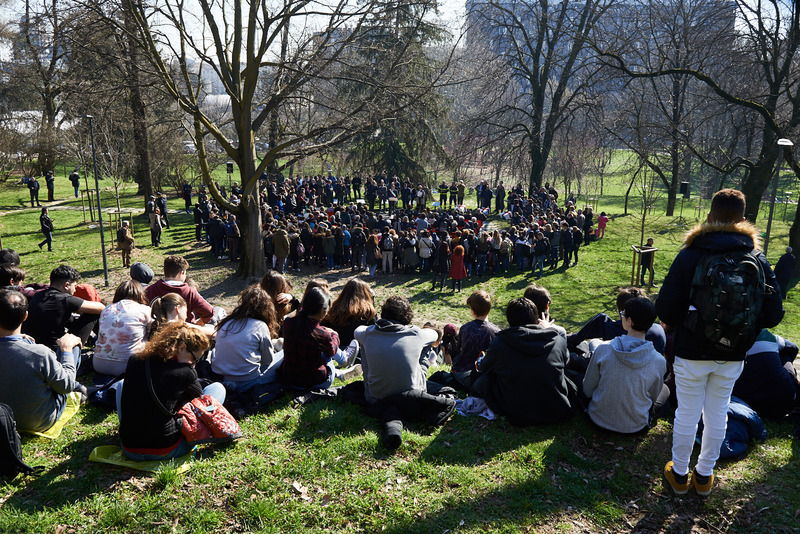 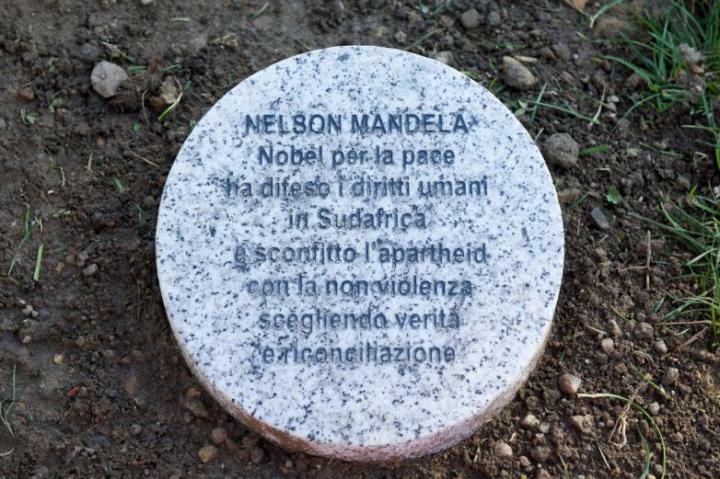 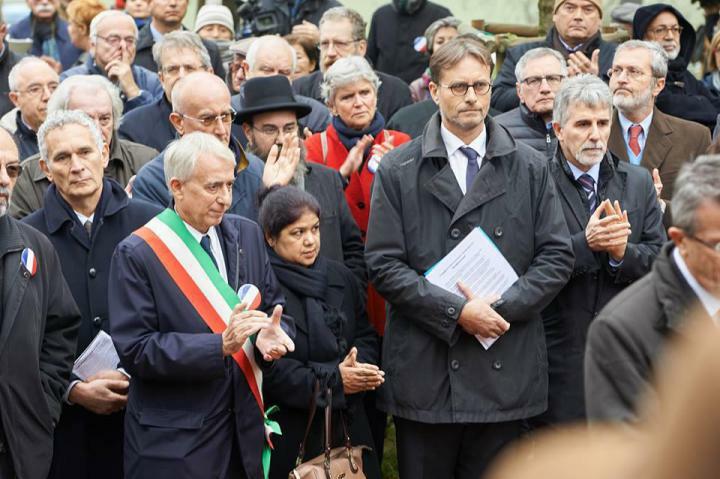 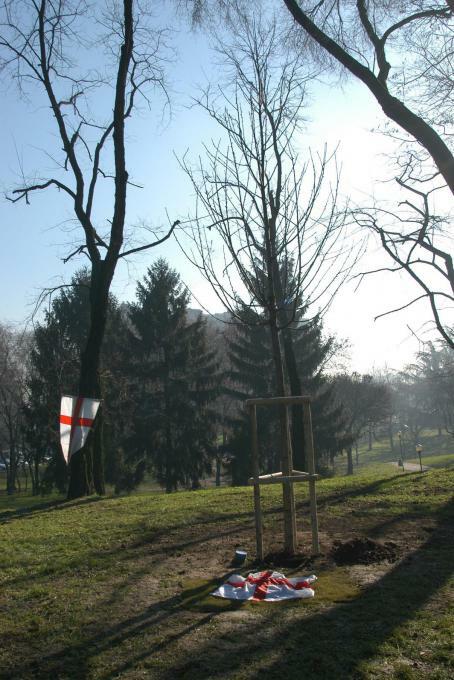 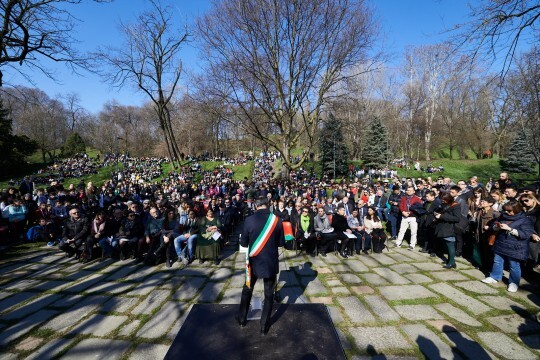 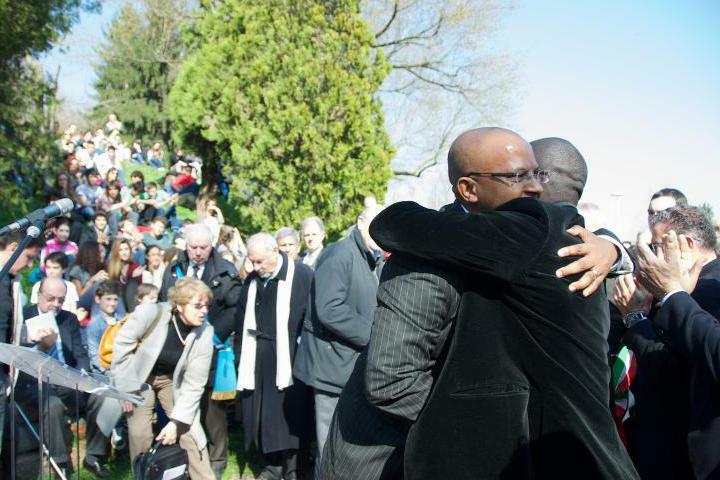 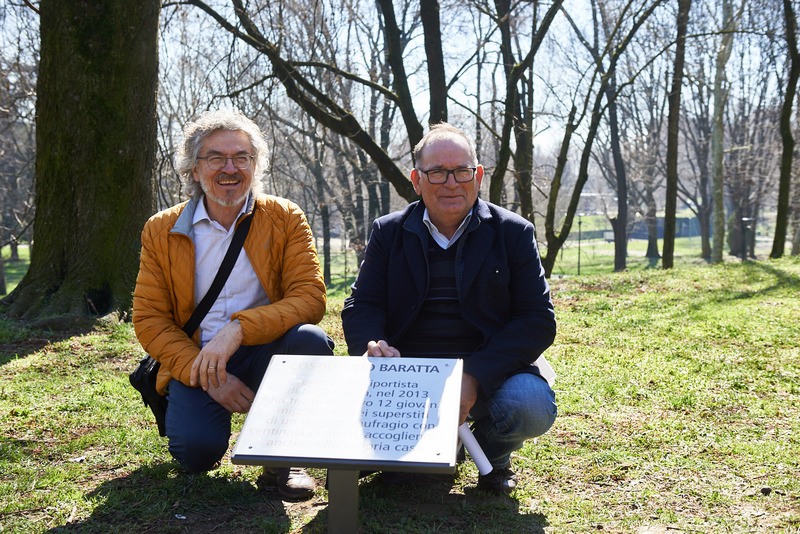 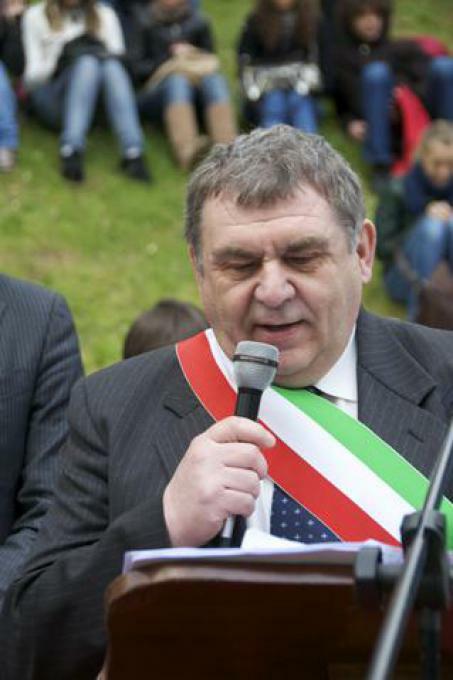 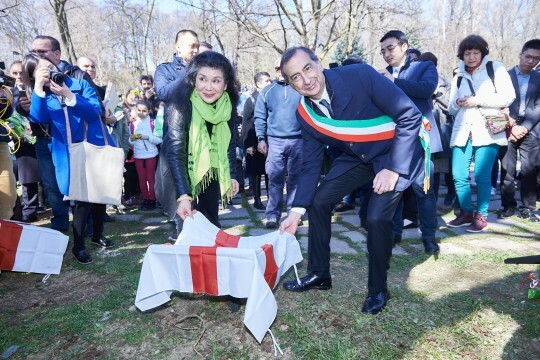 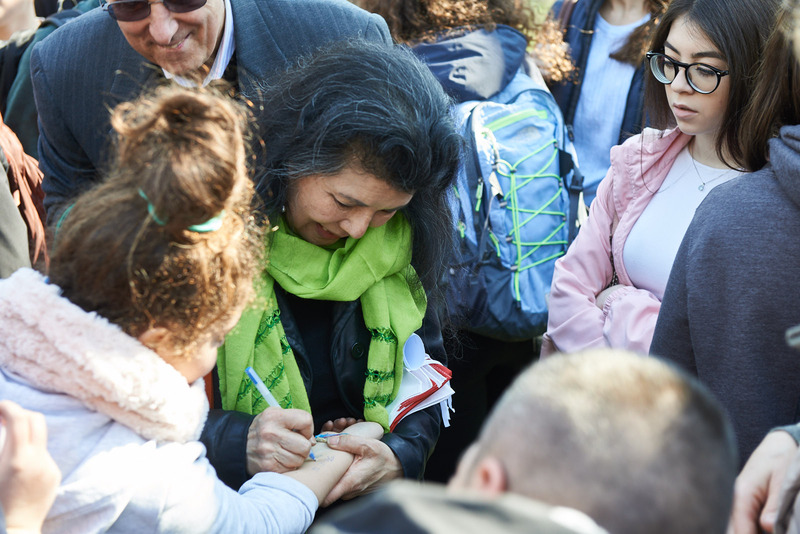 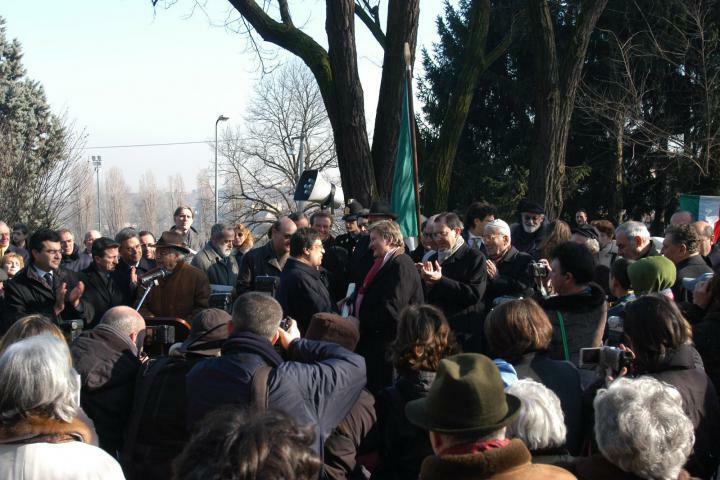 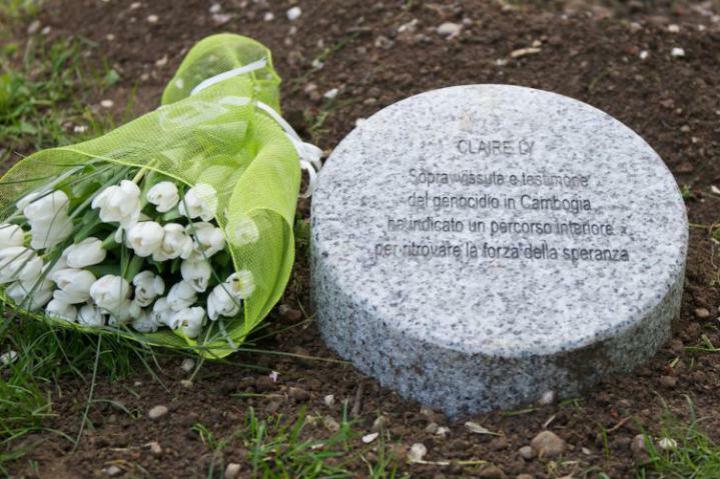 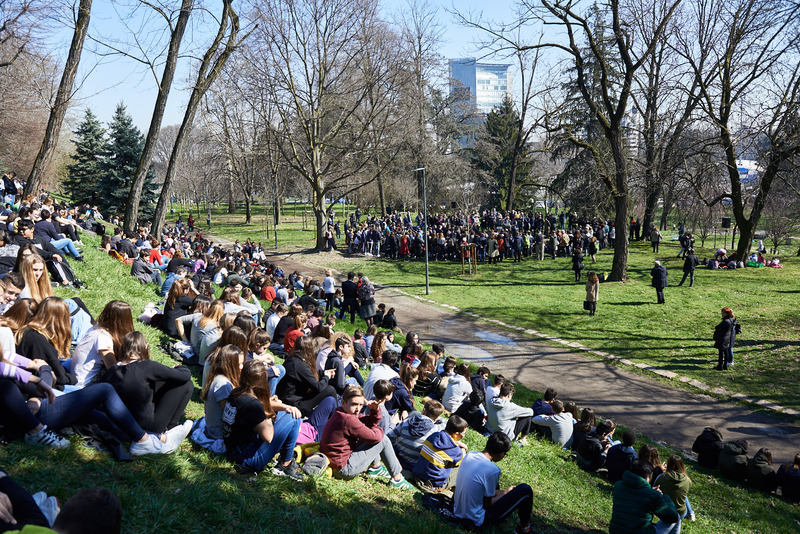 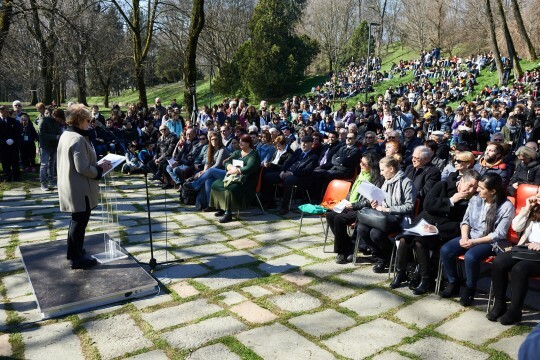 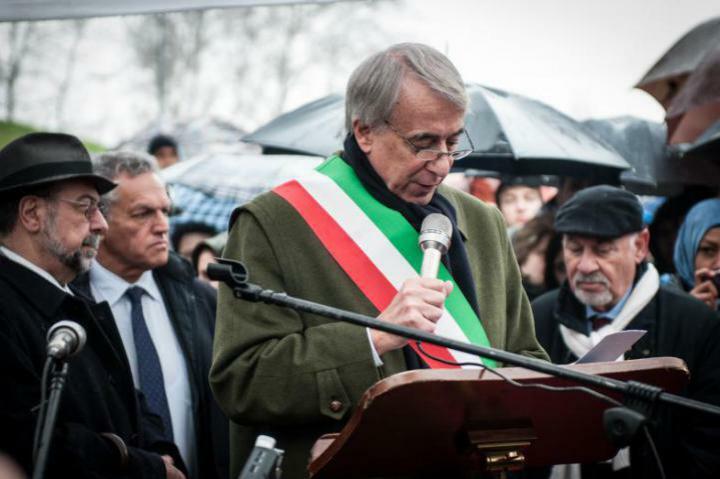 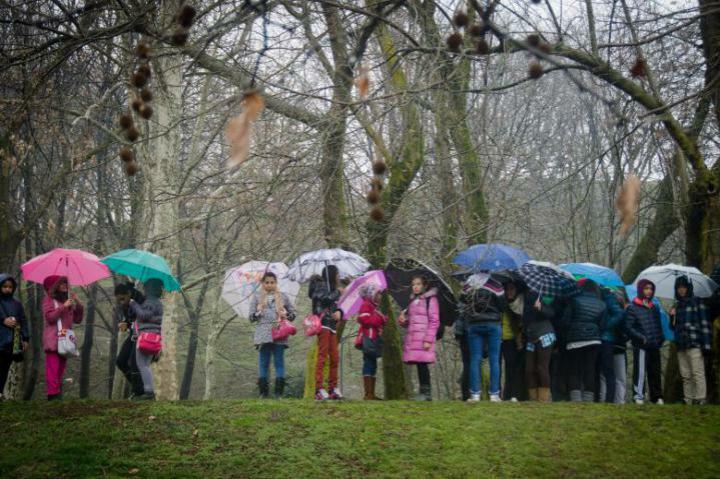 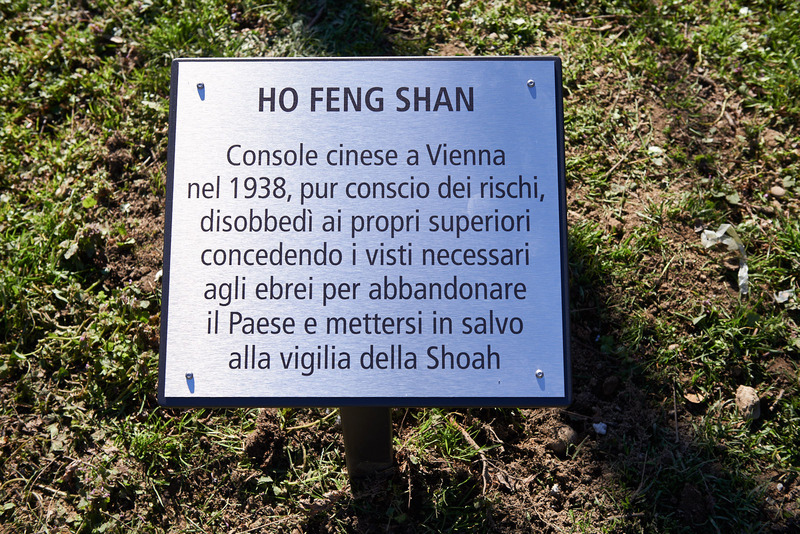 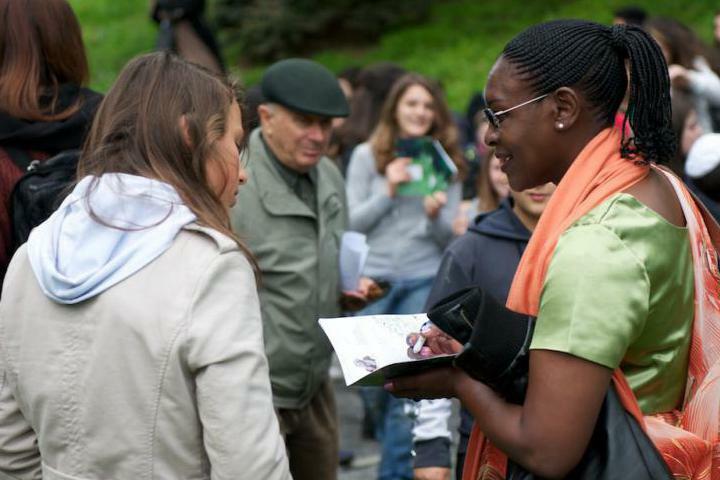 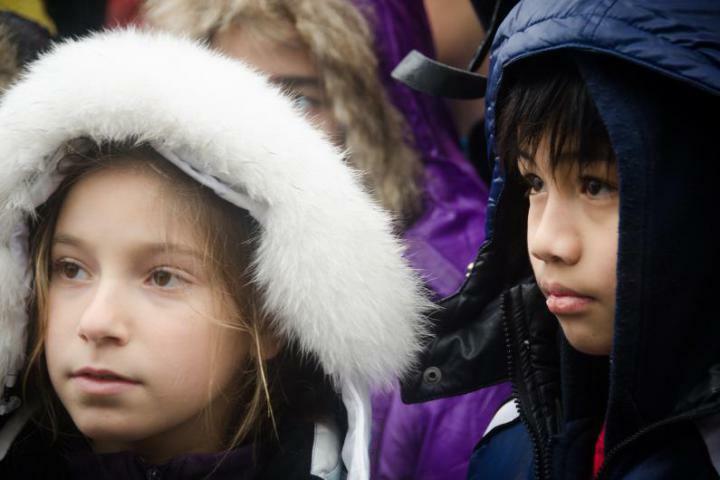 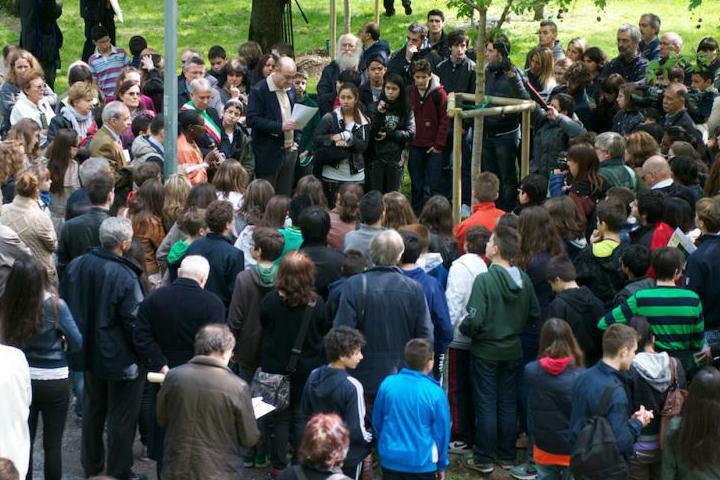 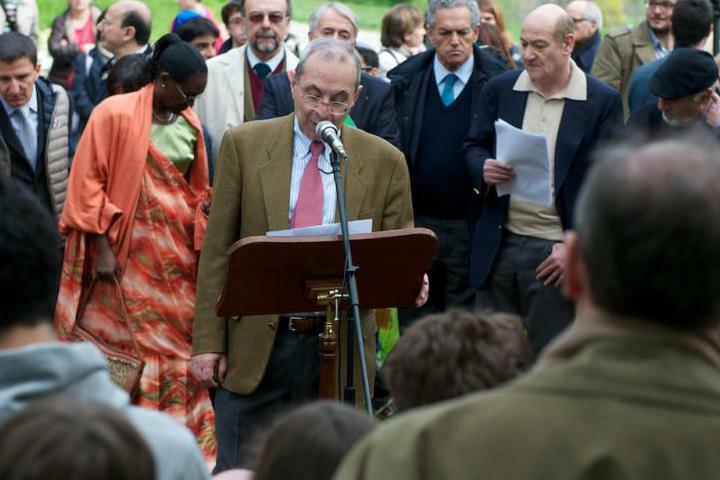 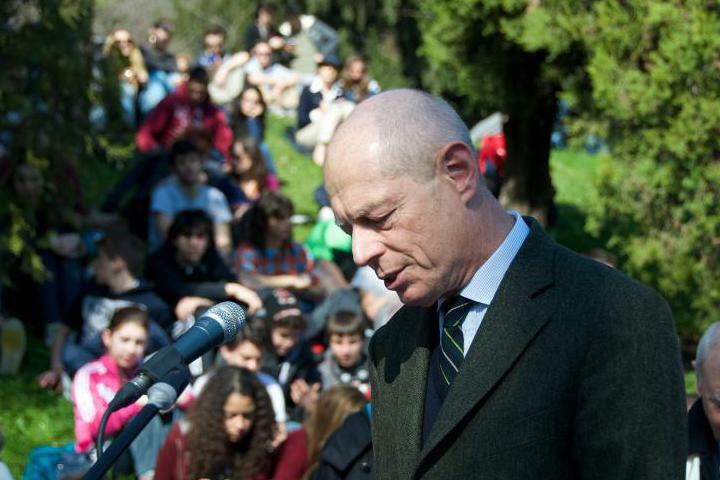 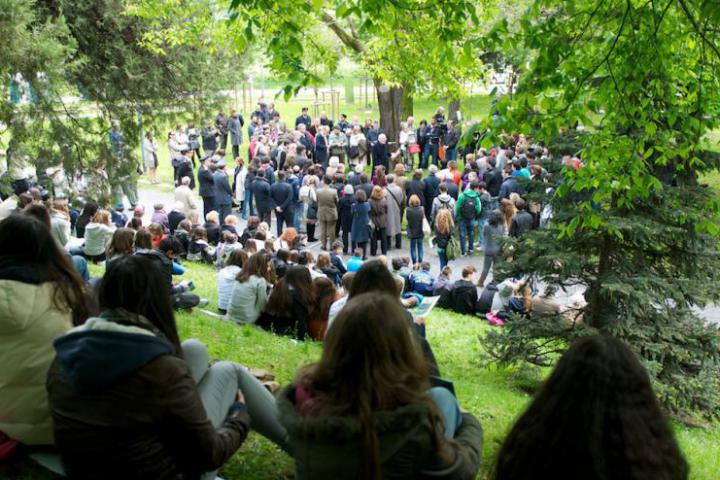 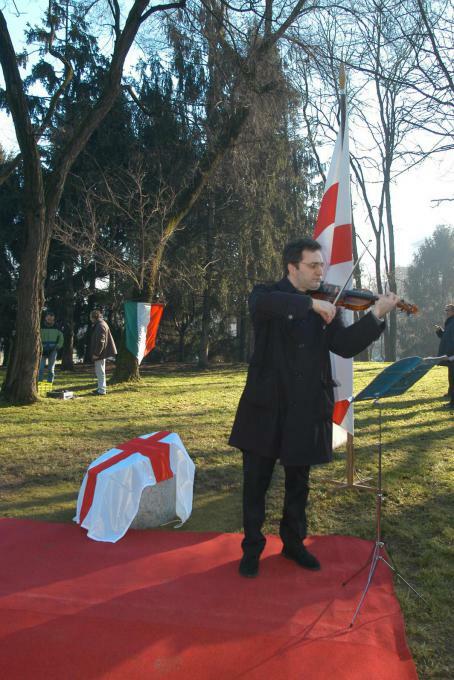 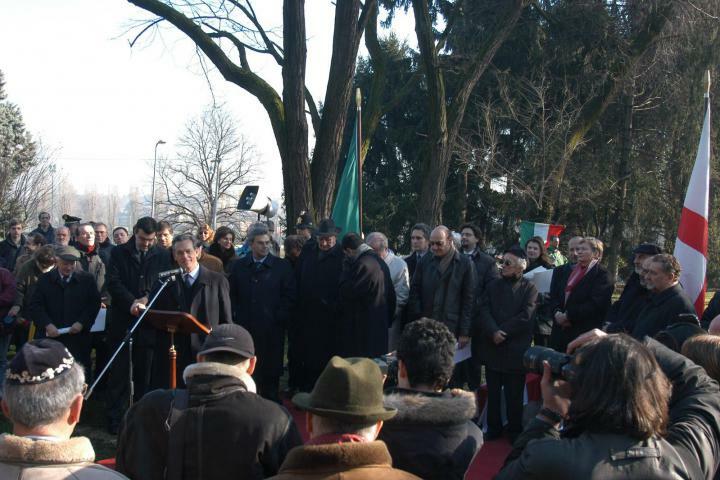 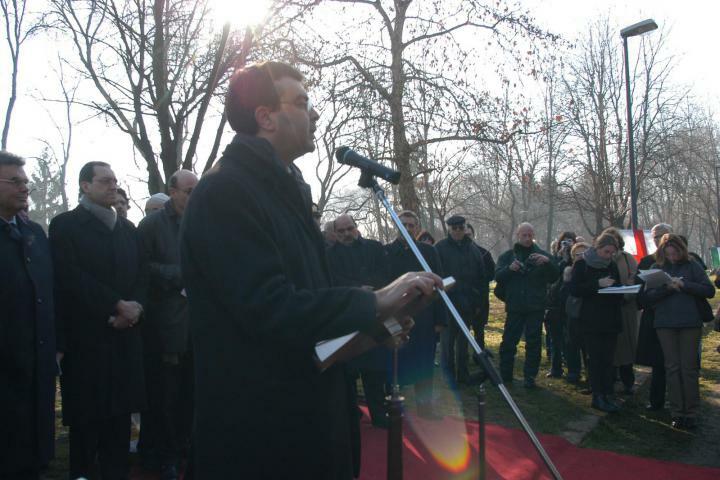 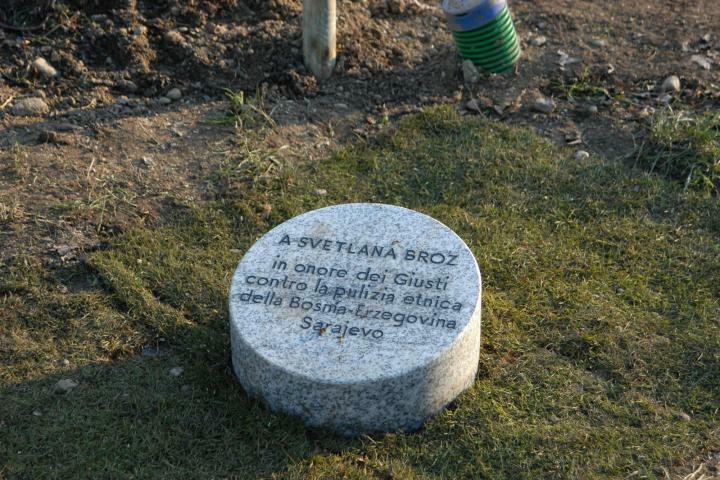 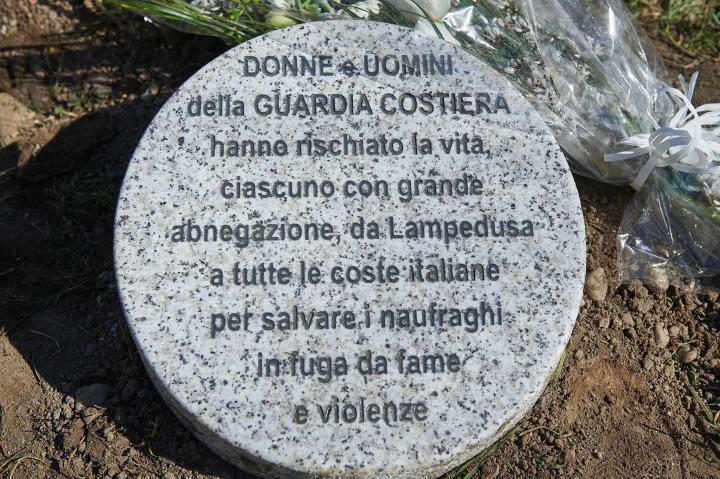 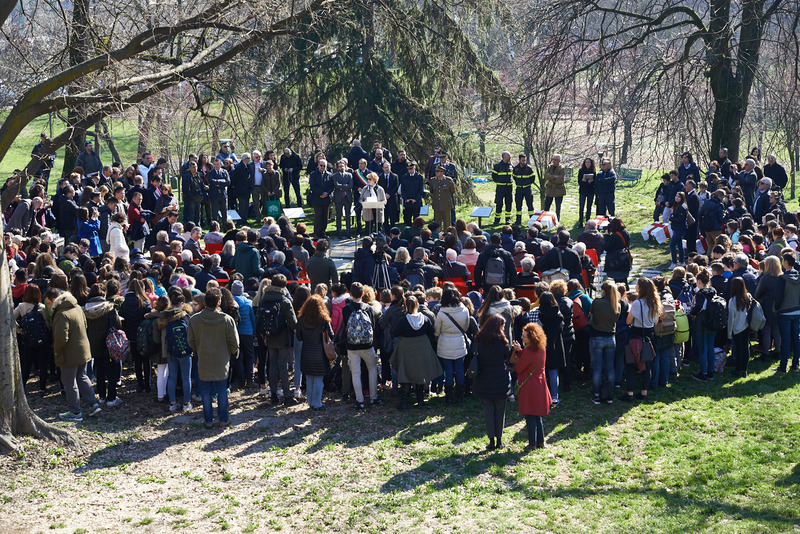 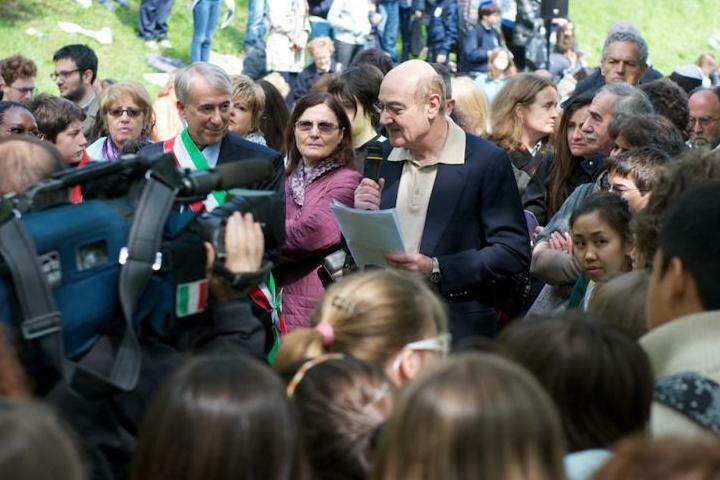 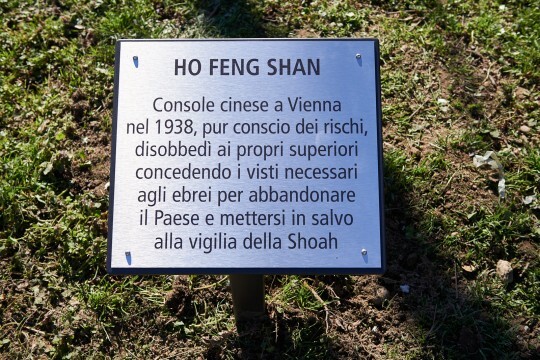 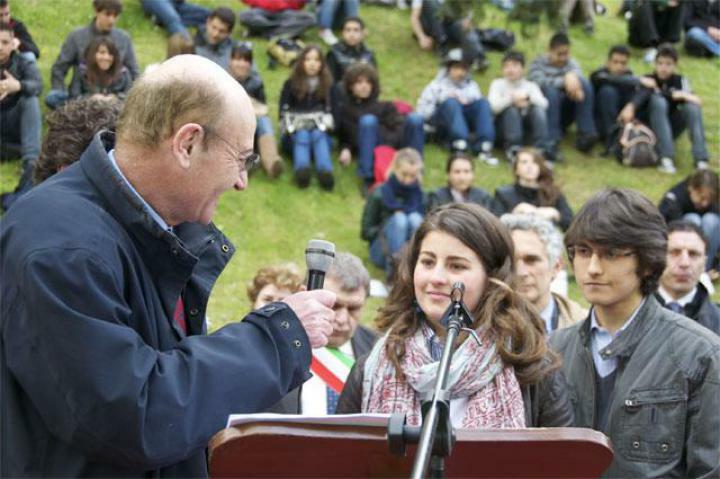 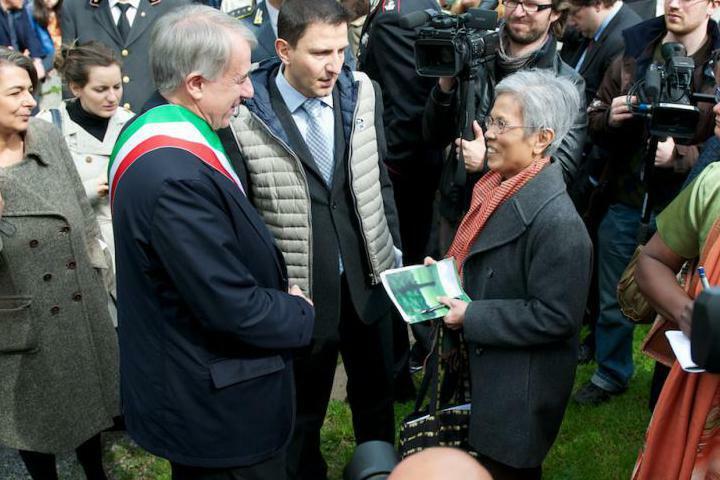 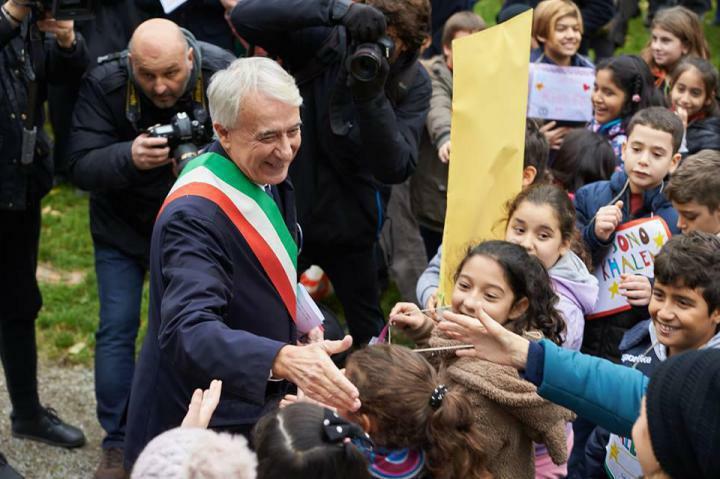 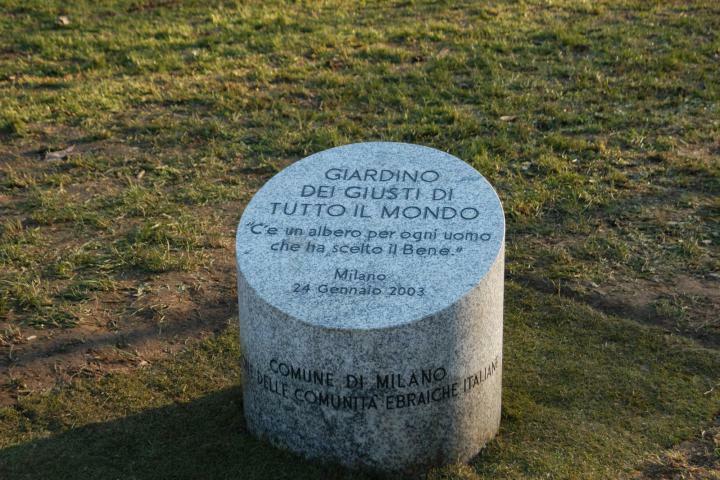 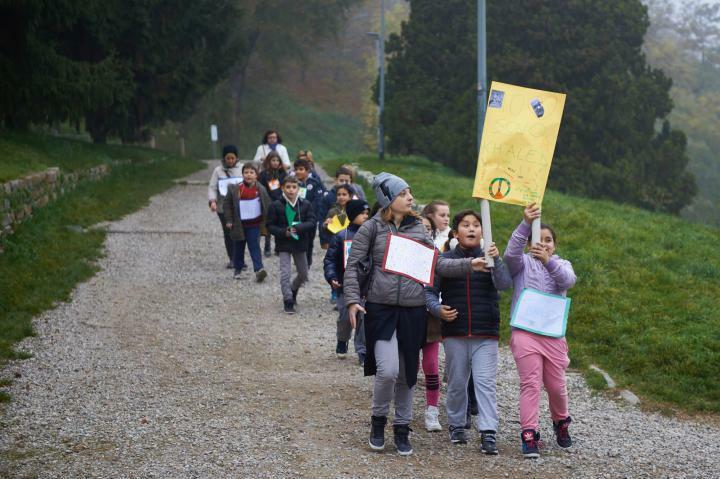 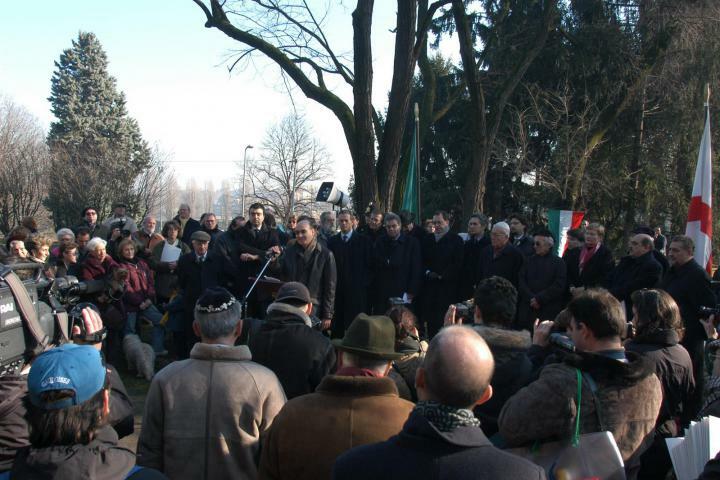 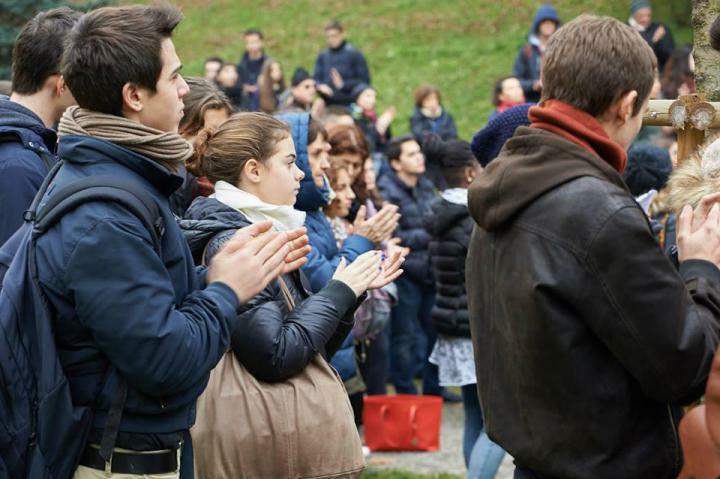 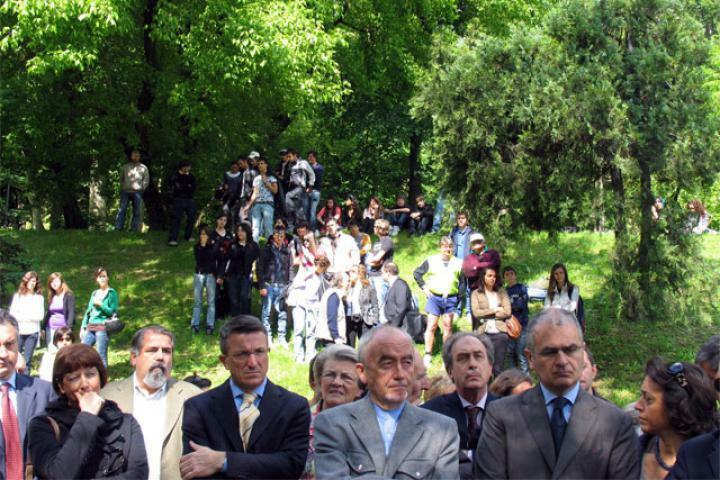 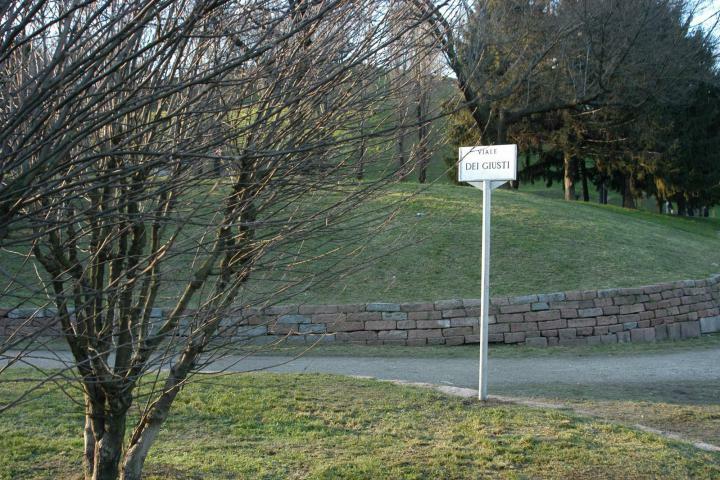 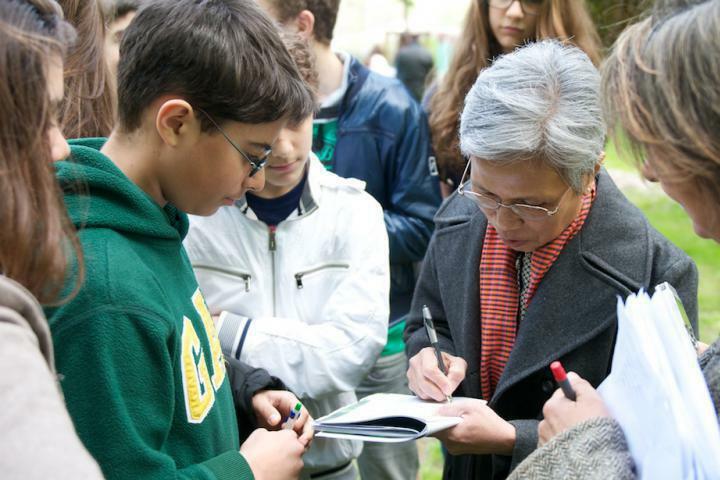 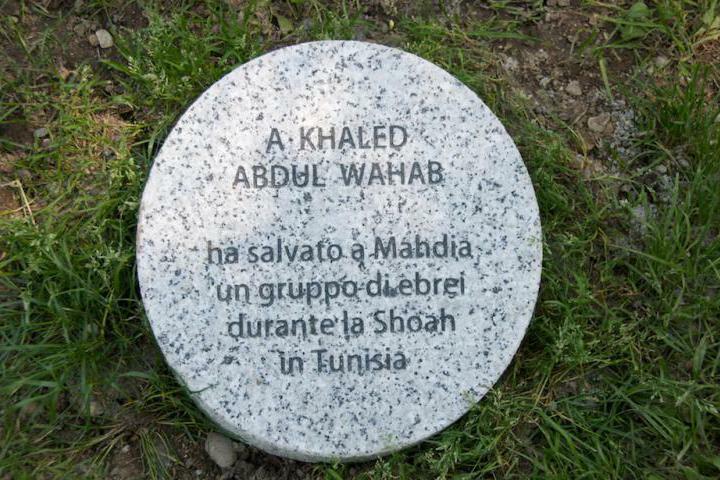 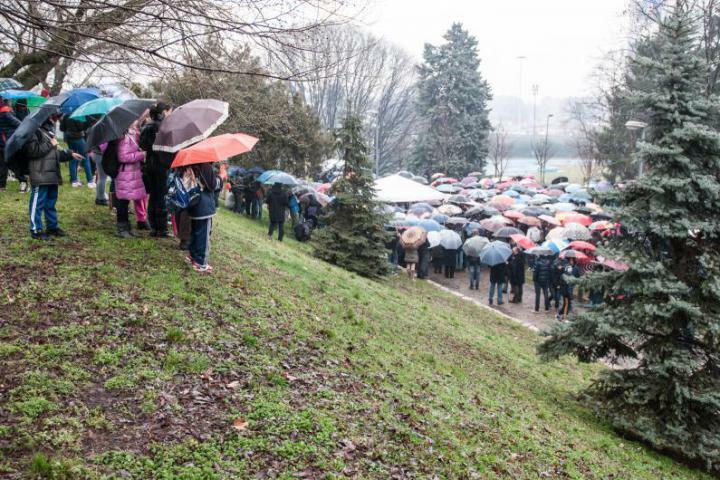 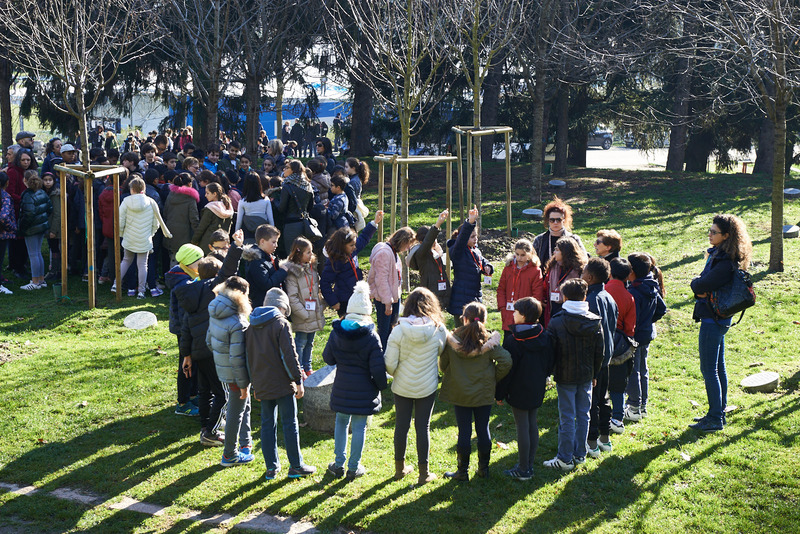 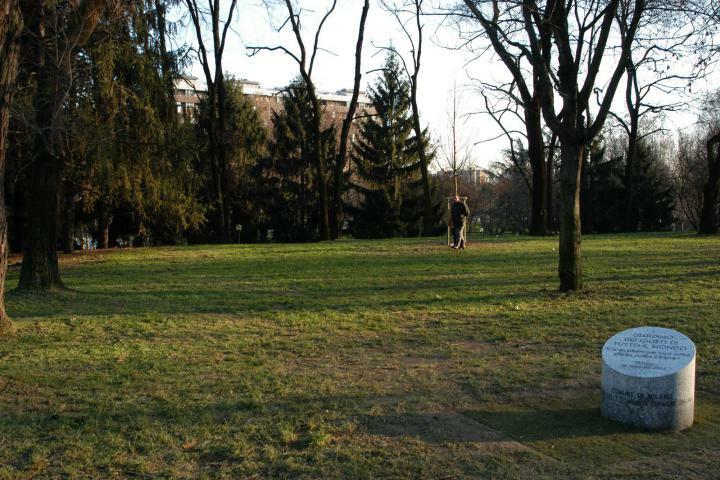 On 24 January 2003 in Milan we inaugurated a space dedicated to the Righteous worldwide in the wide green area of Monte Stella hill. 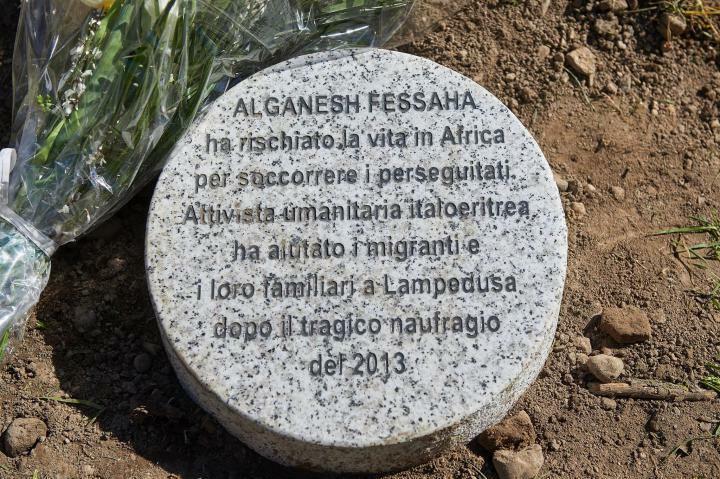 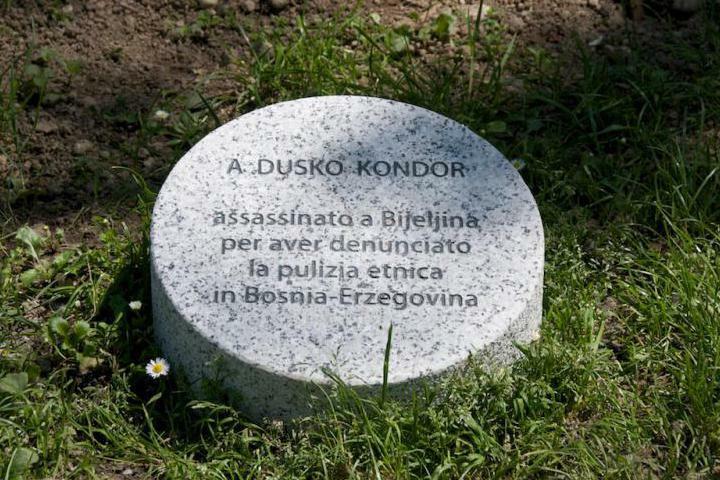 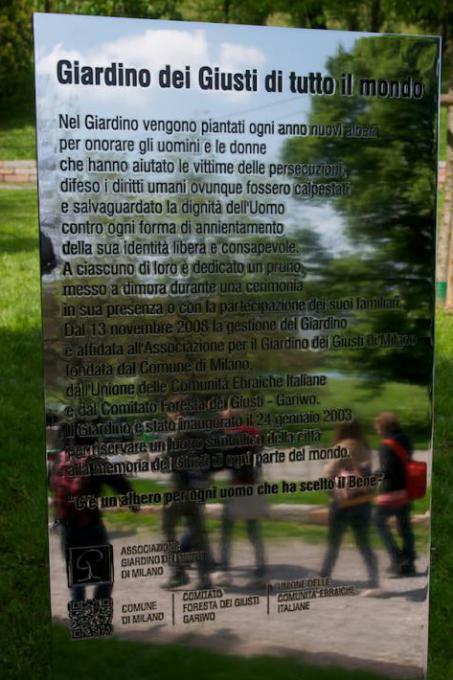 Every year we plant new trees in this Garden to honour the man and women who have helped the victims of the persecutions, defended human rights wherever they were trampled on, safeguarded the dignity of the Human Being against all kinds of annihilation of his/her free and conscious identity, born witness to the truth against the repeated attempts to deny the perpetrated crimes. To each of these exemplary figures we dedicate a wild cherry, which is planted during a ceremony in the presence of the Righteous themselves or of their relatives, and a granite memorial stone placed in the meadow below. 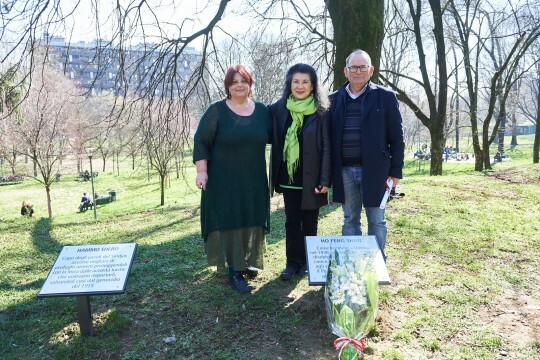 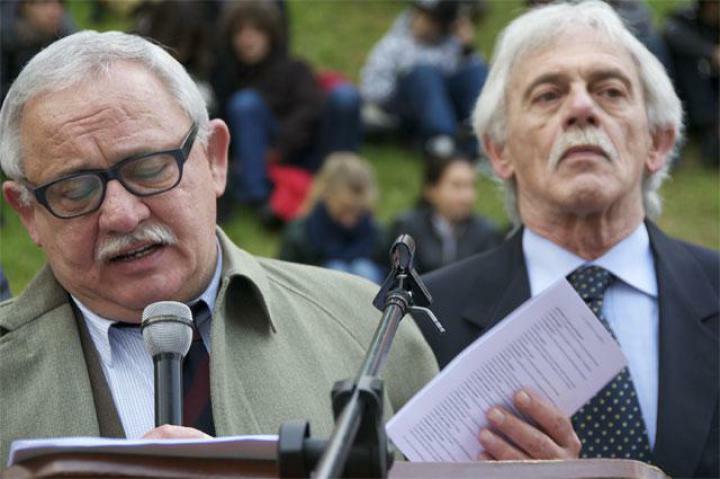 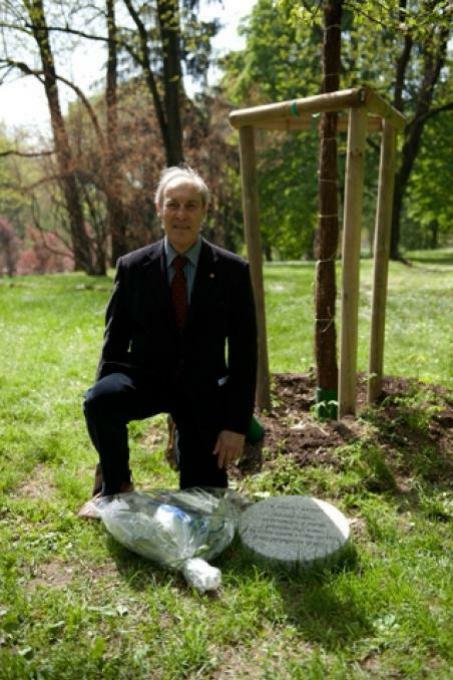 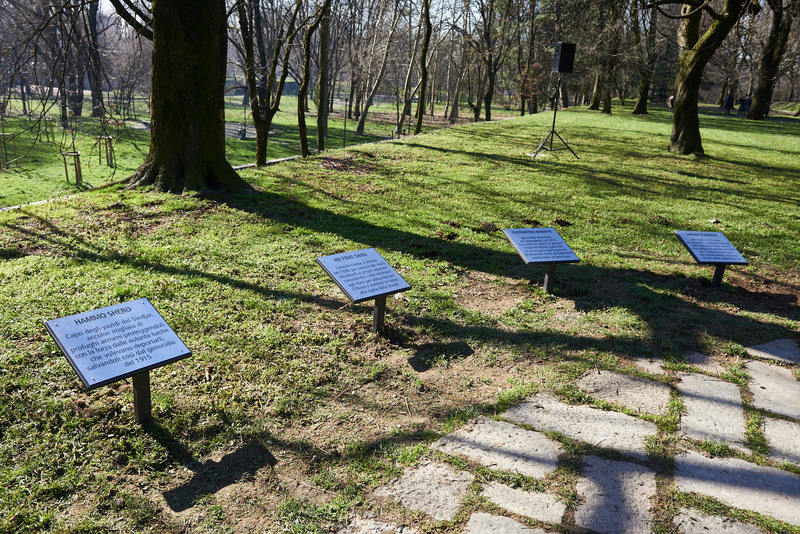 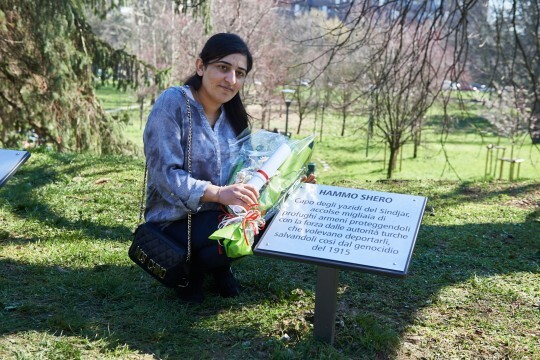 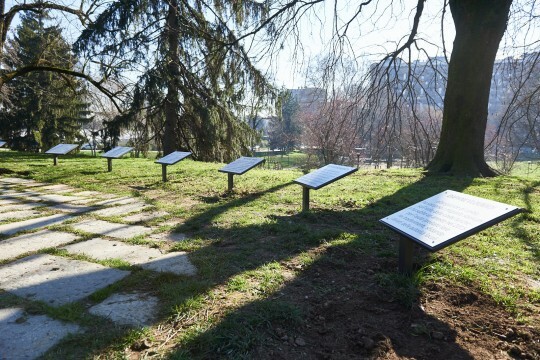 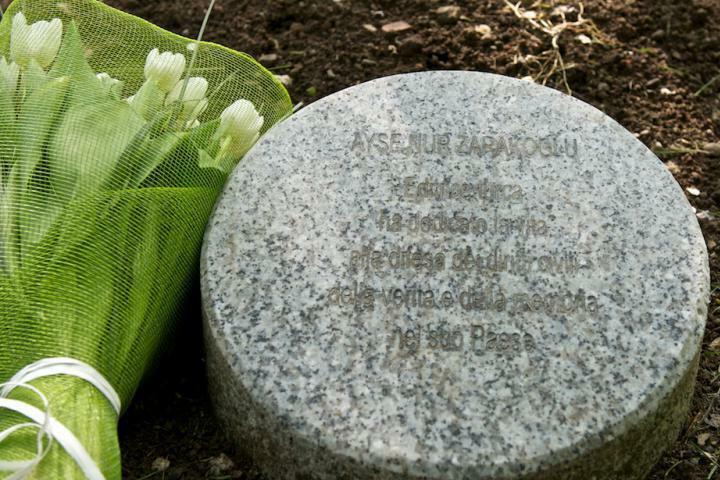 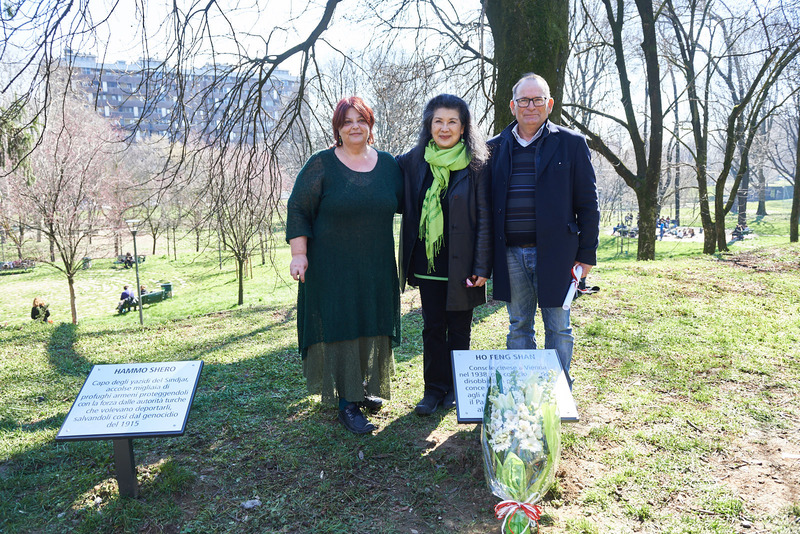 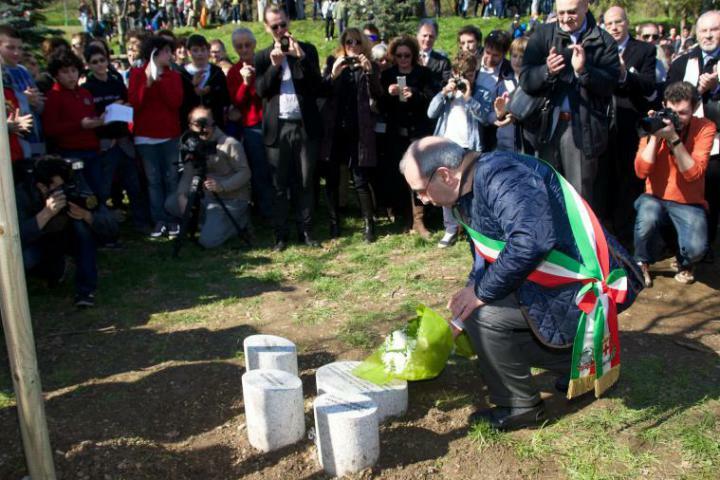 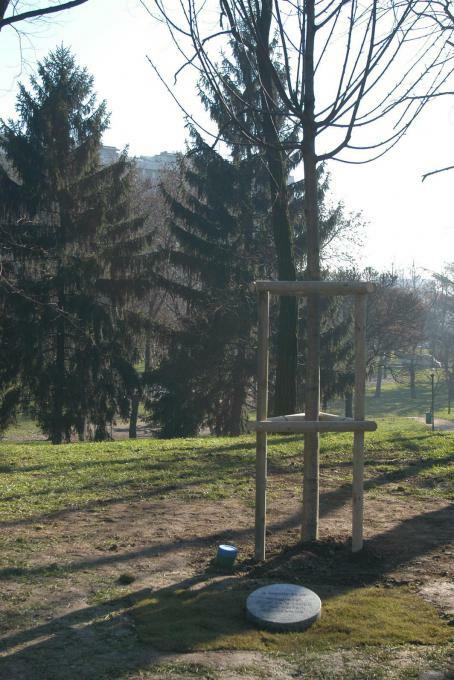 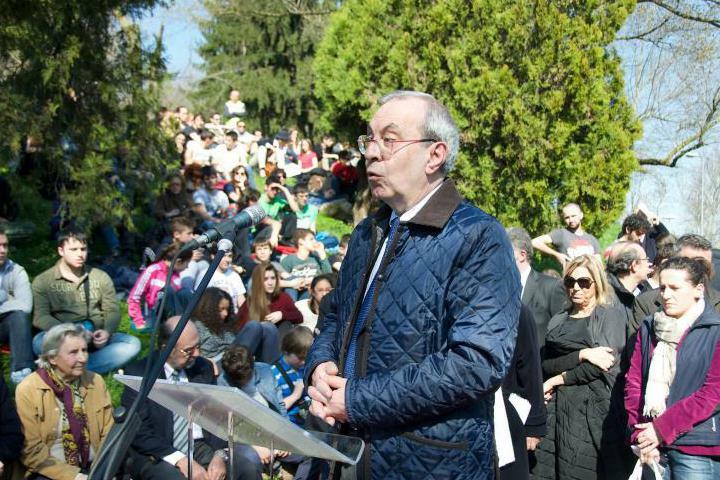 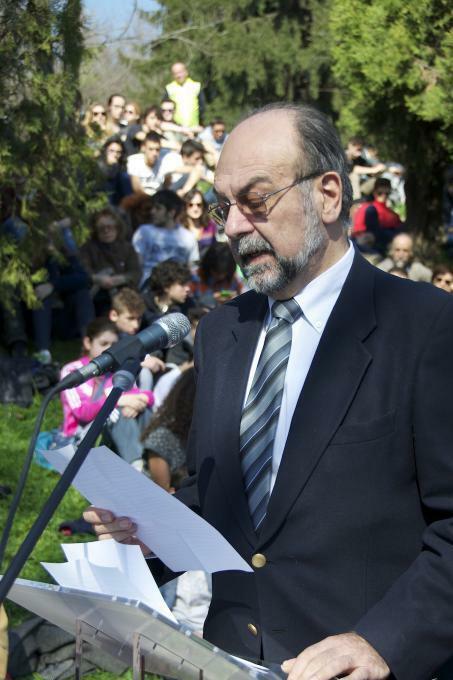 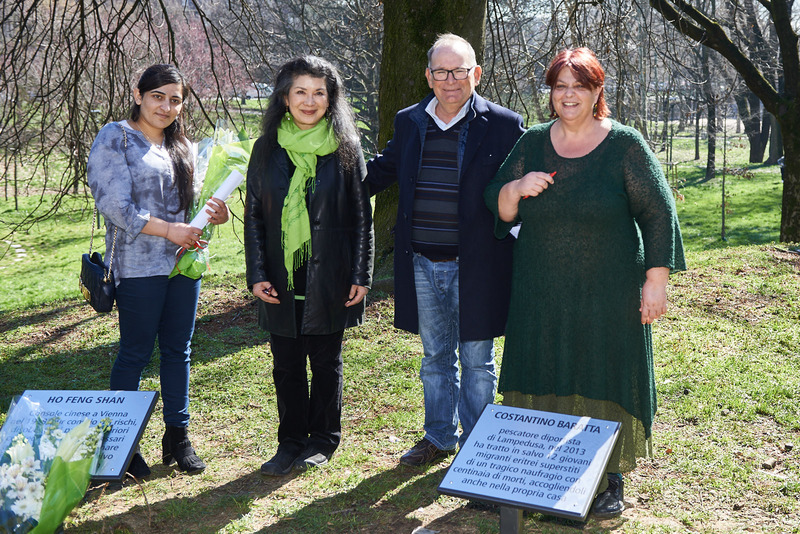 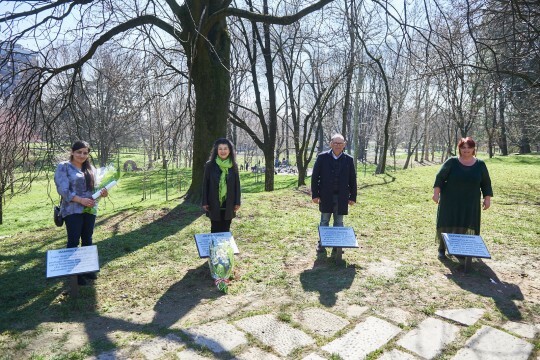 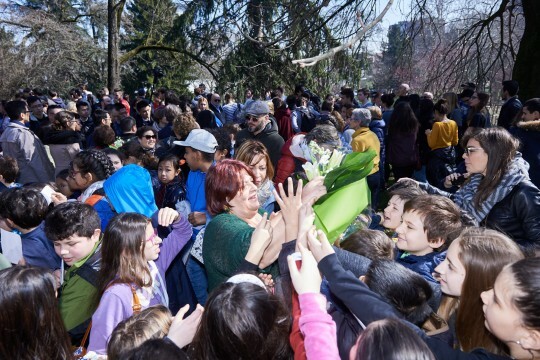 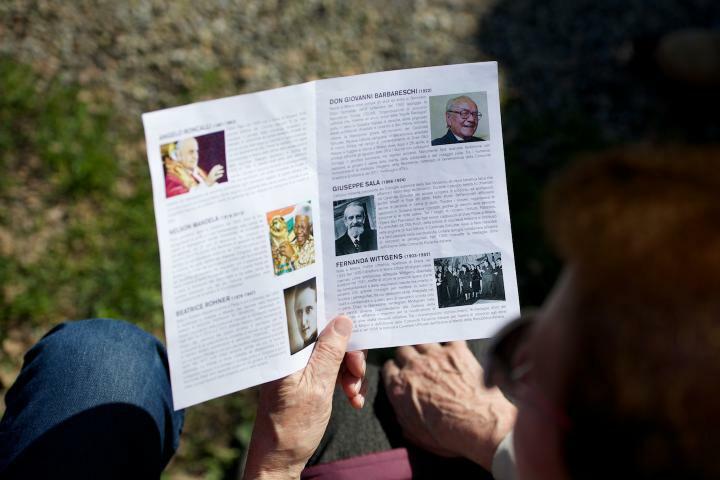 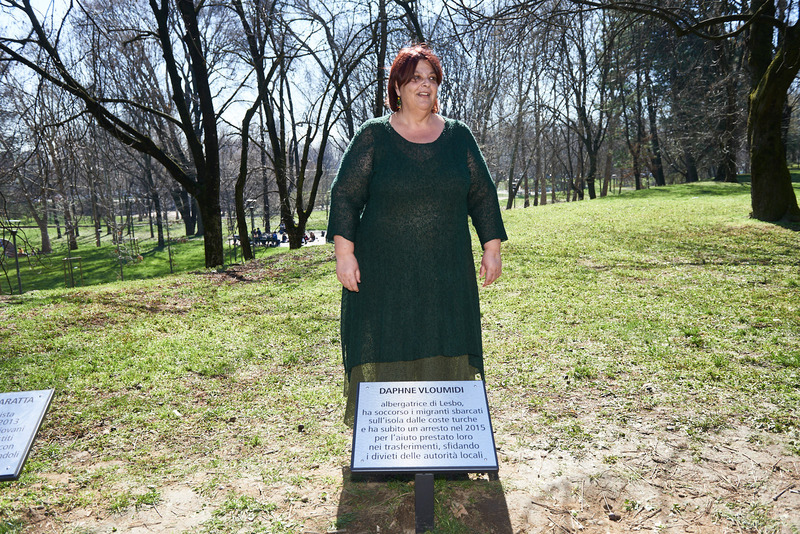 The first trees have been dedicated to the great inspirers of the first Gardens of the Righteous in the world, in Jerusalem, Yerevan and Sarajevo: Moshe Bejski for the Righteous in the Holocaust, Pietro Kuciukian in honour of the Righteous for the Armenians, Svetlana Broz for the Righteous against ethnic cleansing. 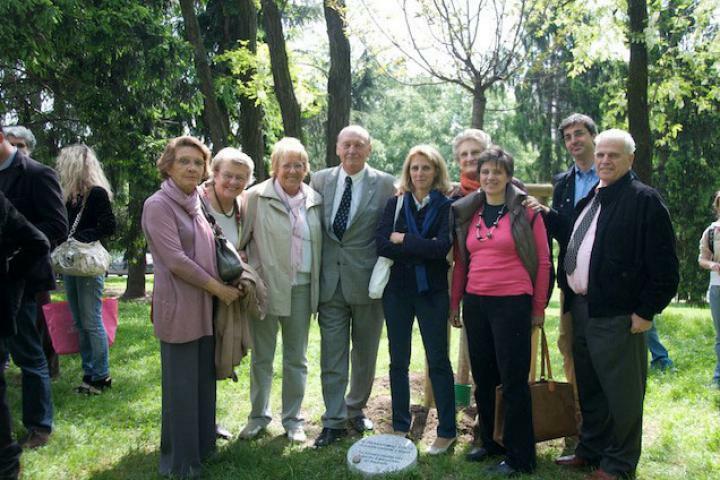 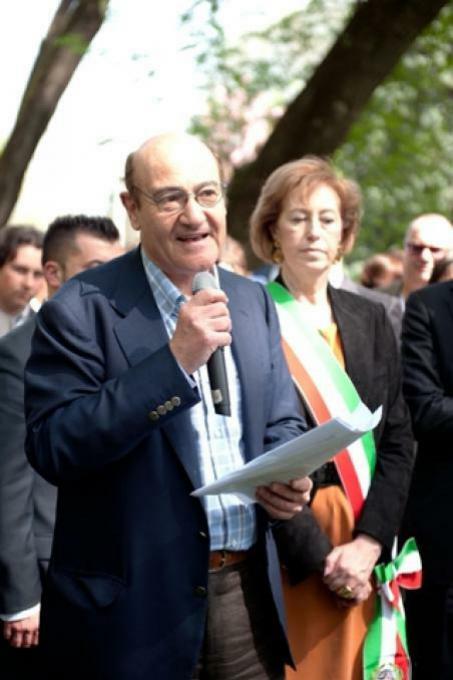 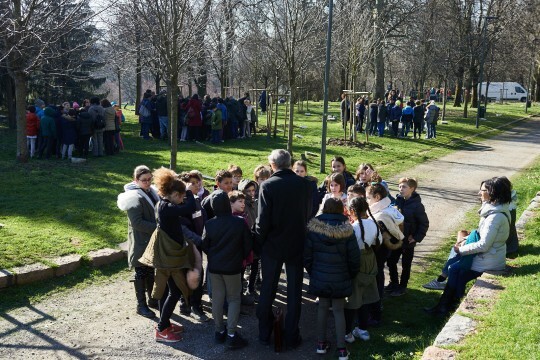 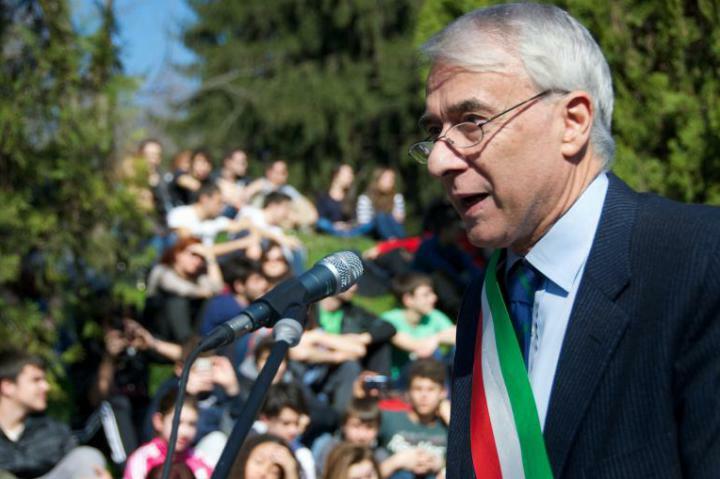 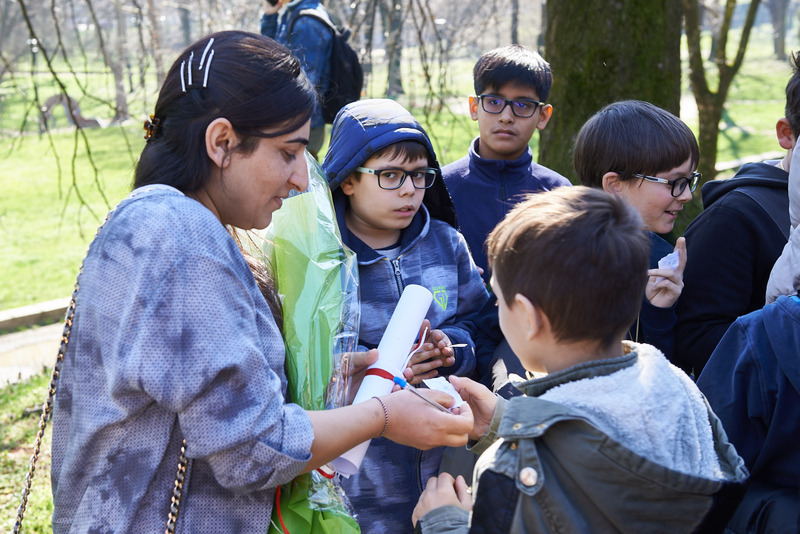 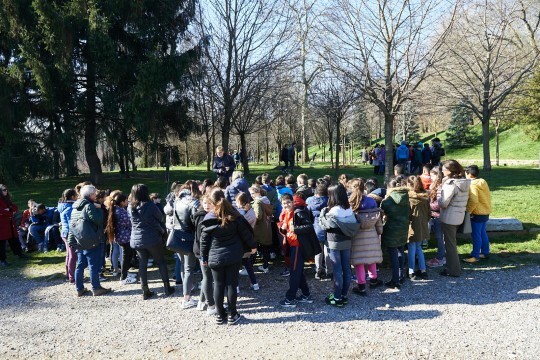 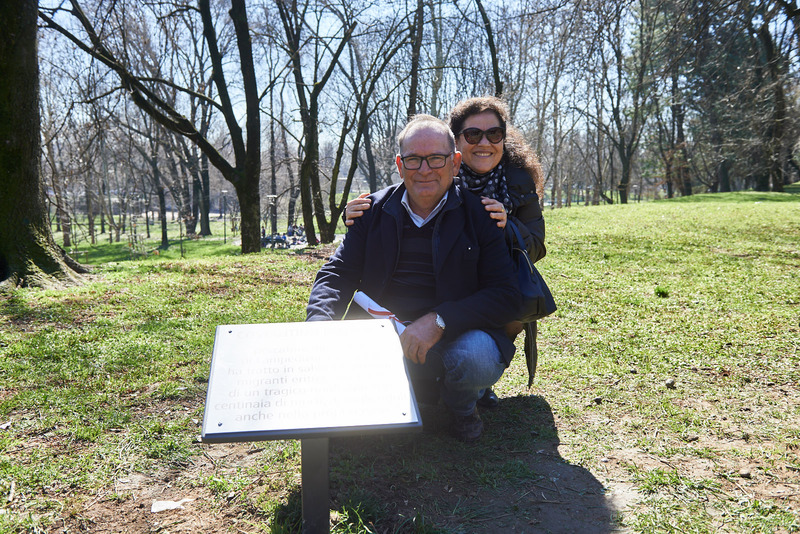 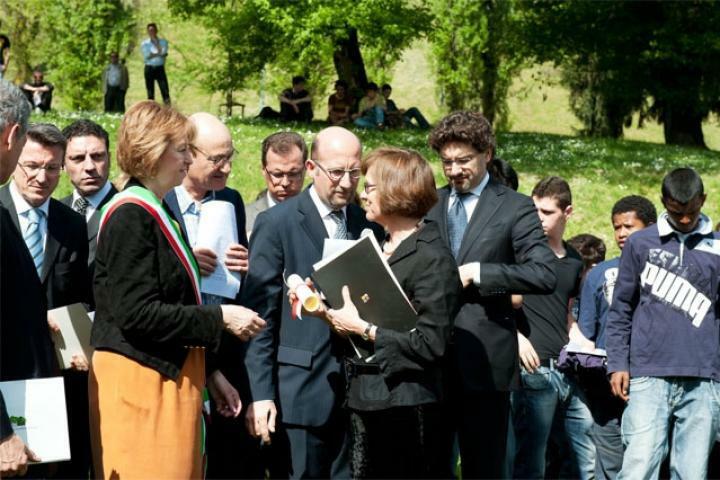 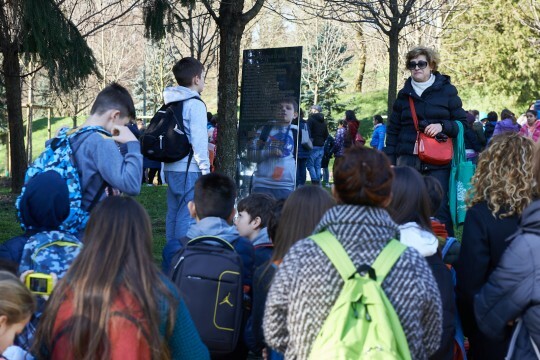 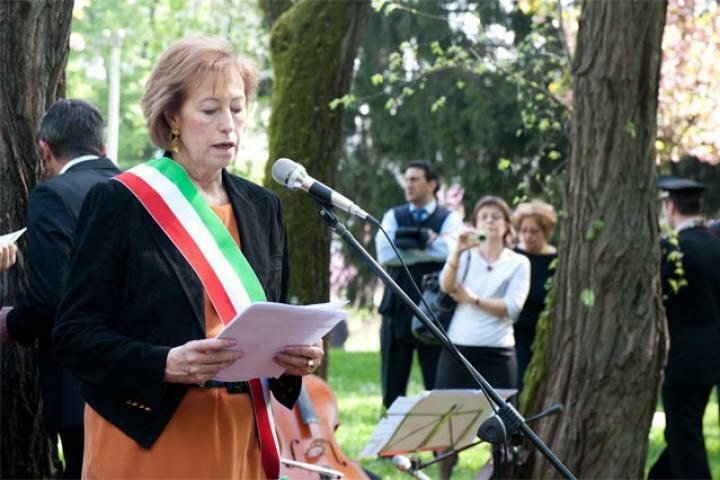 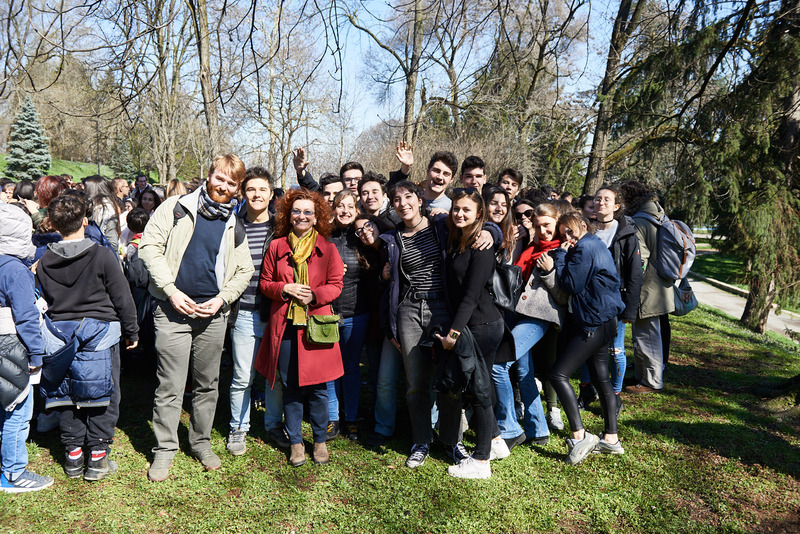 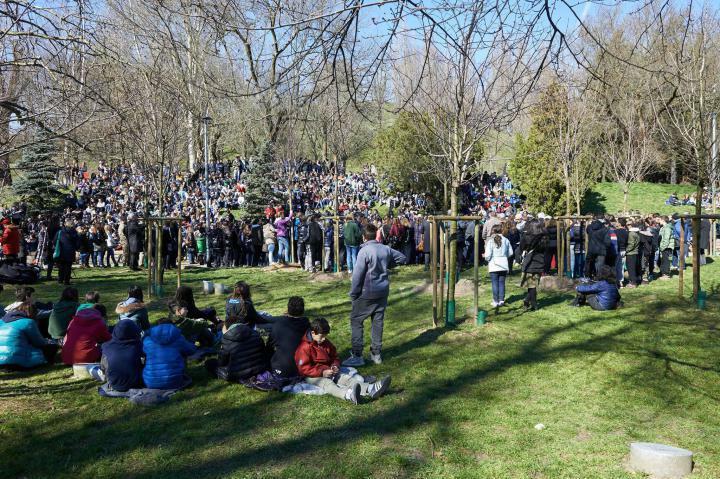 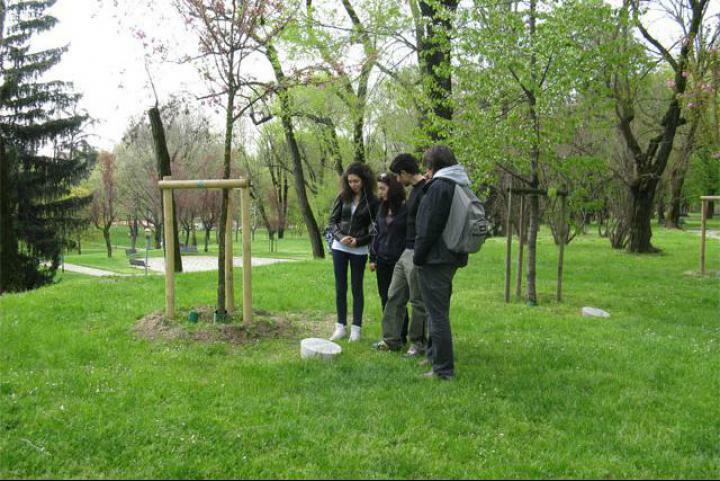 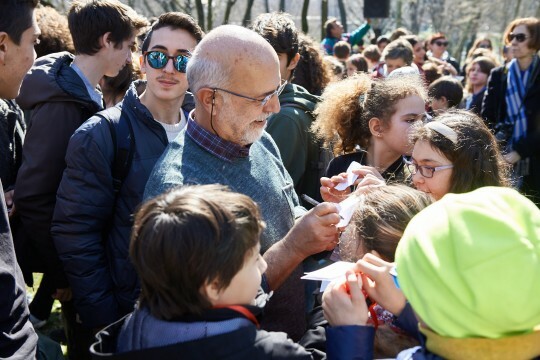 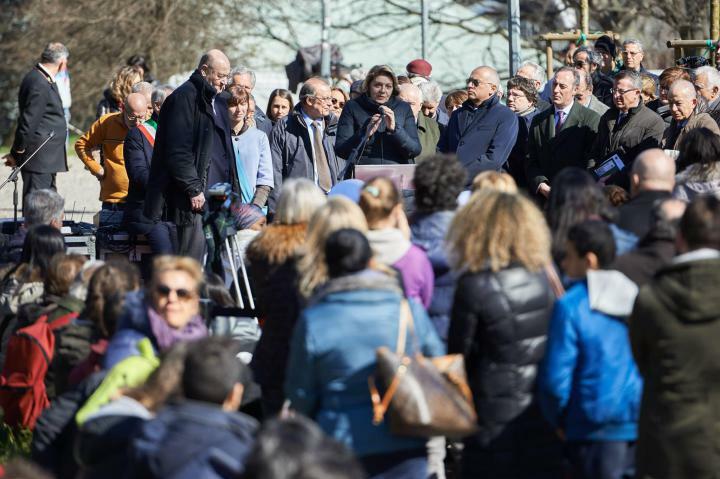 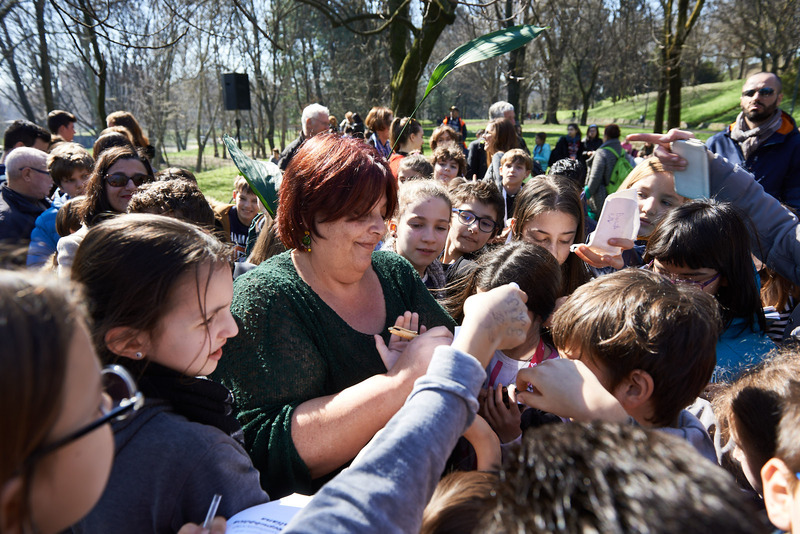 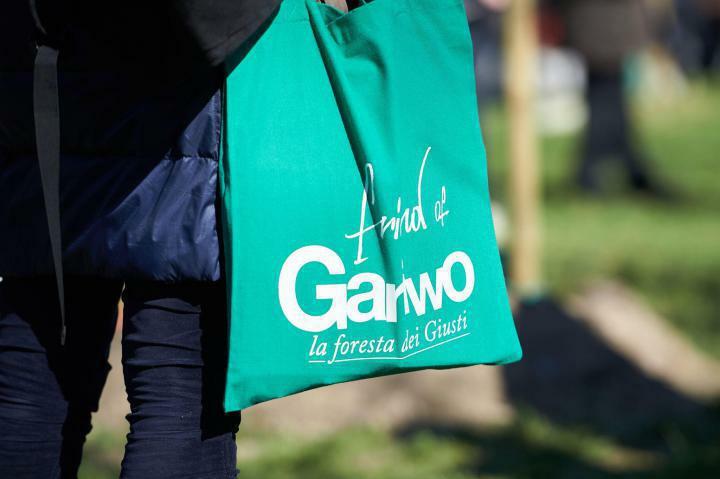 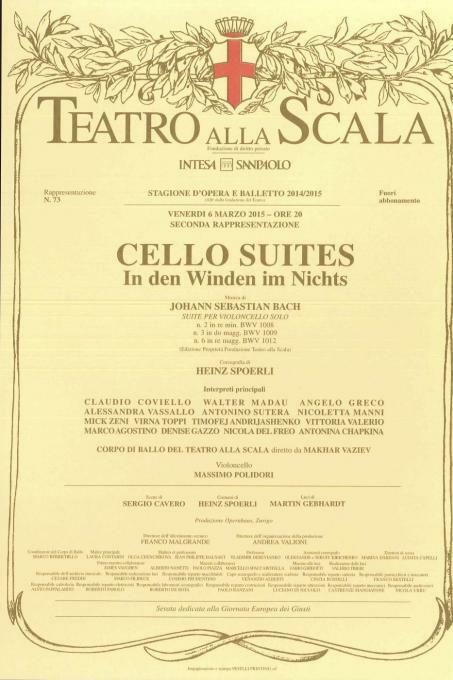 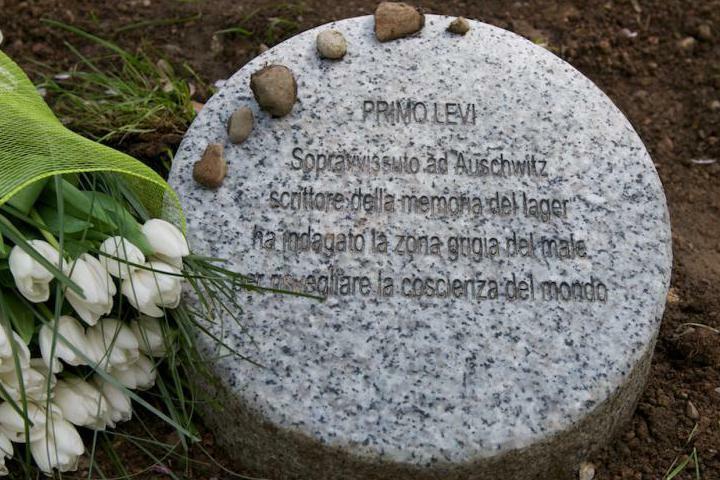 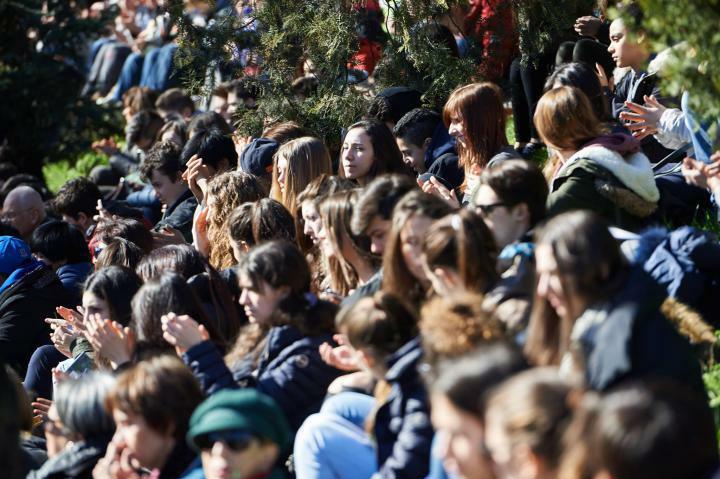 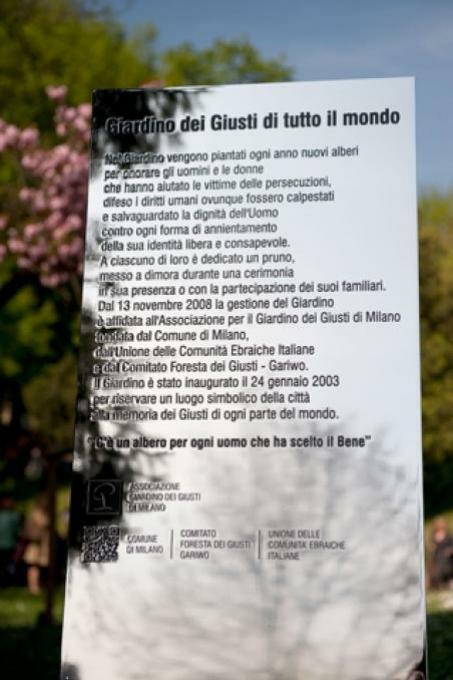 Since 13 November 2008 the Garden has been run by the Associazione per il Giardino dei Giusti di Milano, which was founded by Milan City Hall, the Union of the Italian Jewish Communities and the Gardens of the Righteous Worldwide Committee-Gariwo. 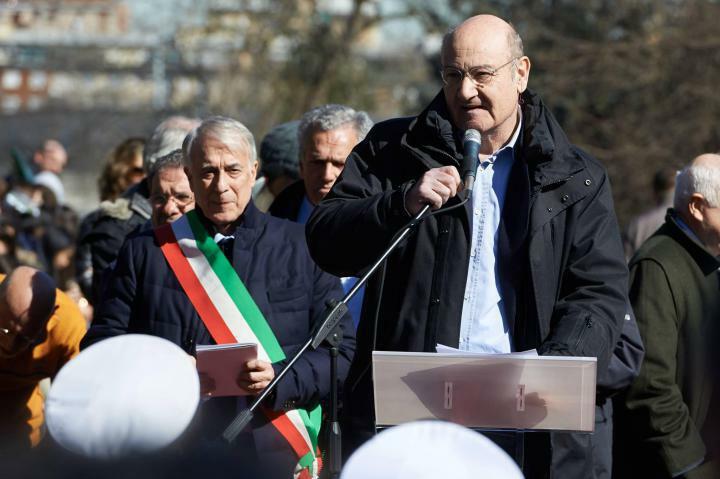 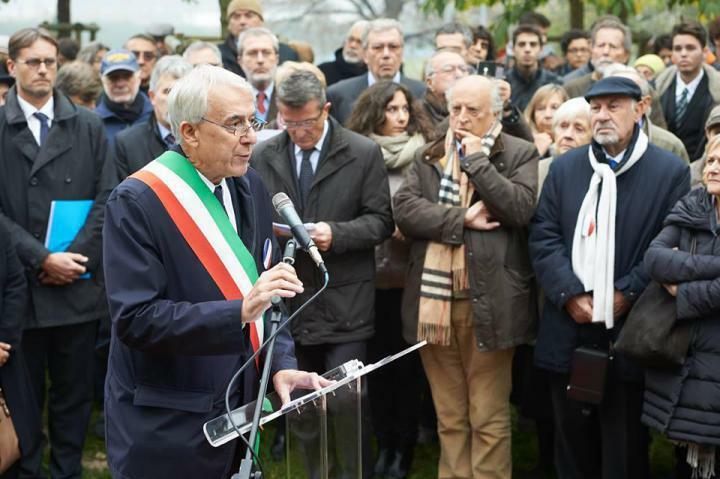 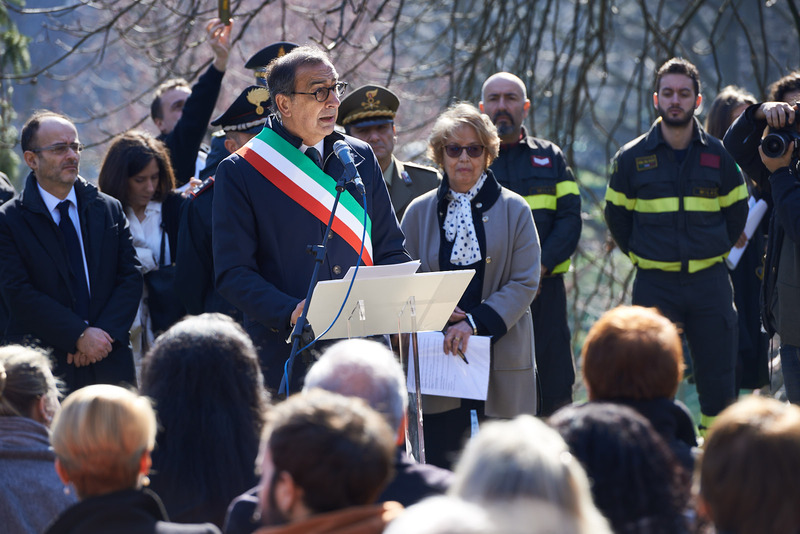 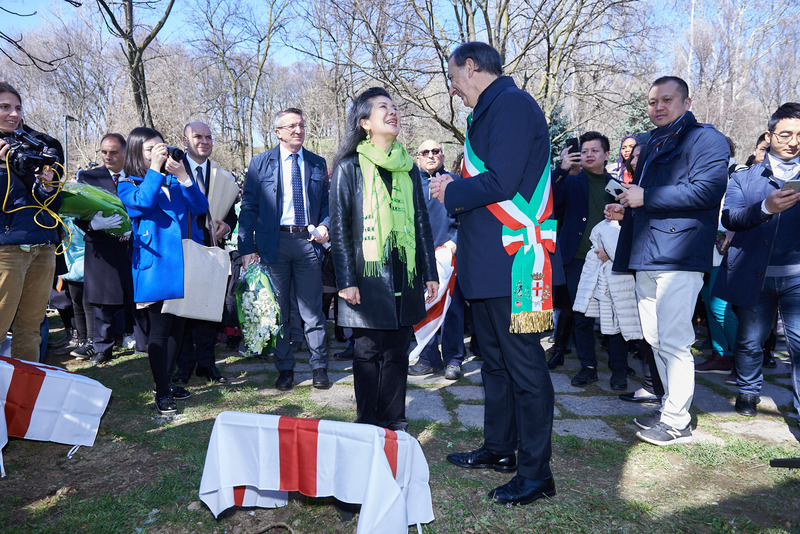 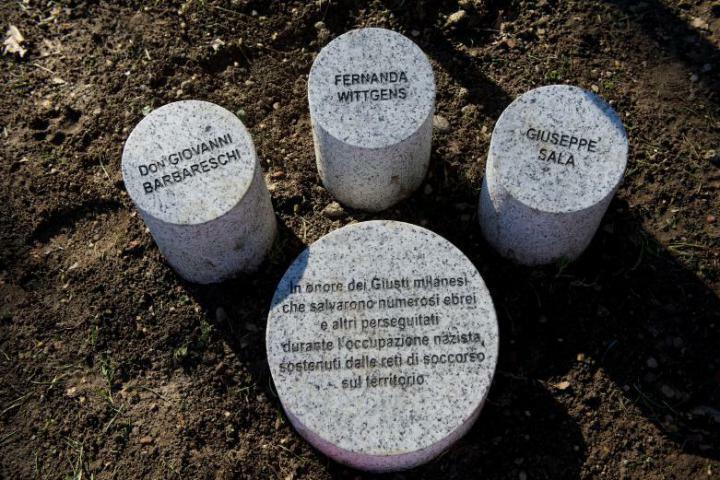 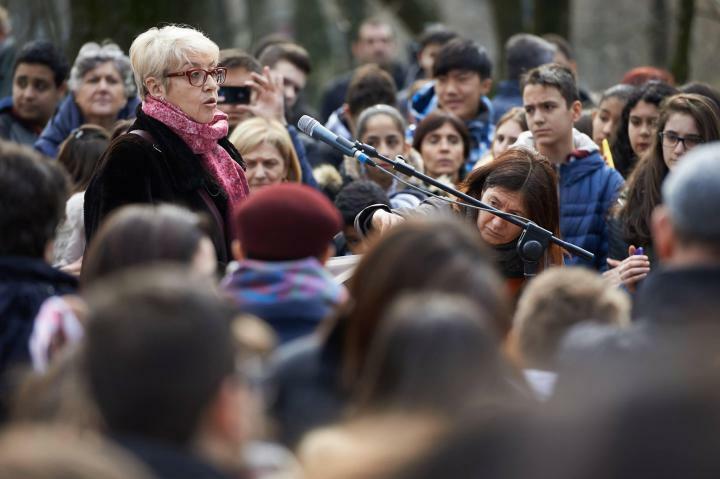 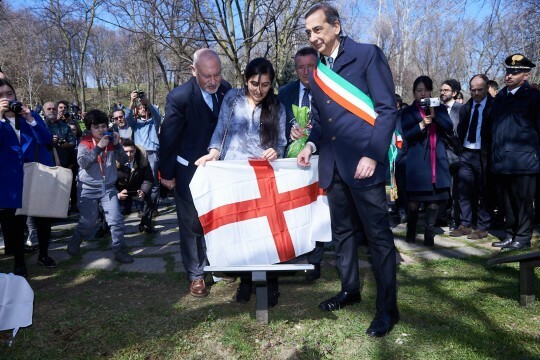 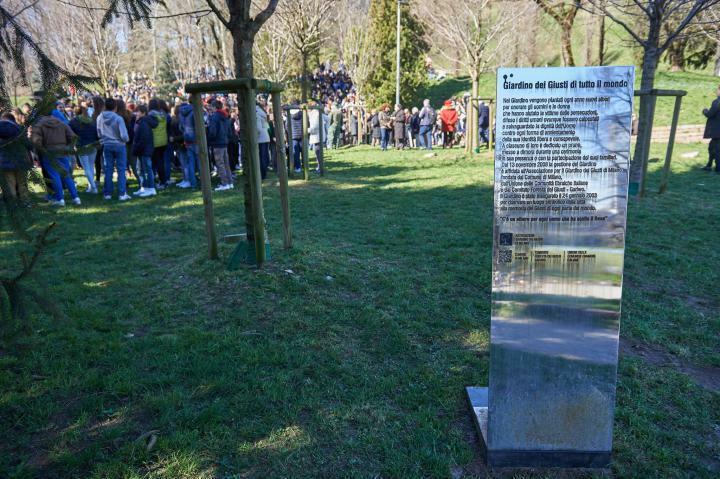 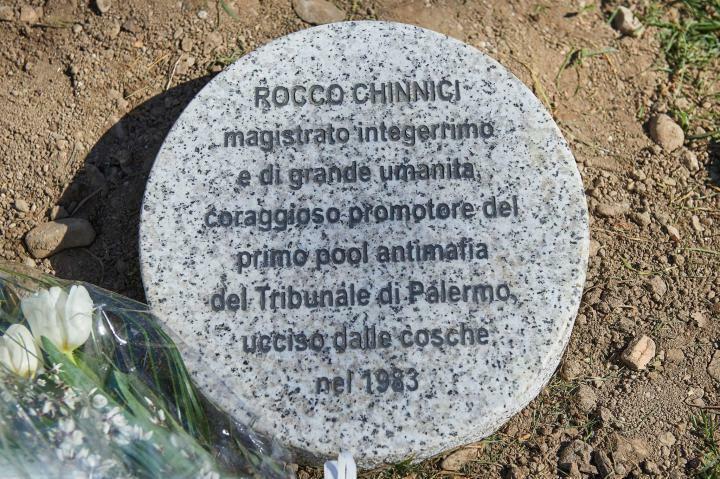 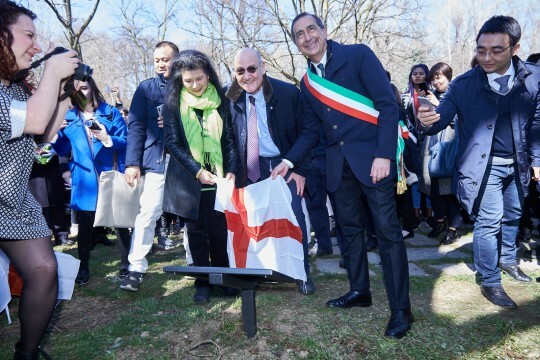 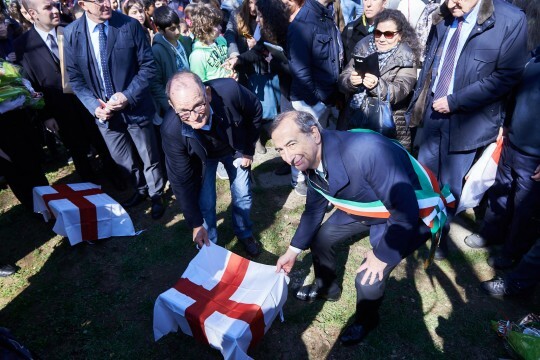 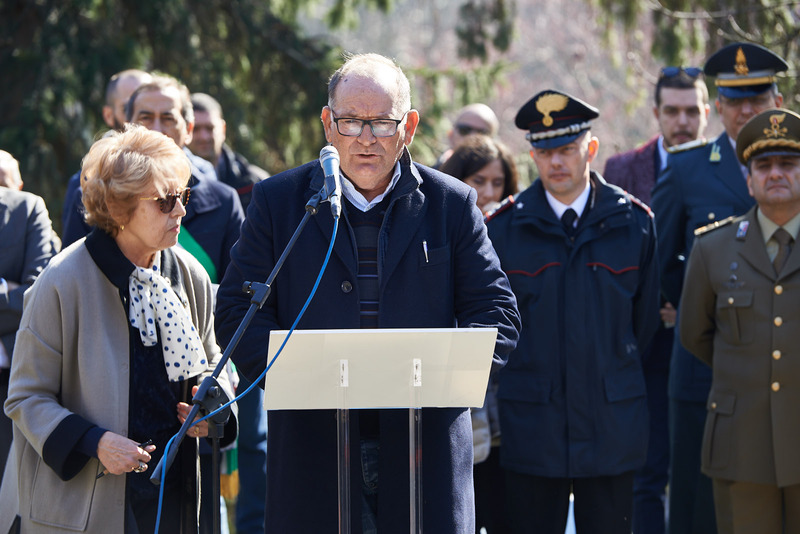 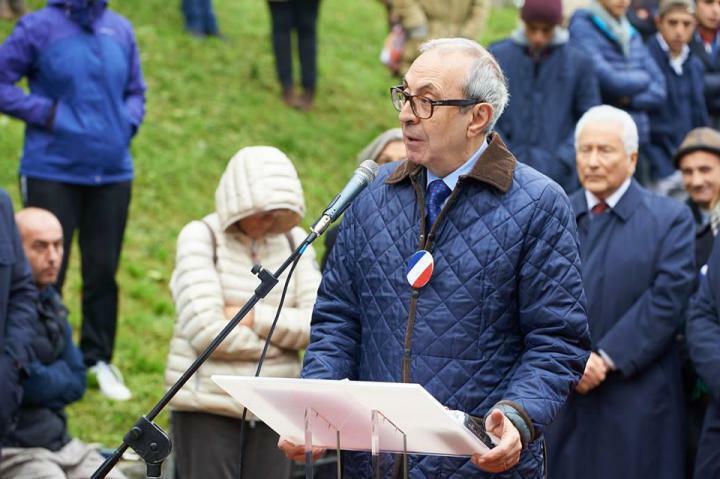 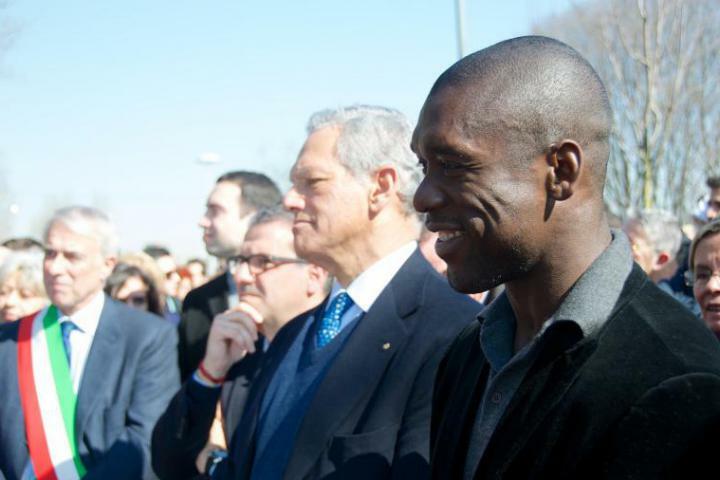 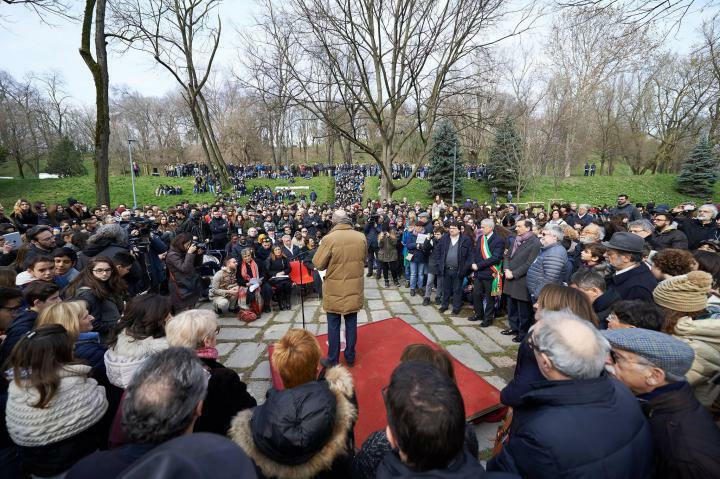 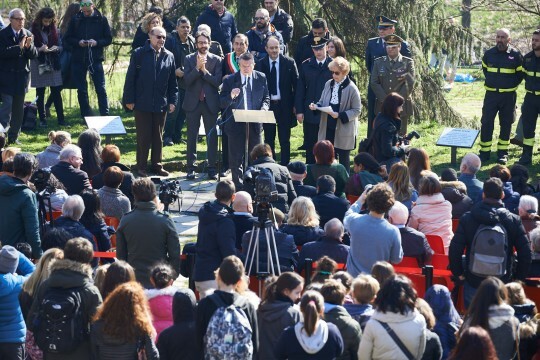 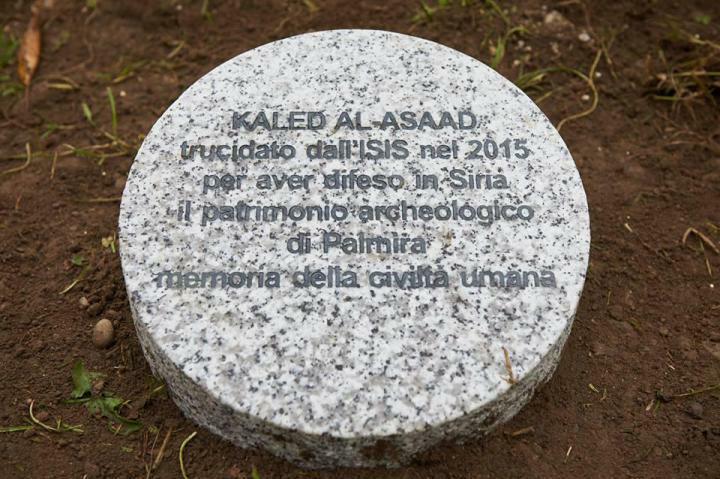 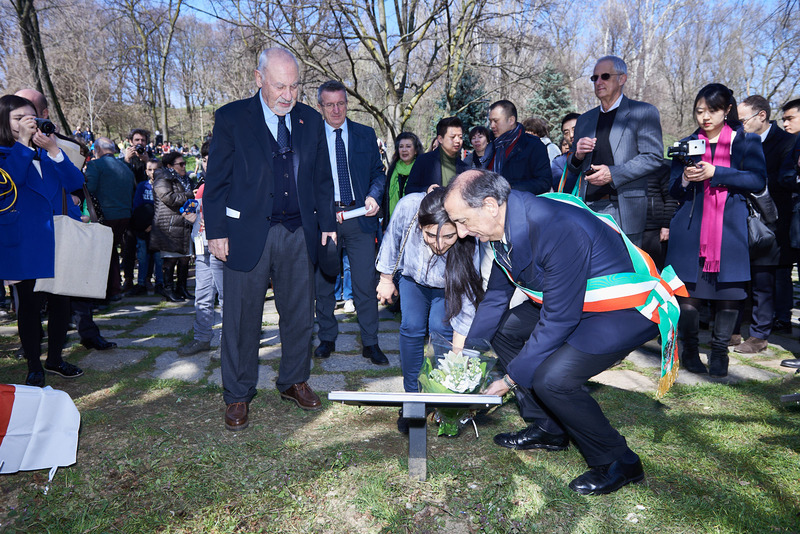 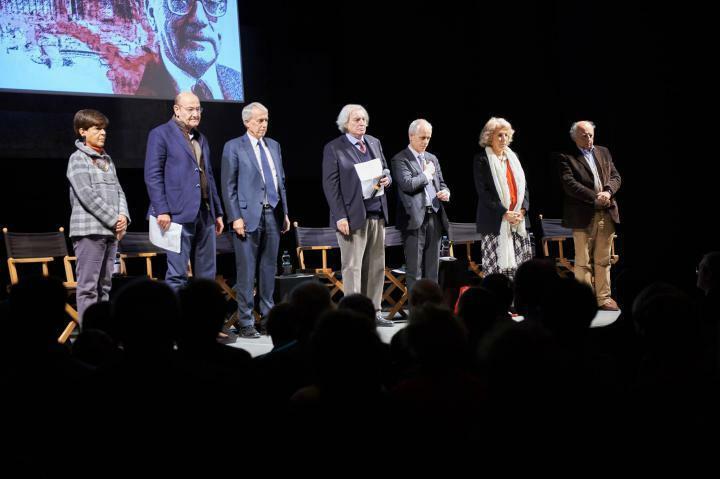 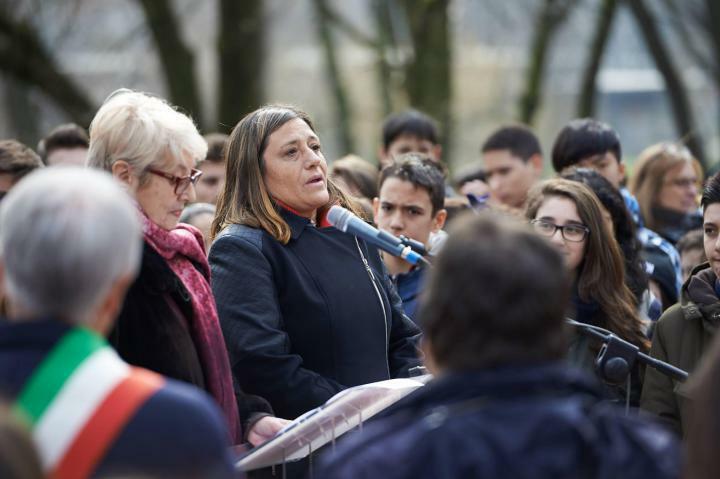 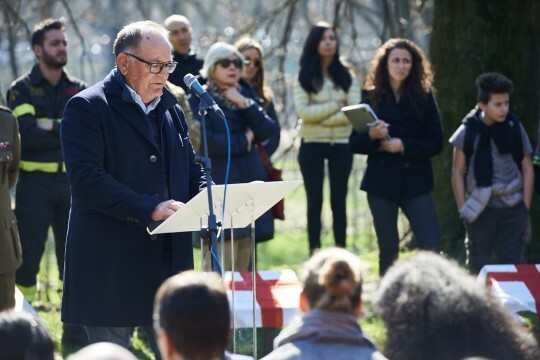 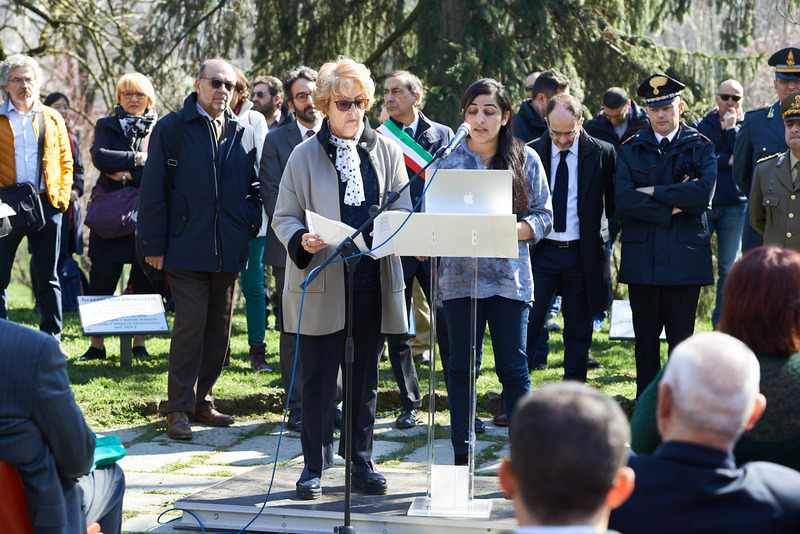 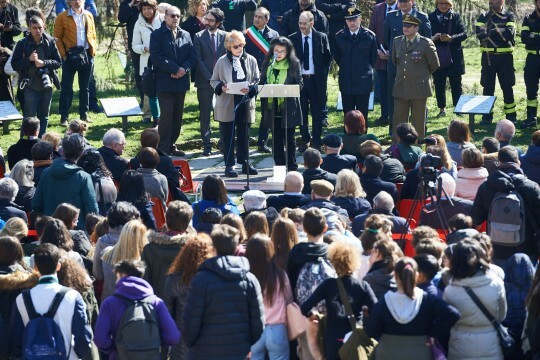 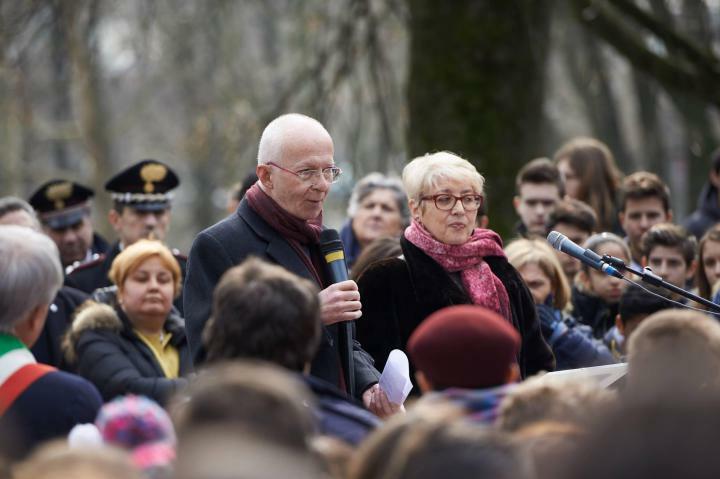 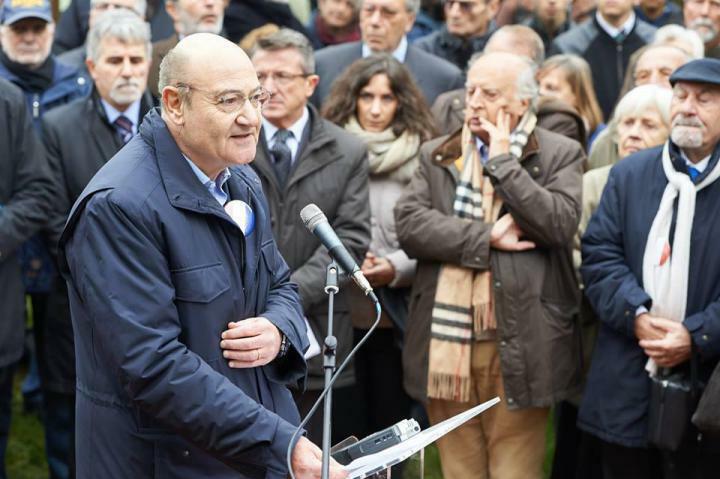 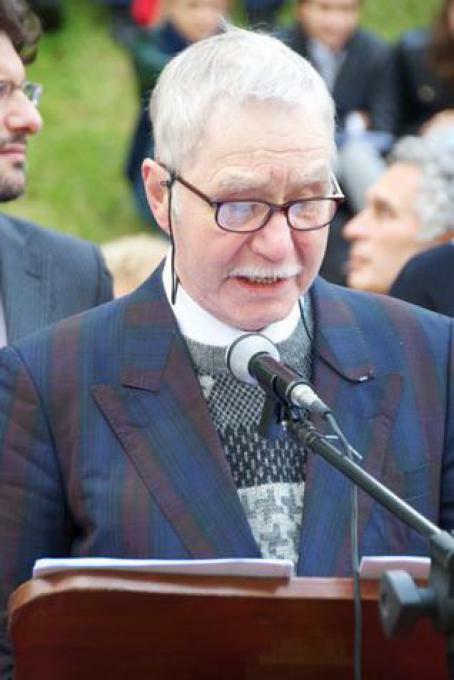 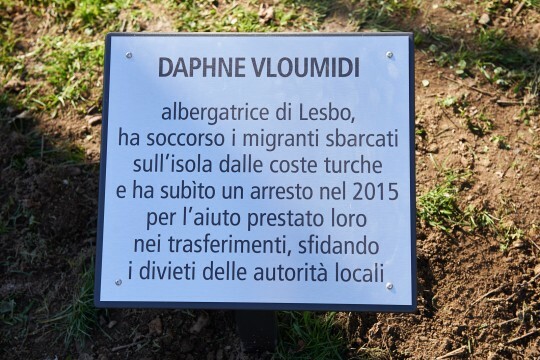 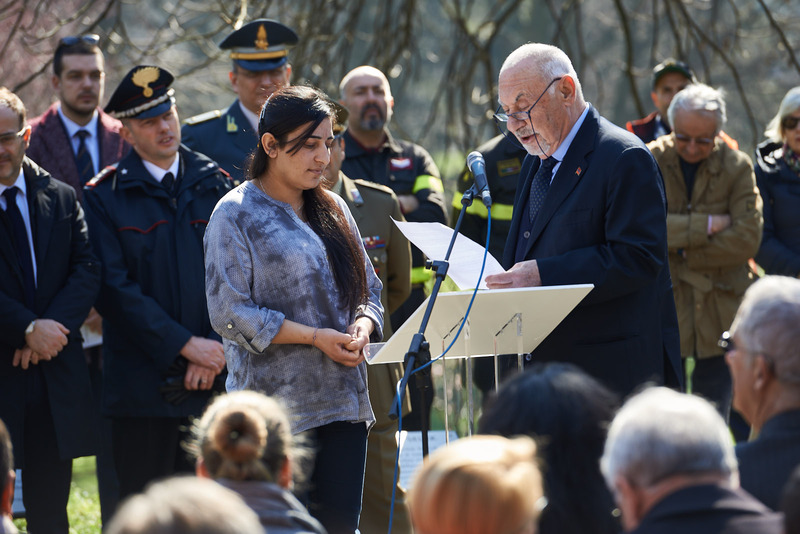 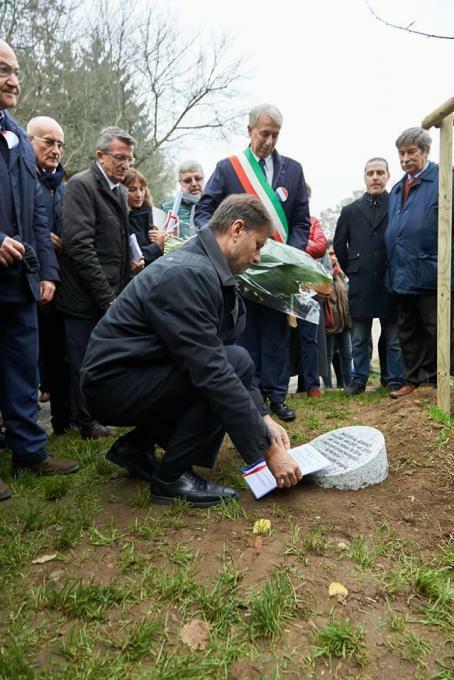 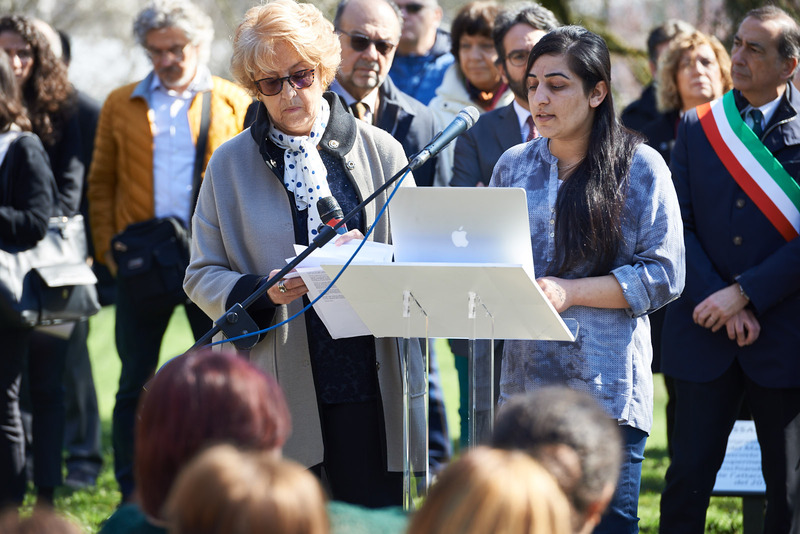 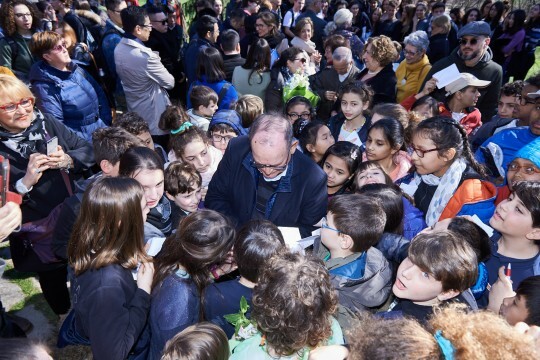 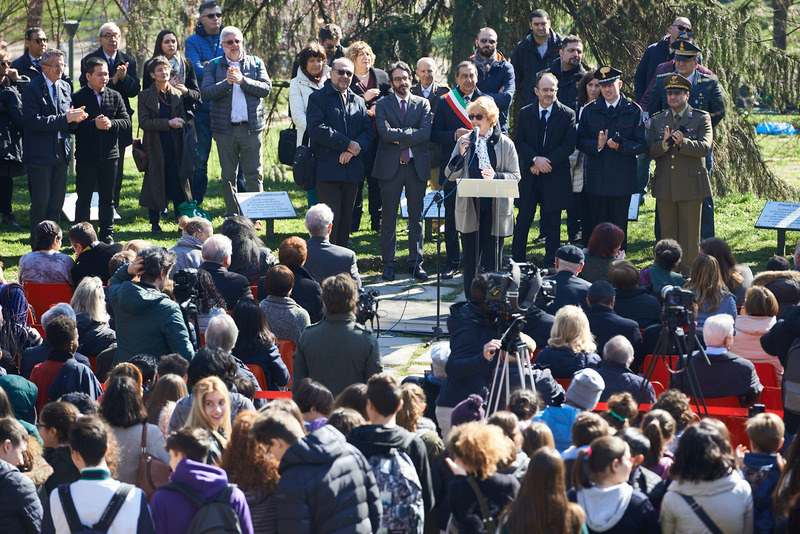 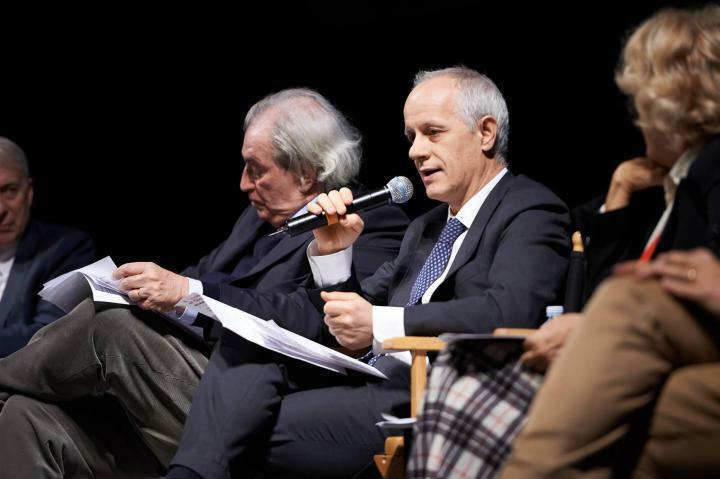 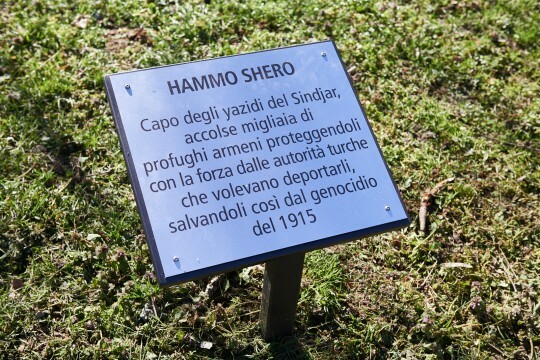 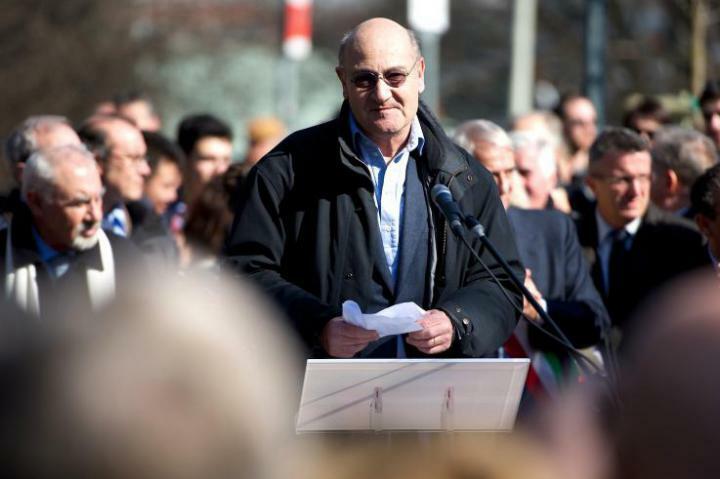 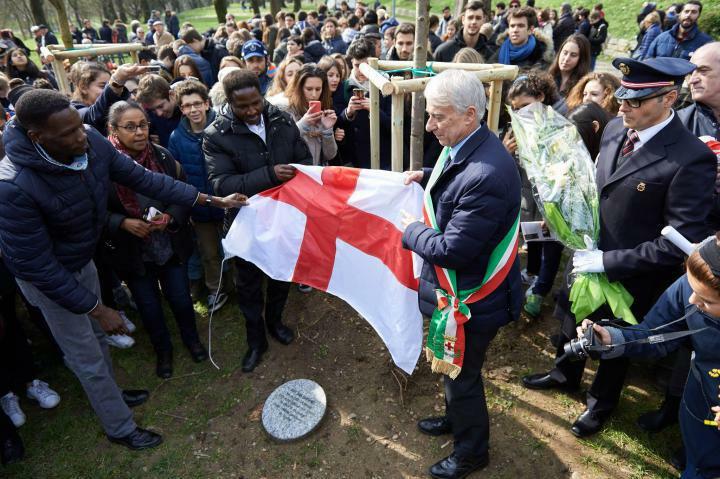 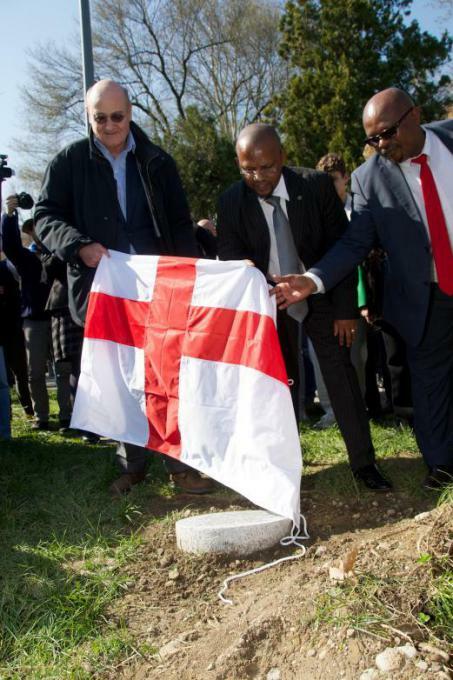 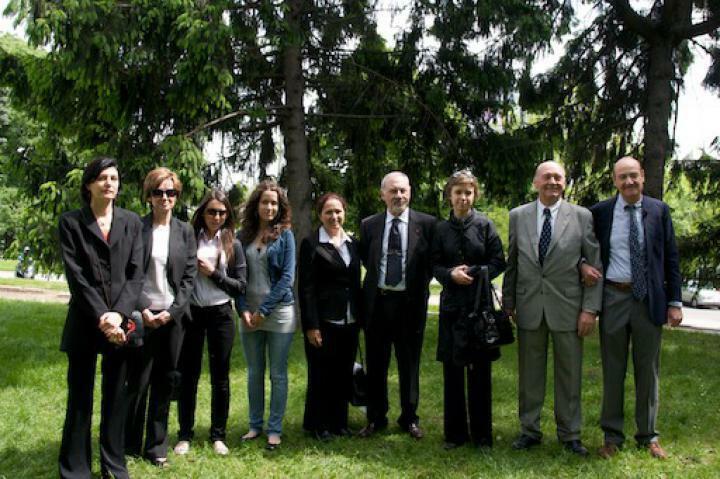 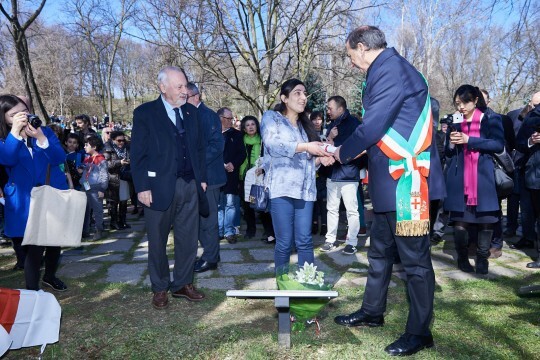 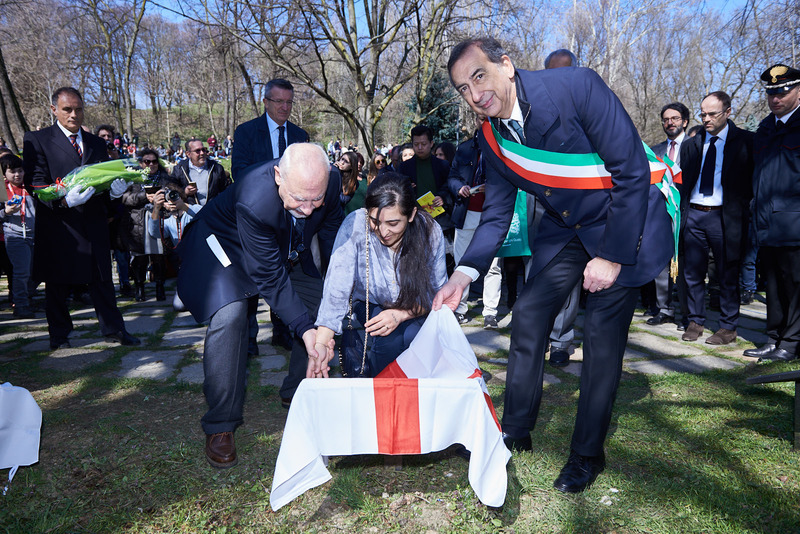 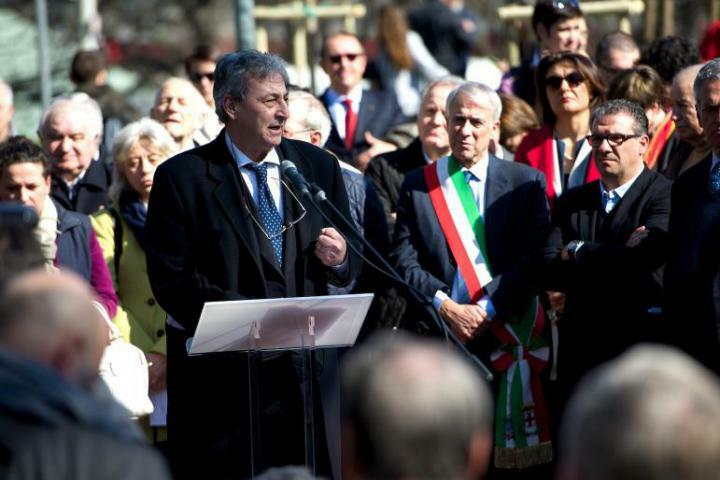 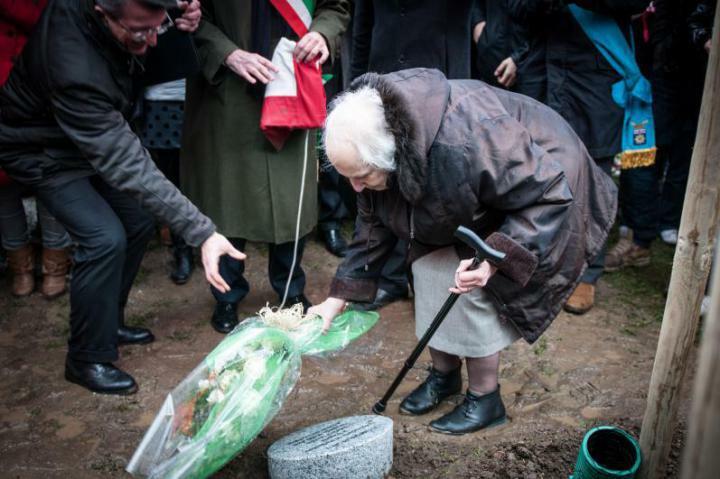 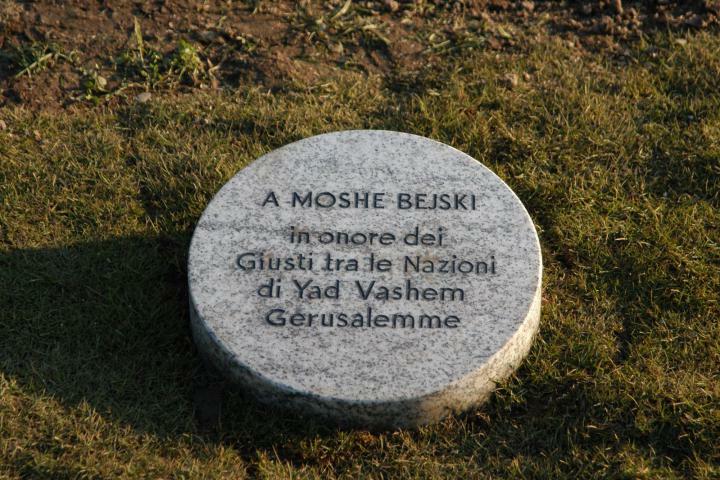 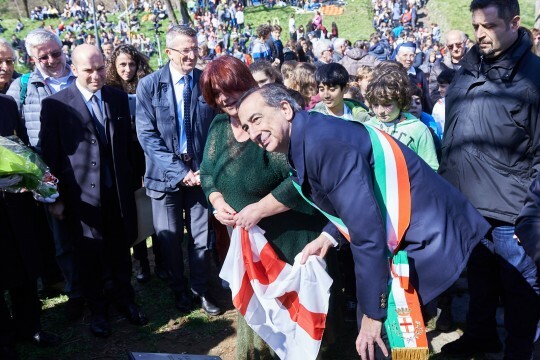 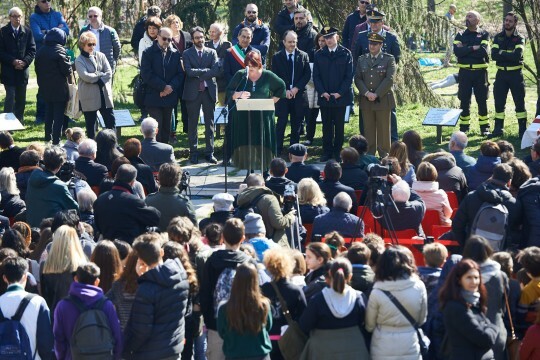 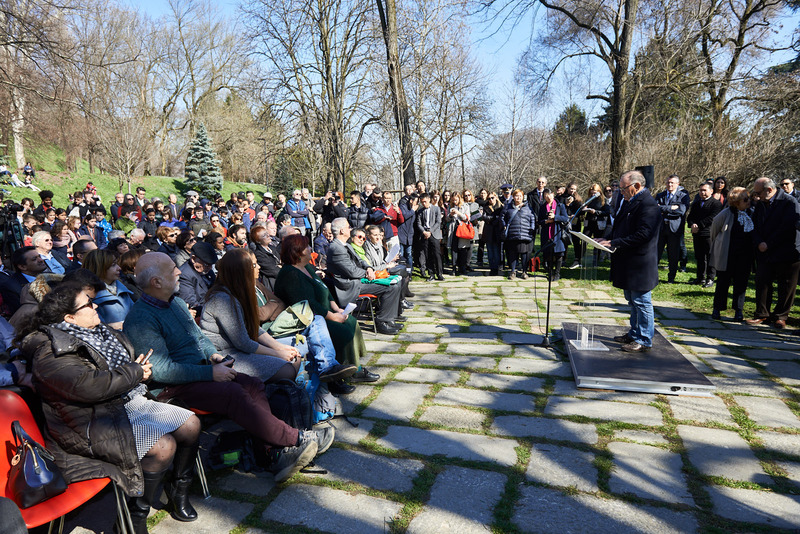 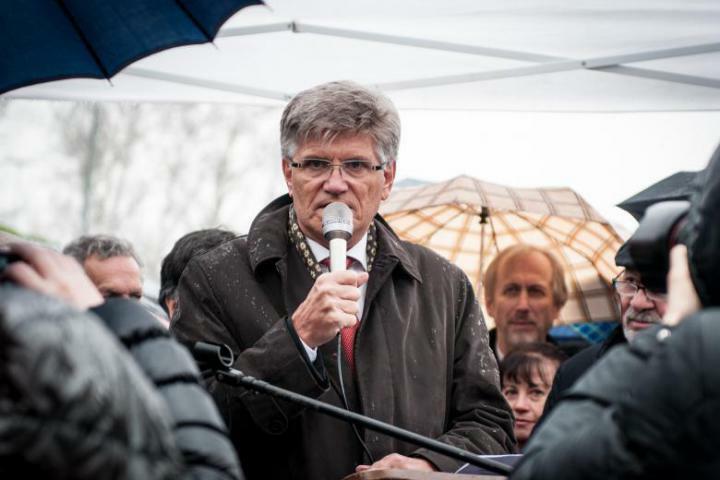 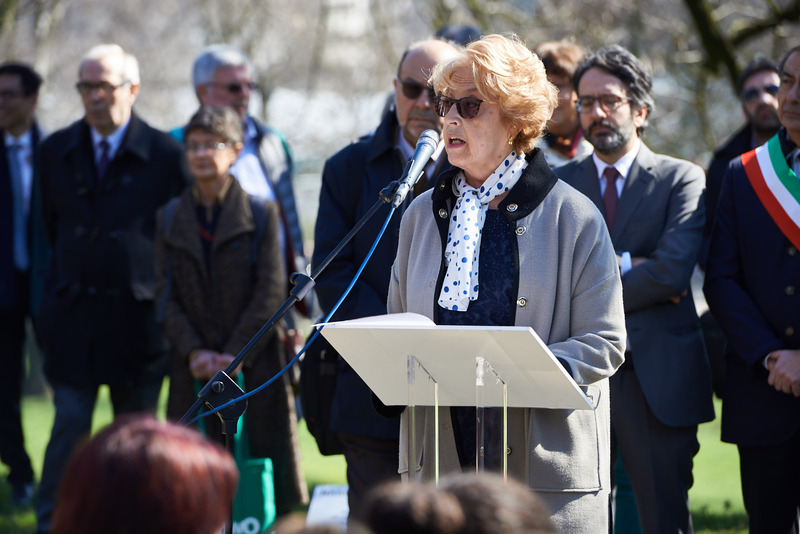 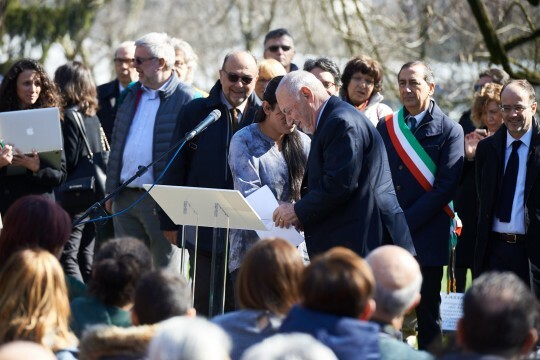 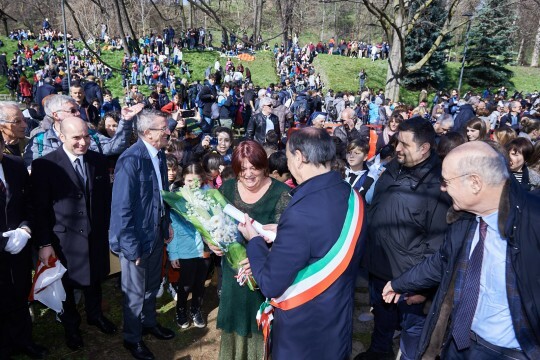 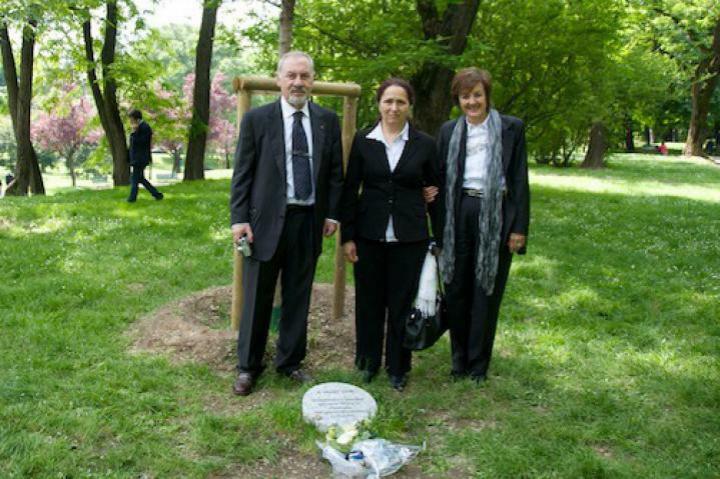 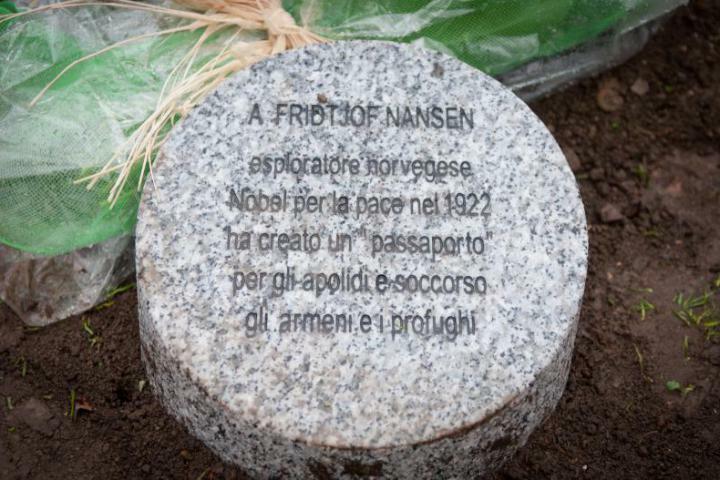 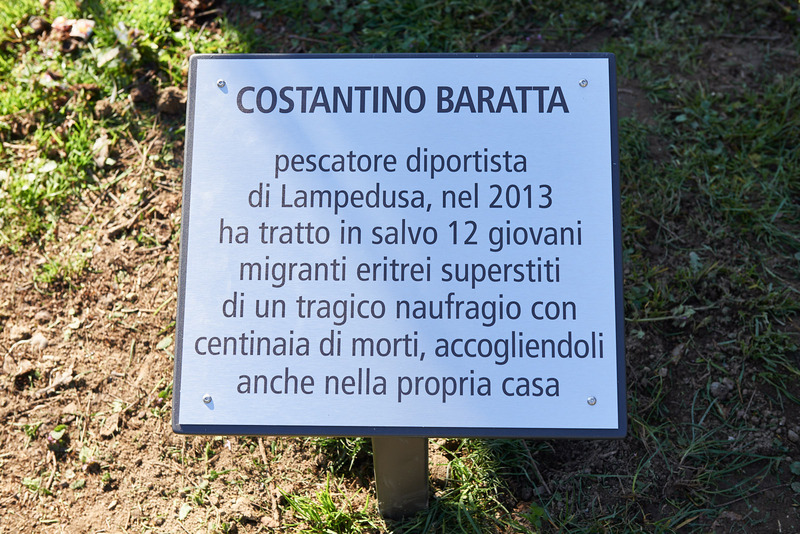 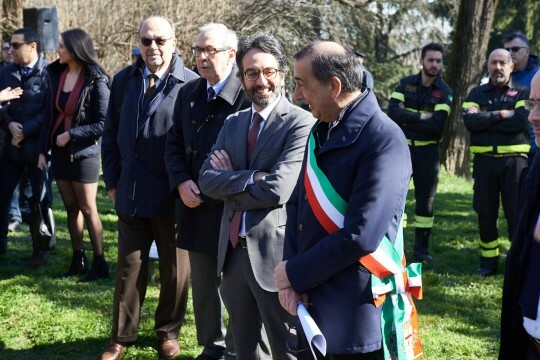 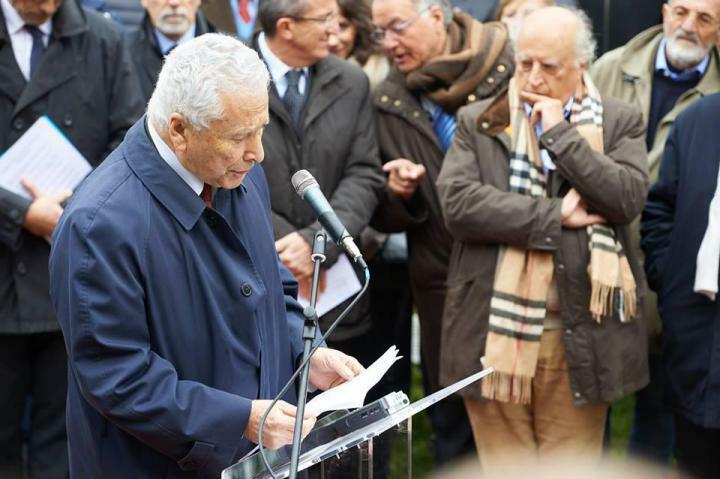 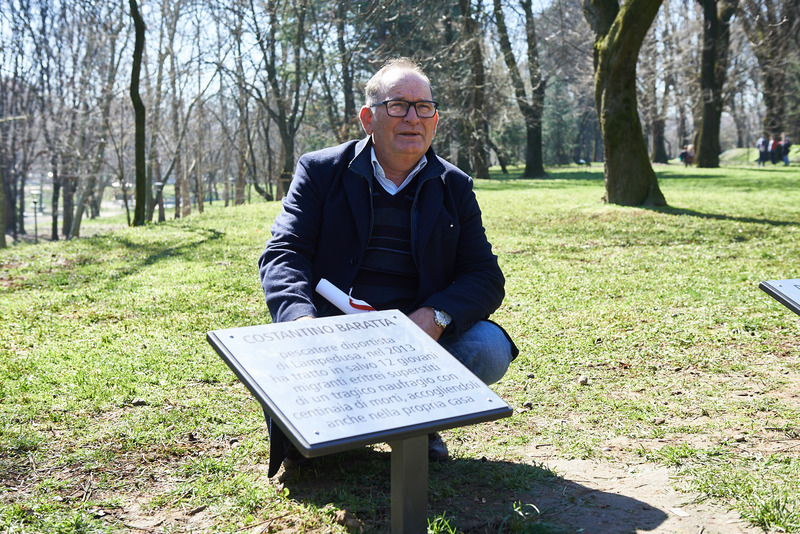 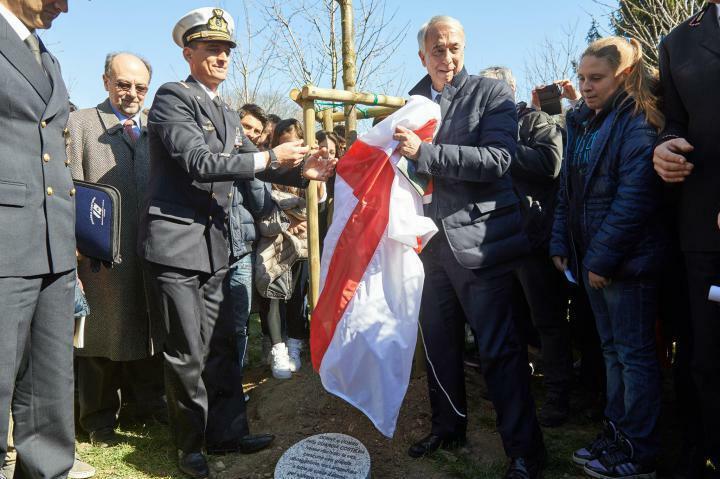 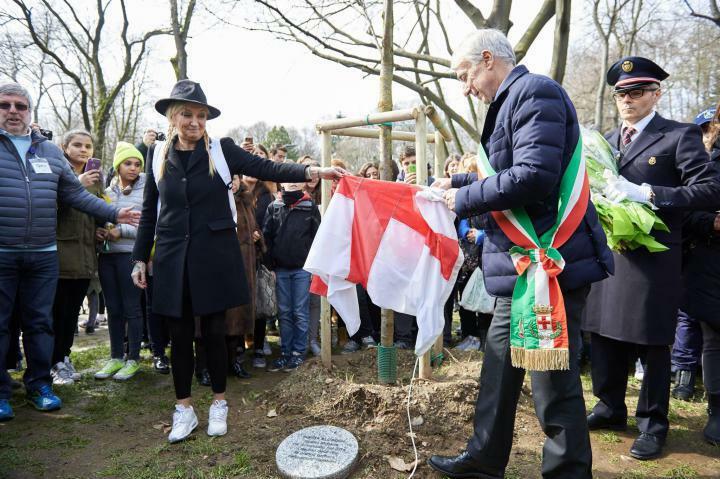 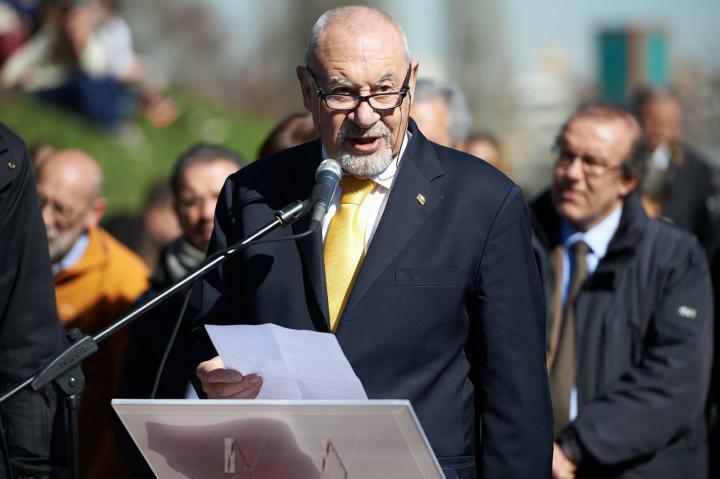 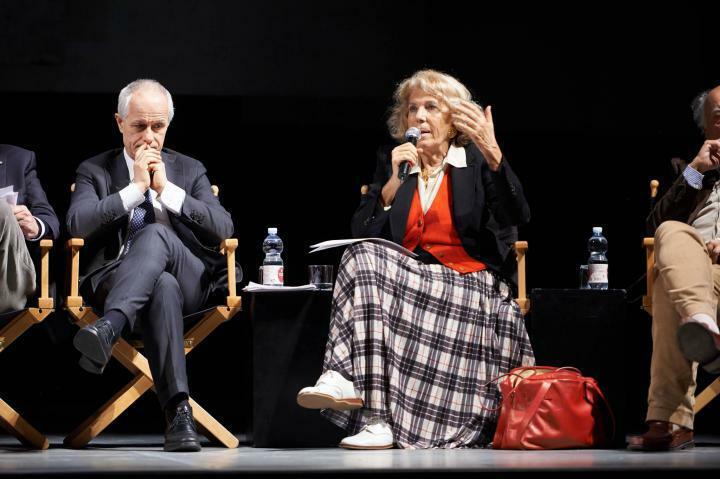 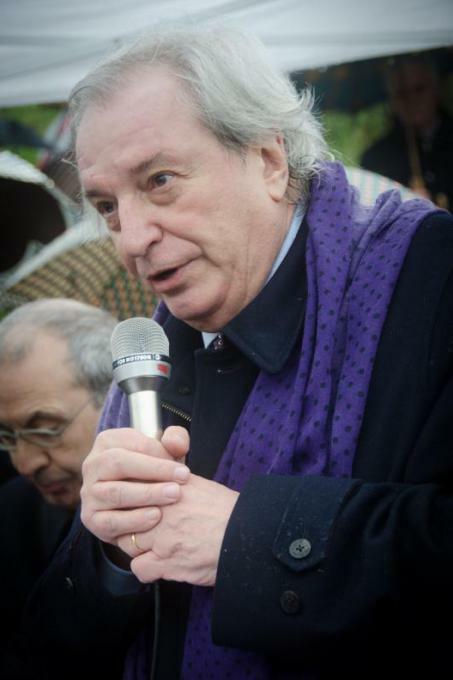 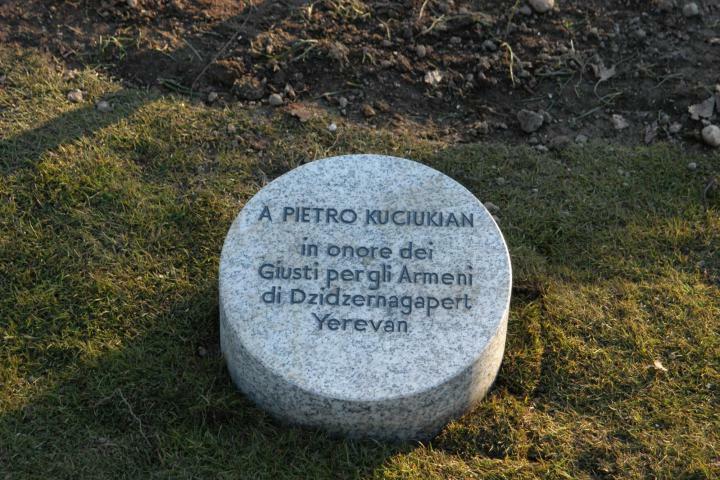 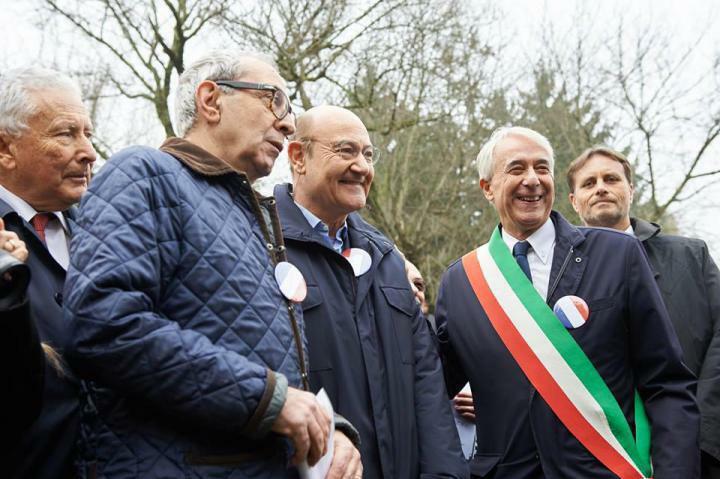 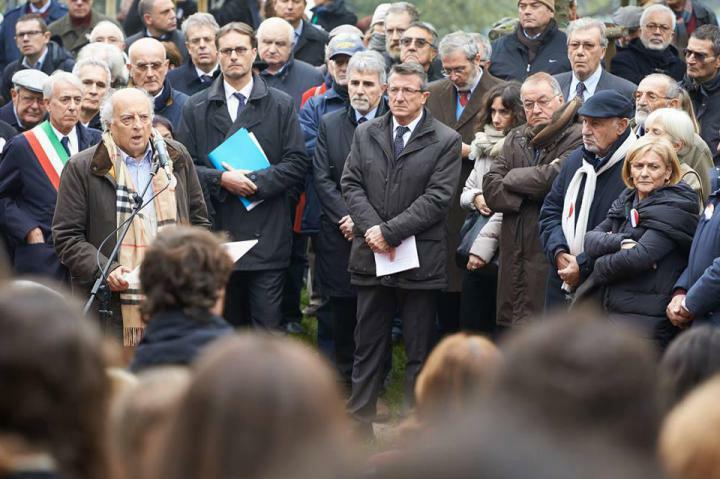 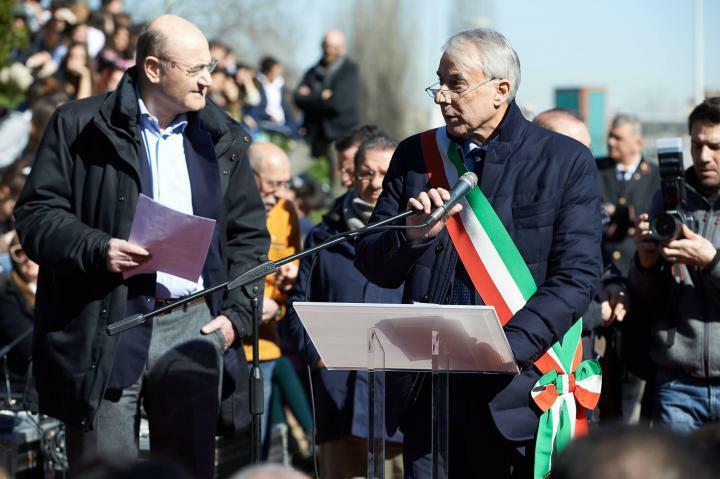 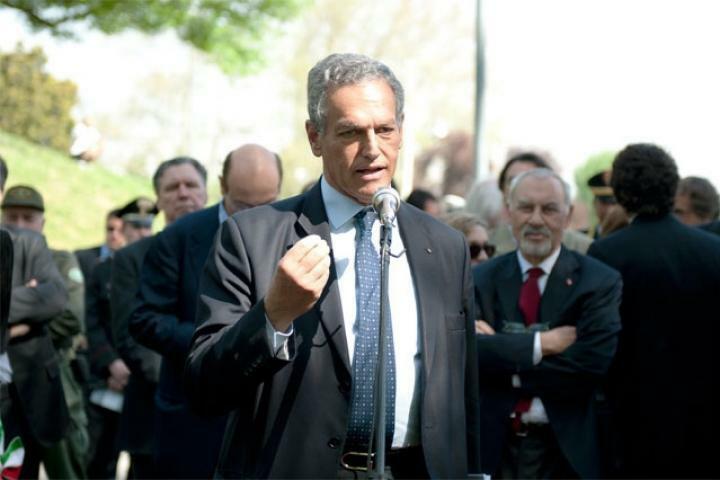 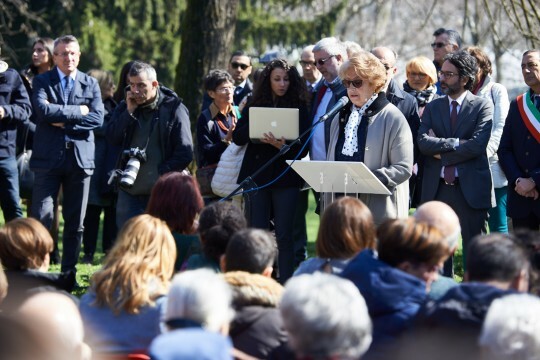 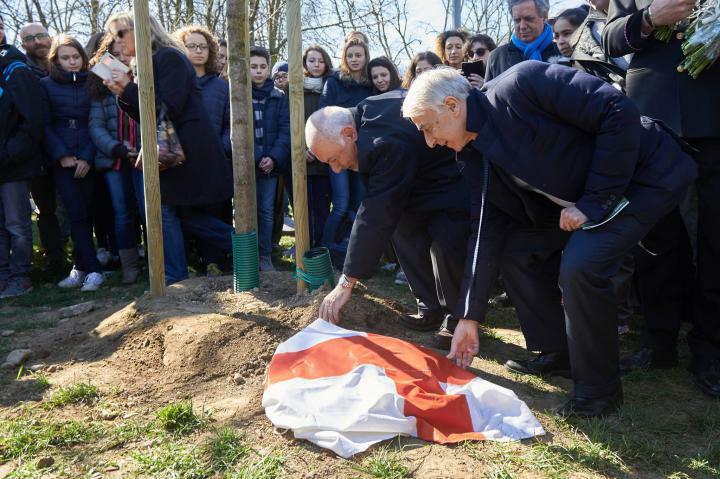 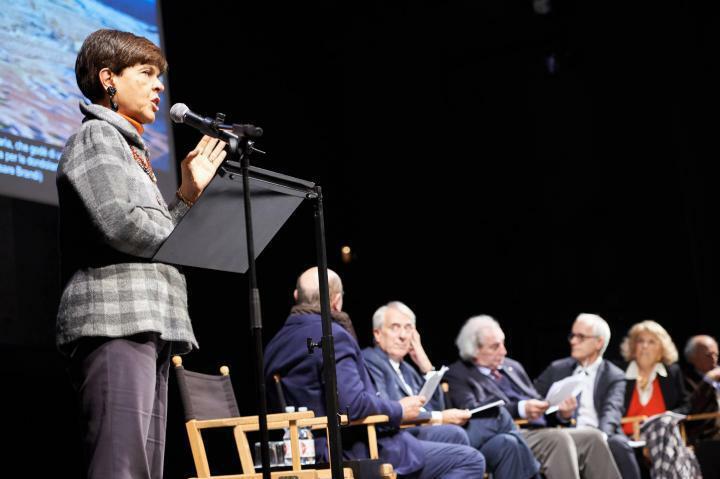 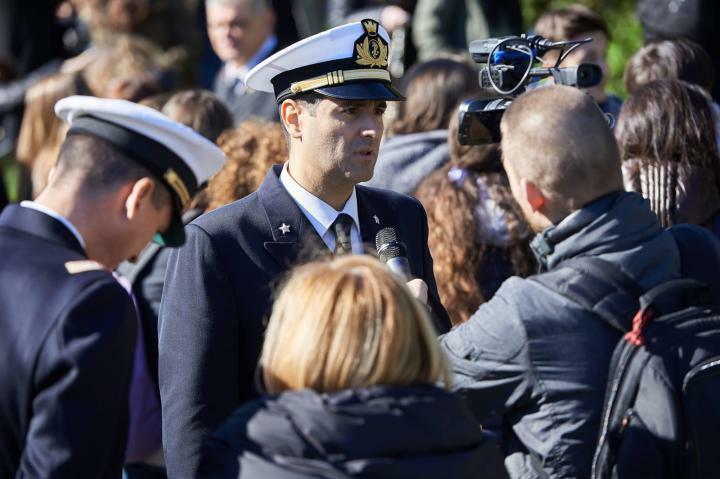 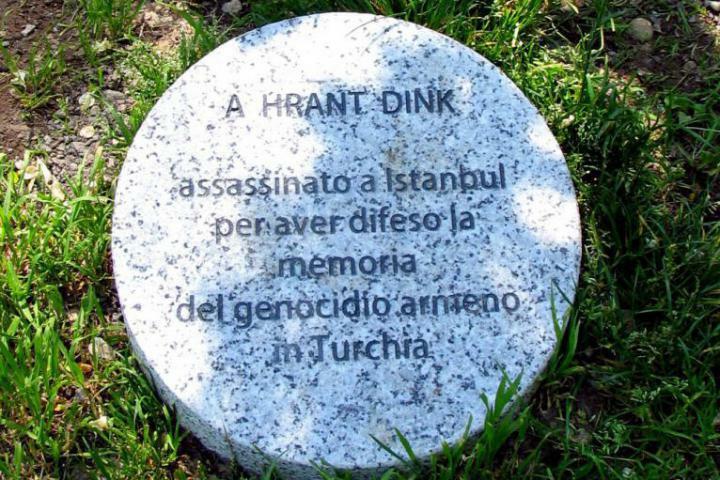 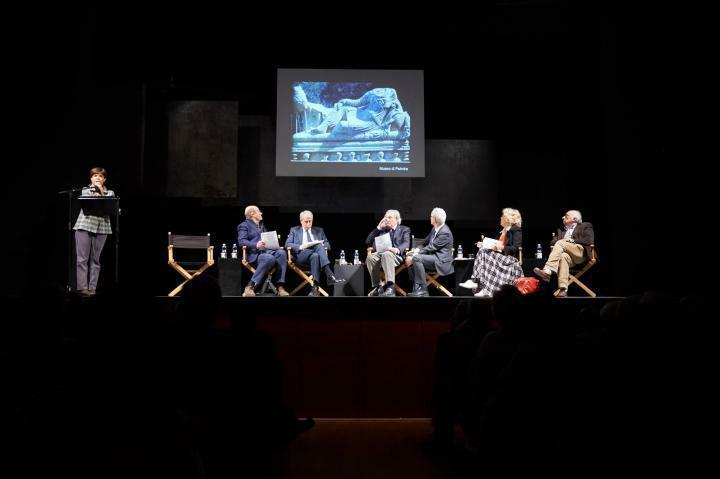 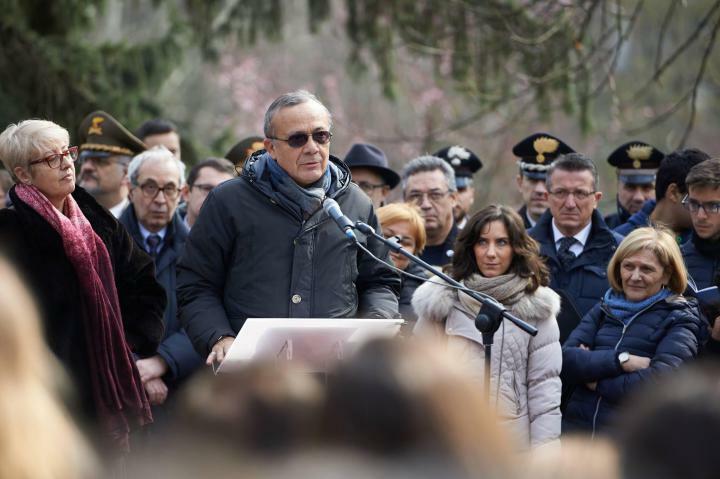 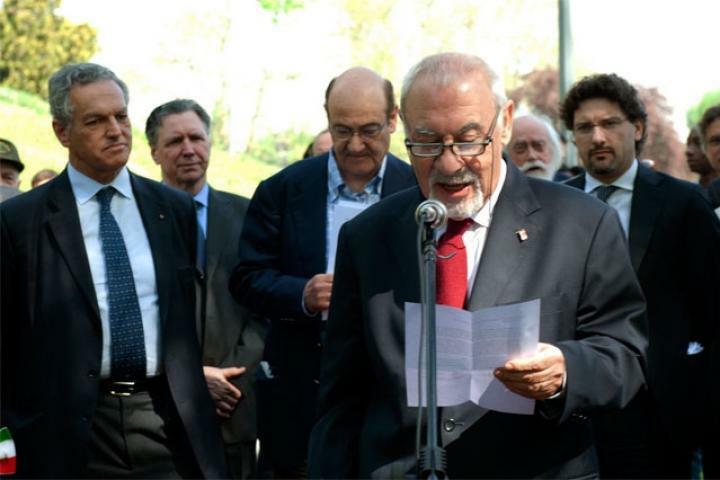 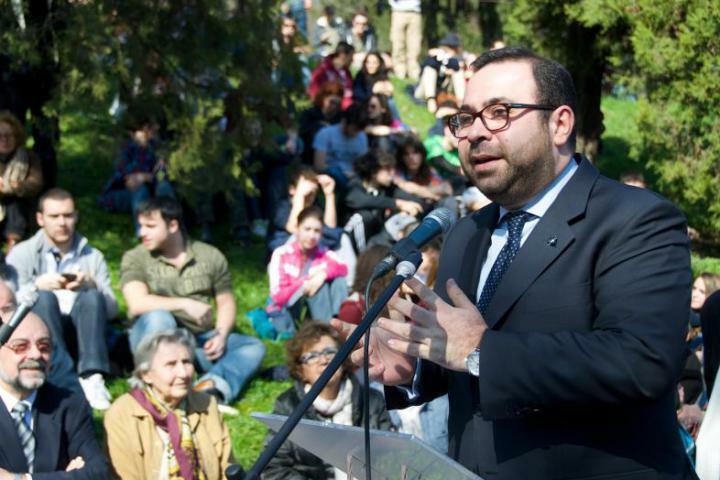 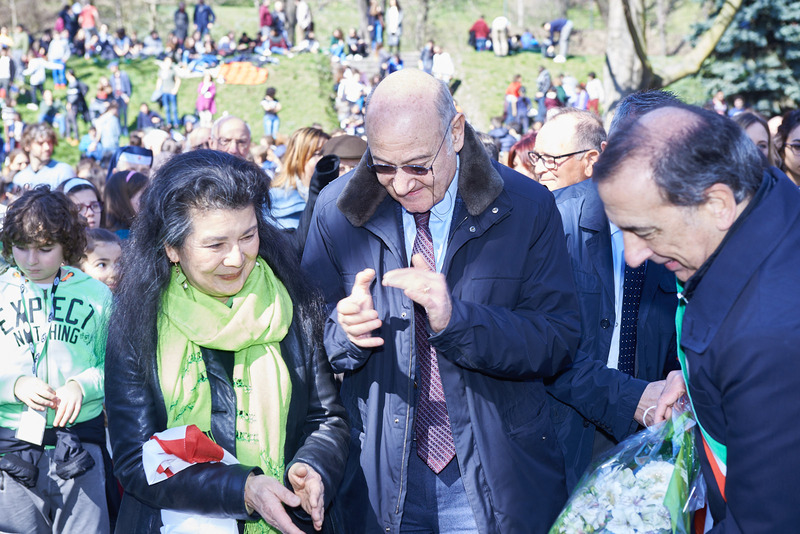 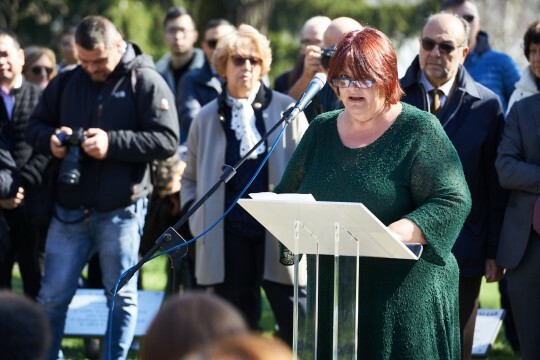 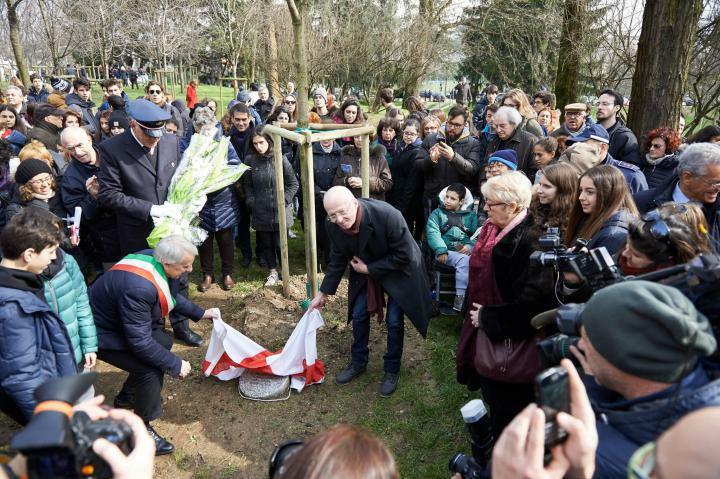 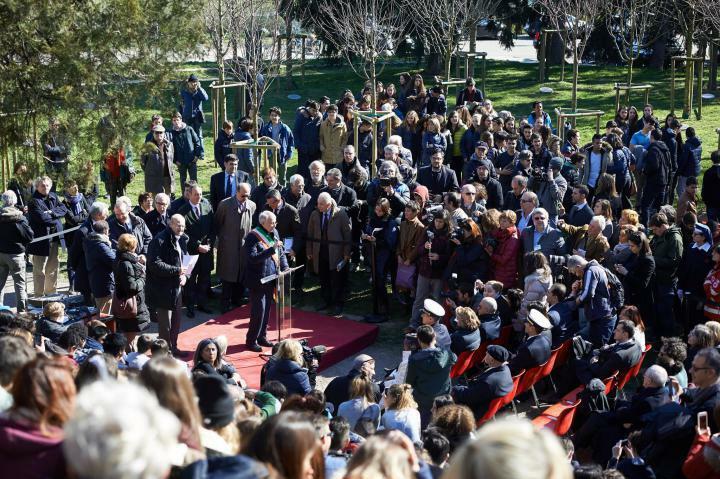 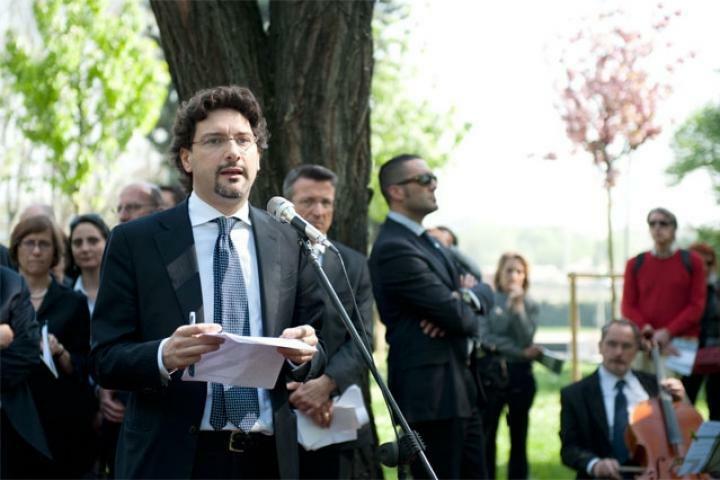 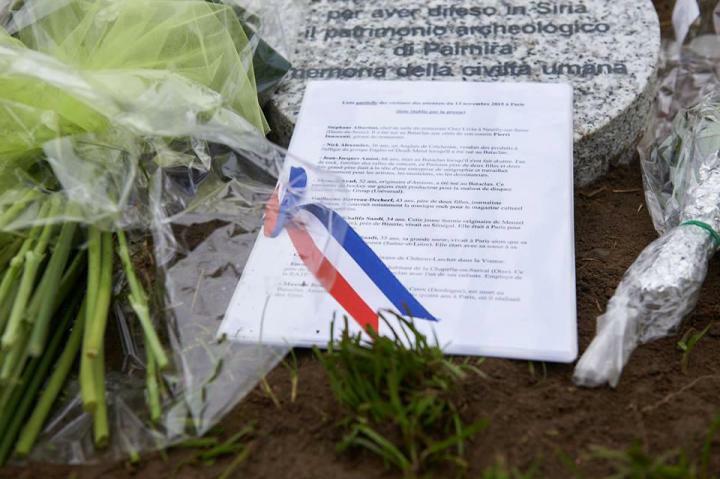 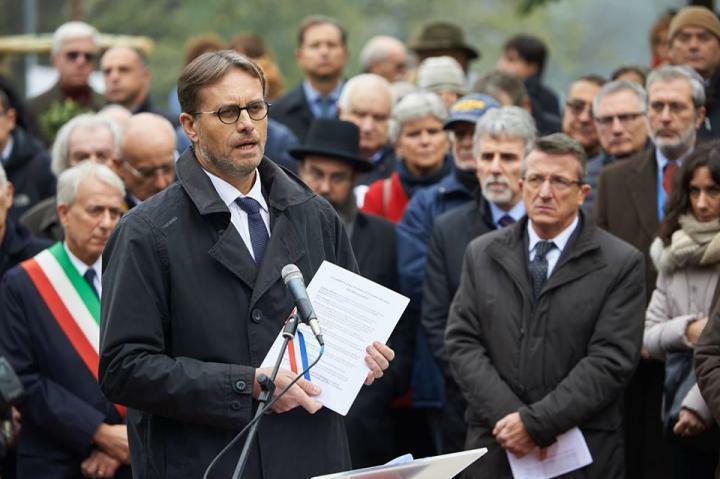 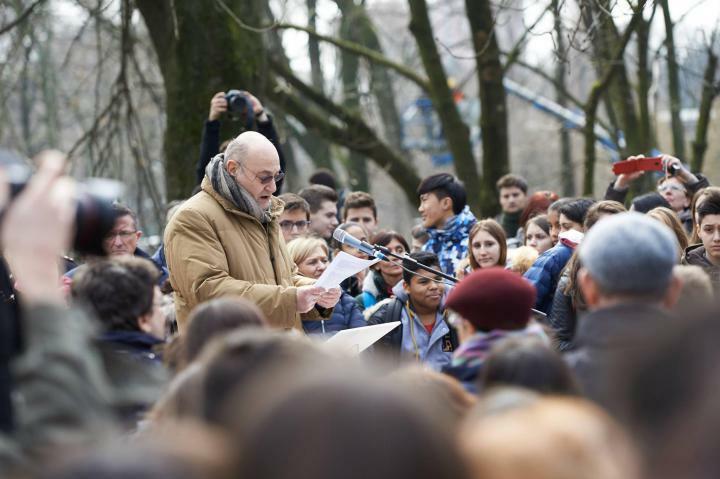 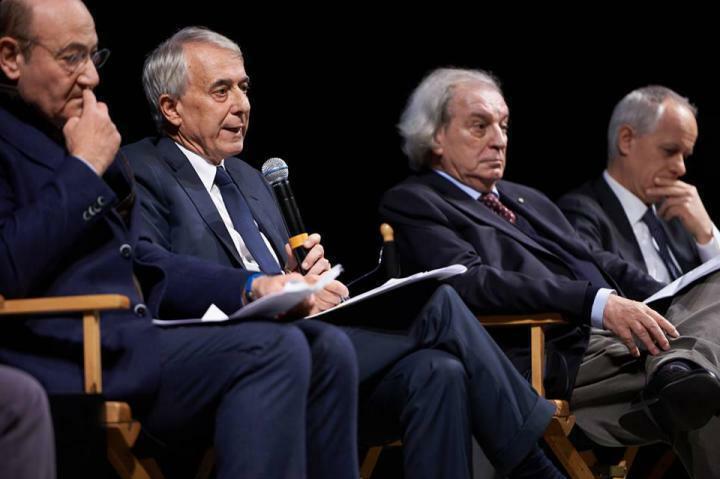 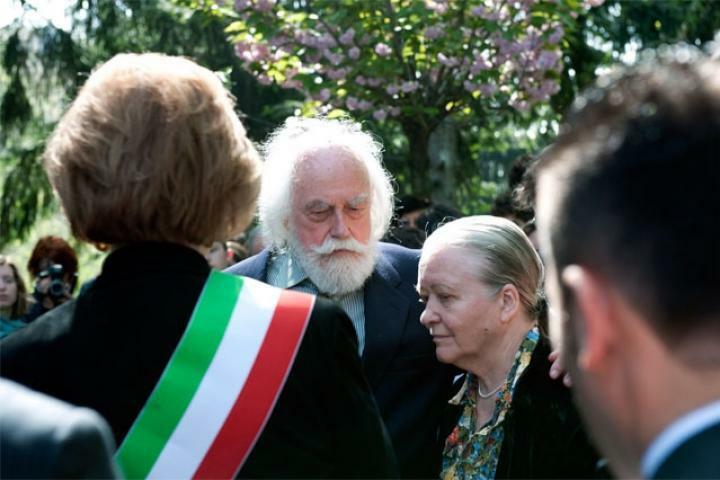 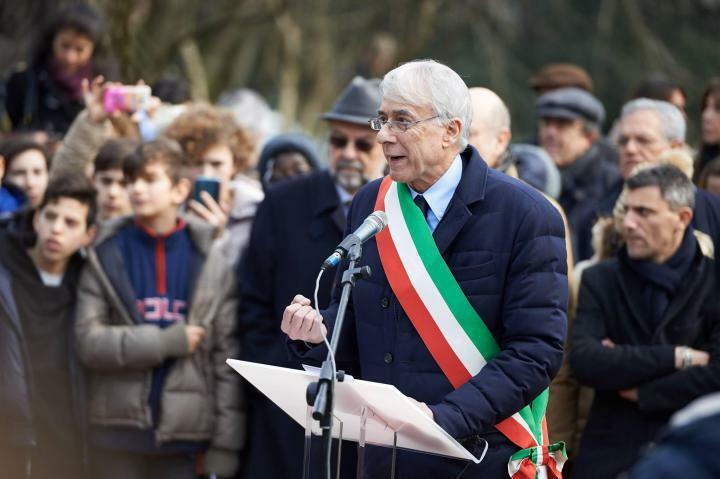 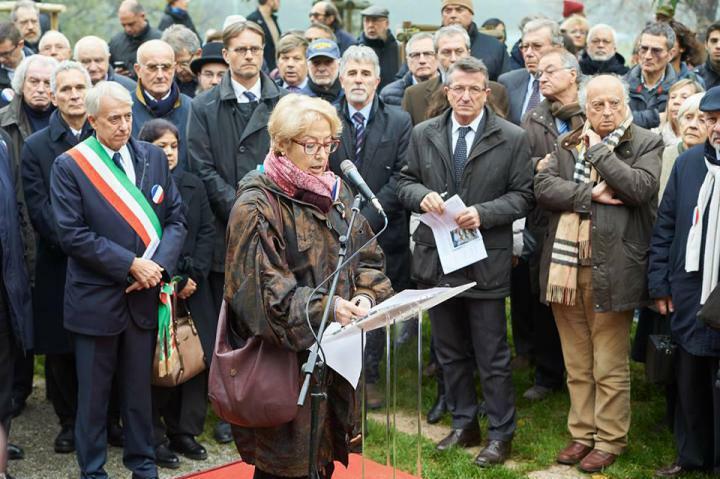 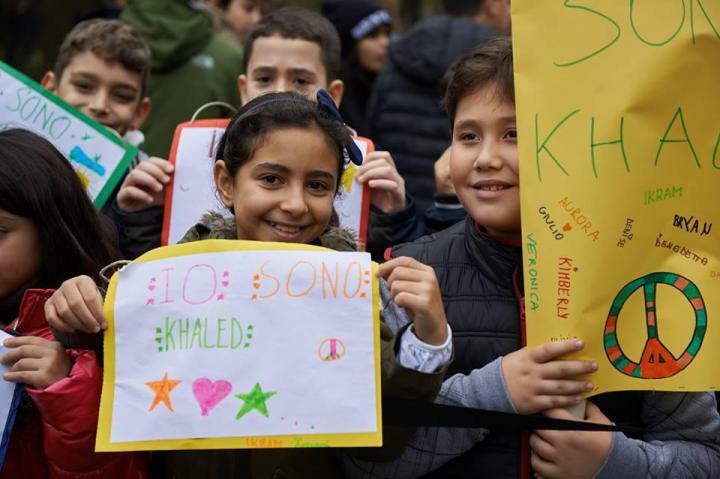 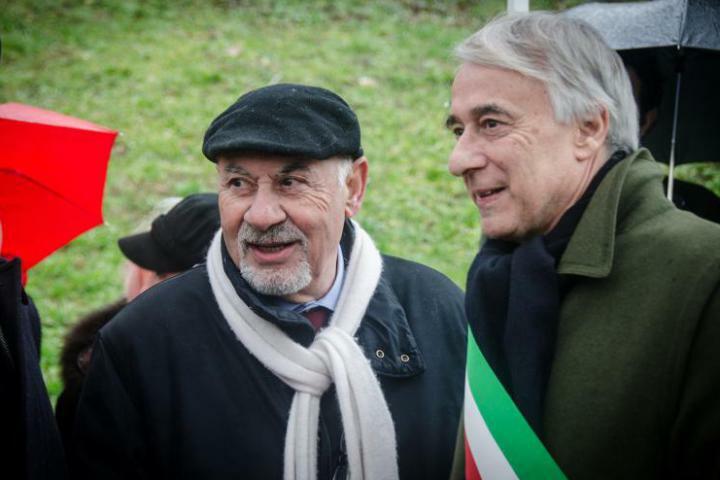 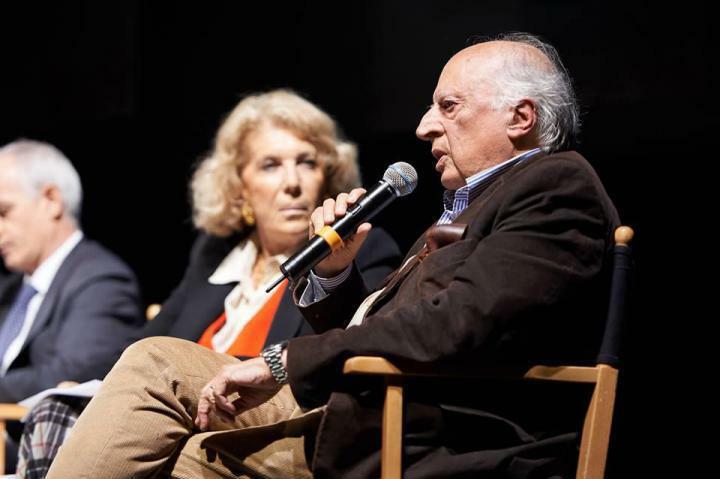 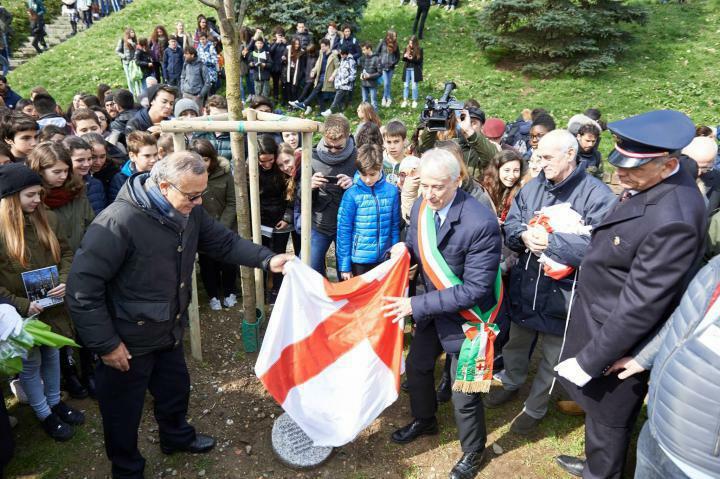 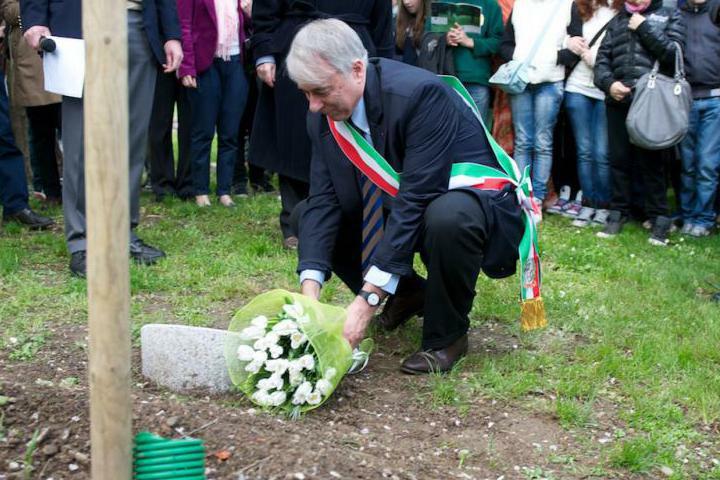 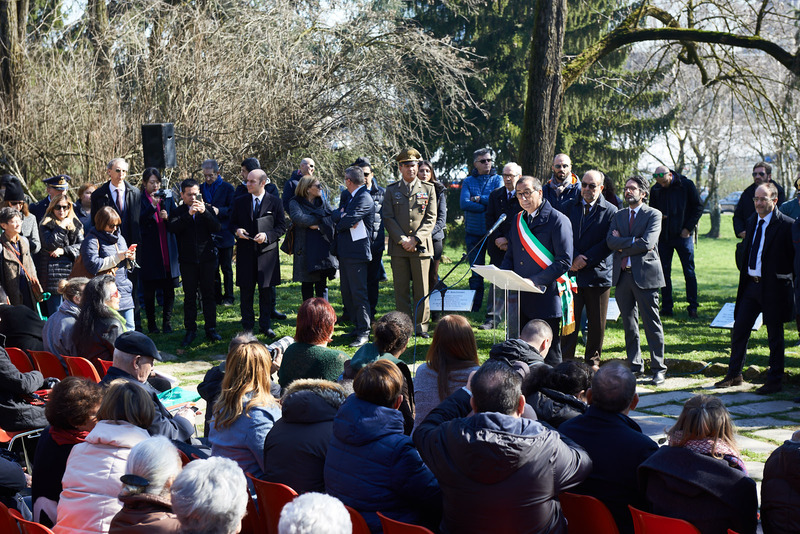 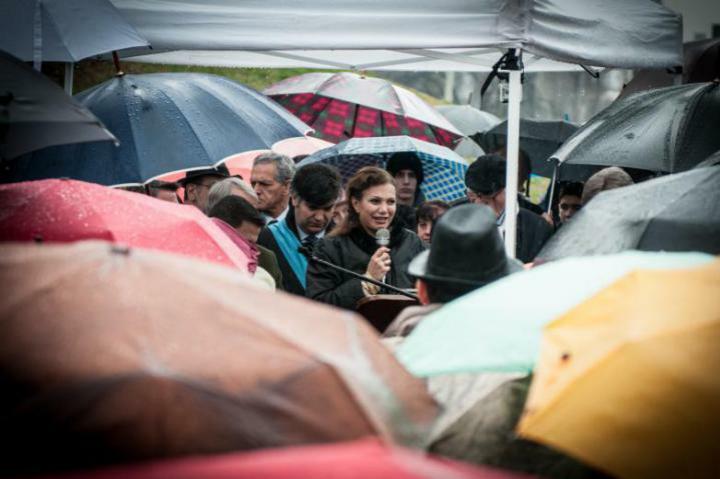 The Garden was created upon suggestion of Gabriele Nissim, Chairman of the Gardens of the Righteous Worldwide Committee, to dedicate a symbolic place of the town to the memory of the exemplary figures who morally resisted totalitarianism and genocide from all over the world. 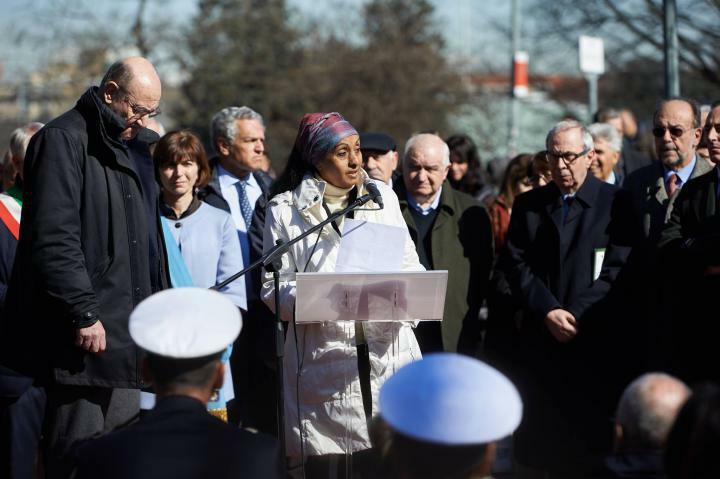 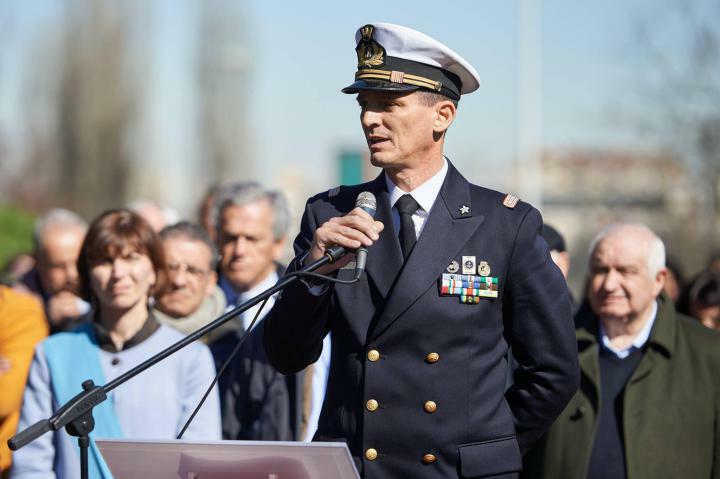 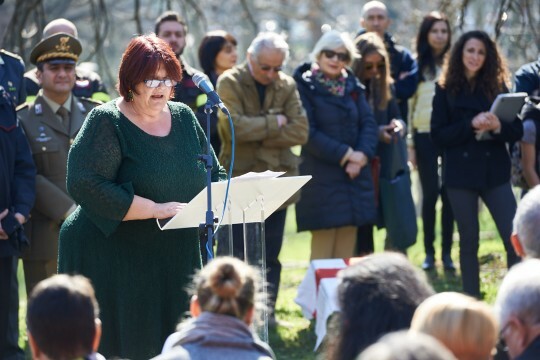 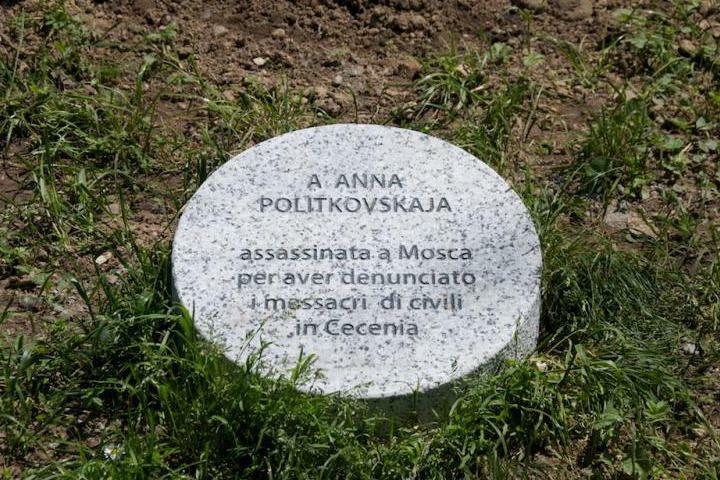 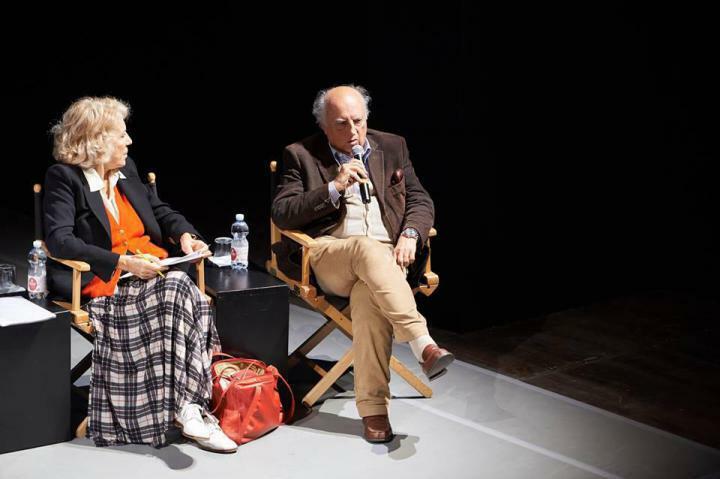 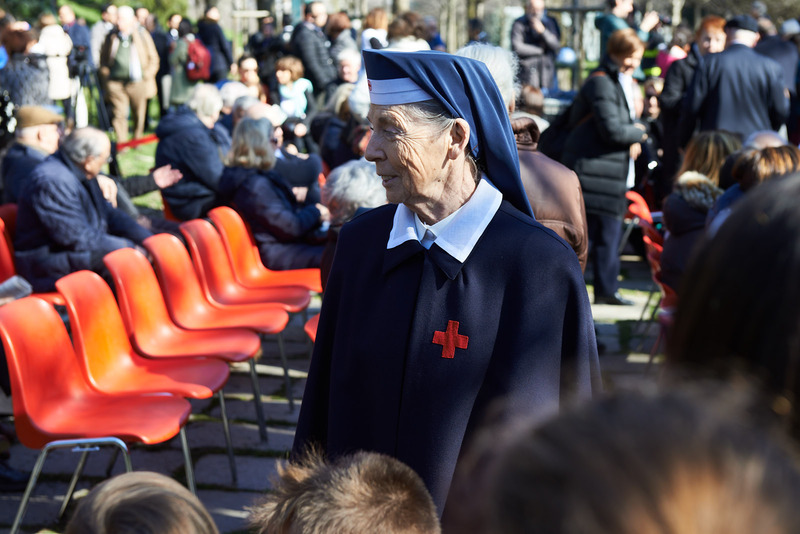 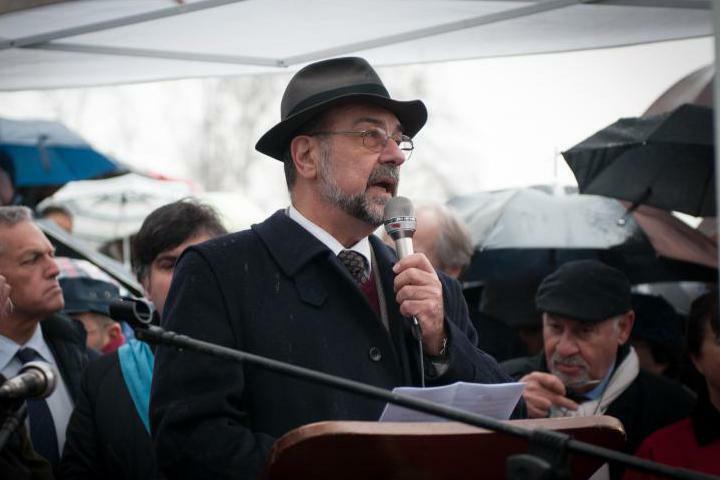 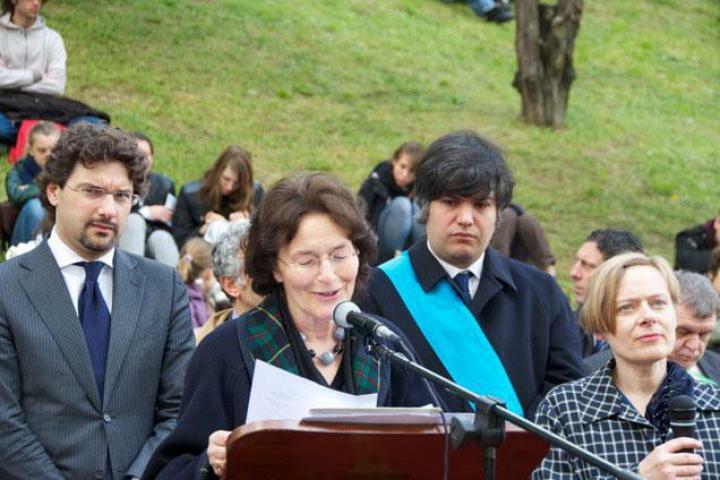 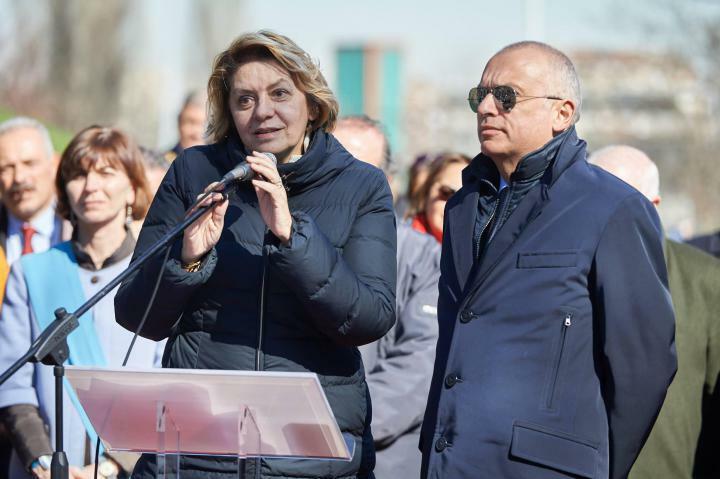 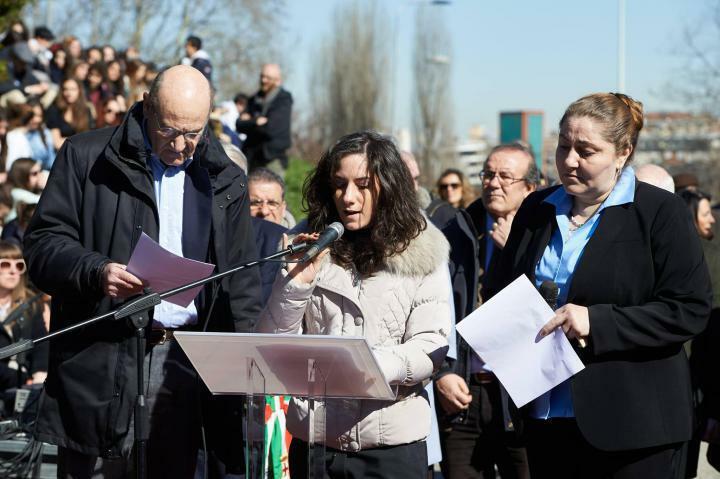 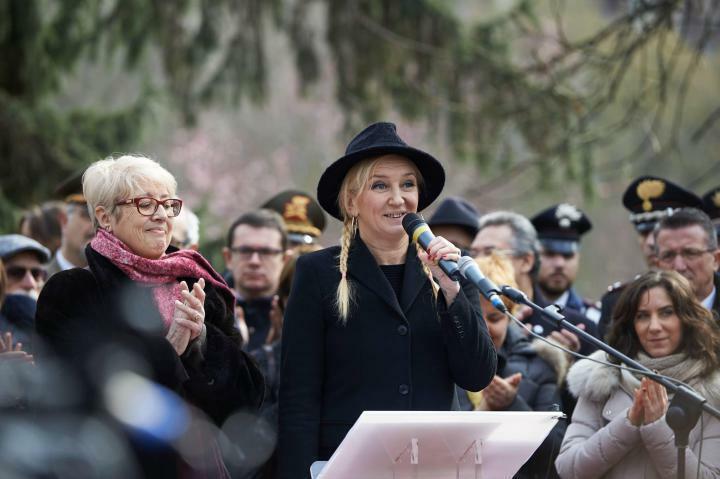 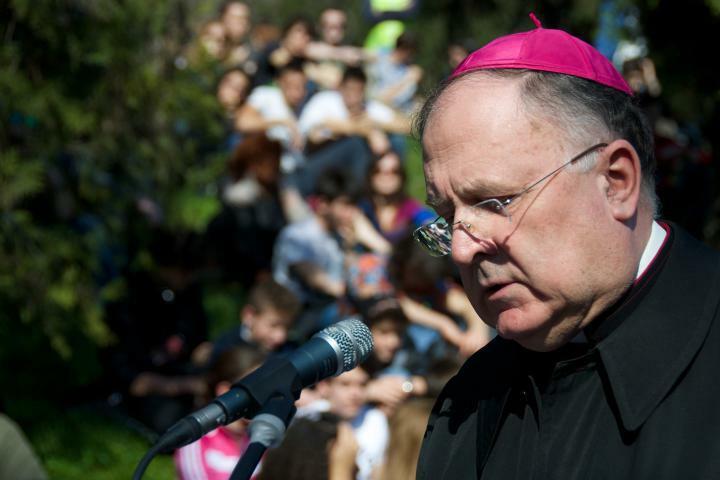 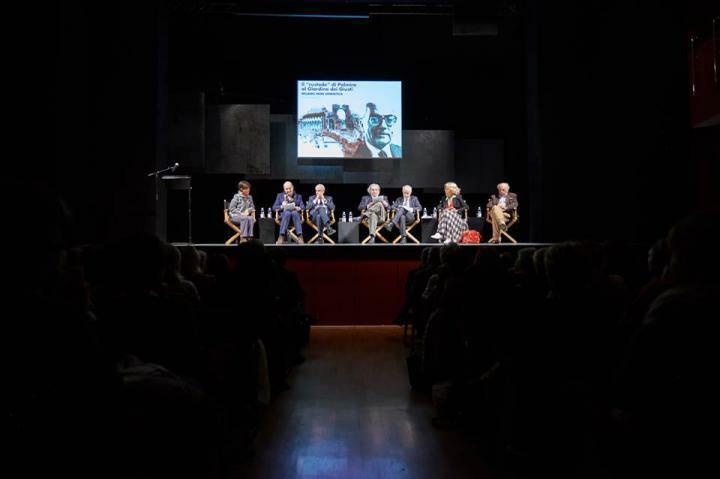 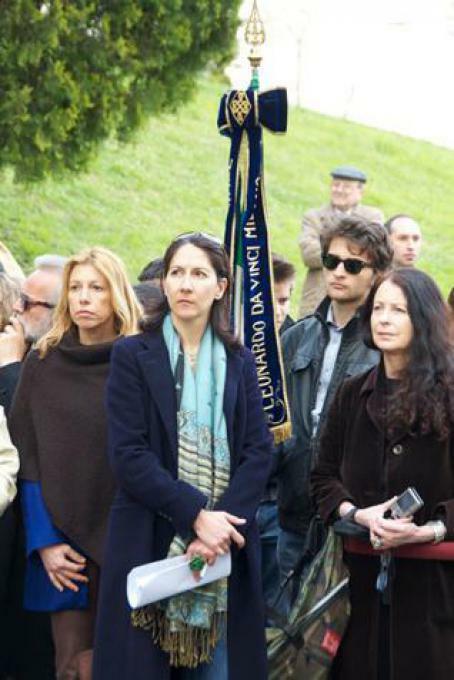 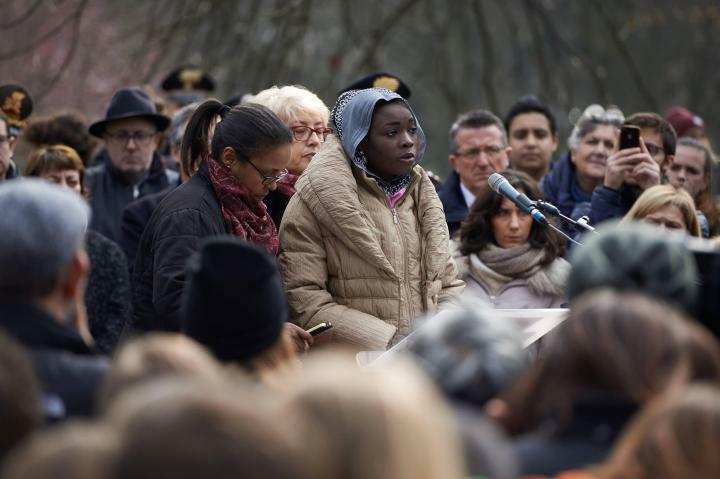 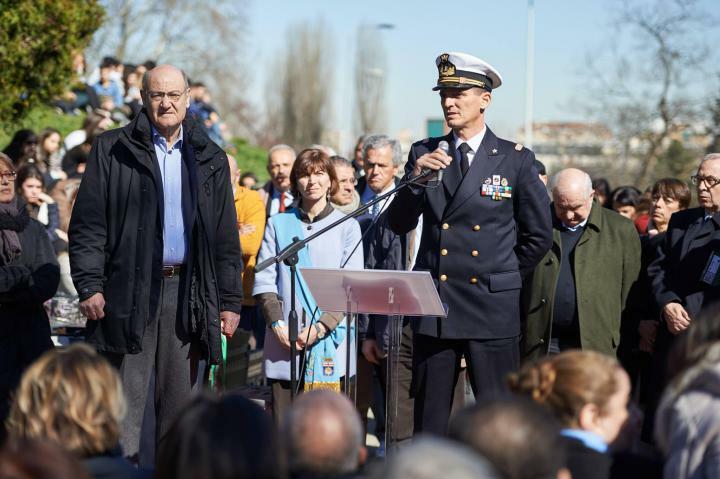 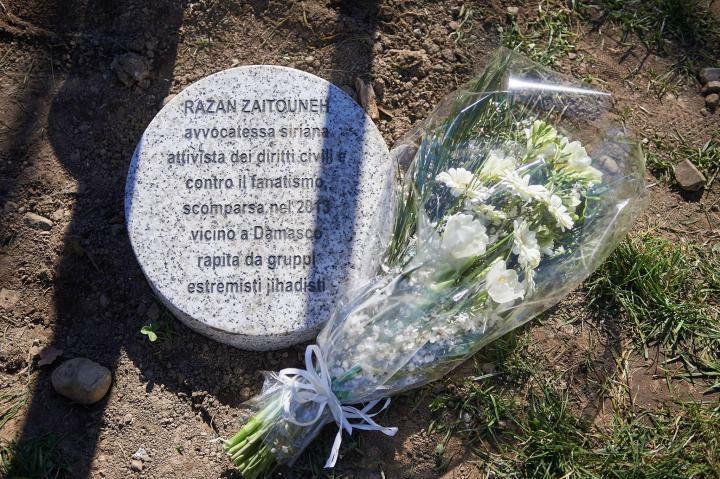 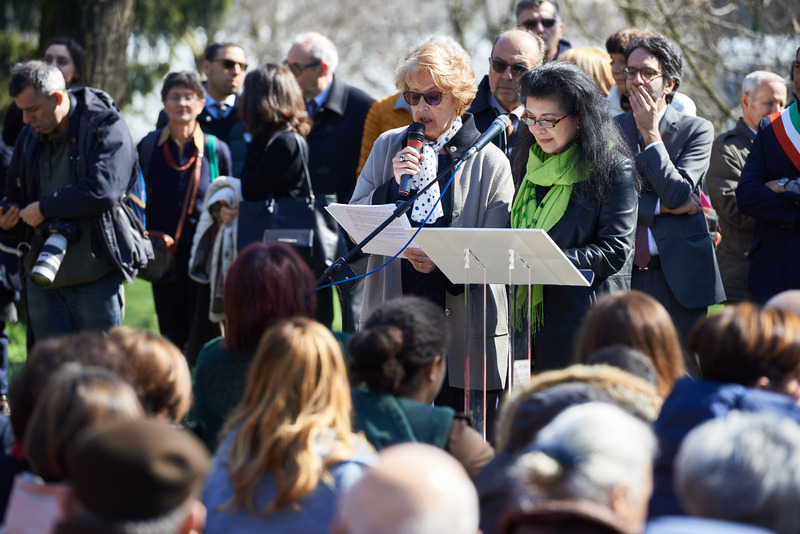 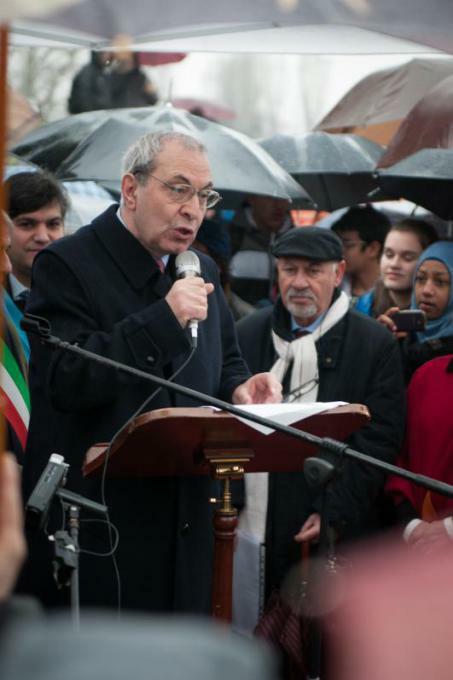 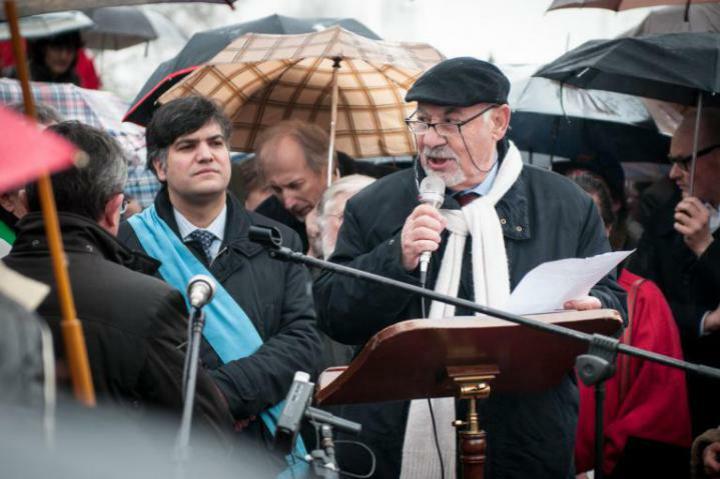 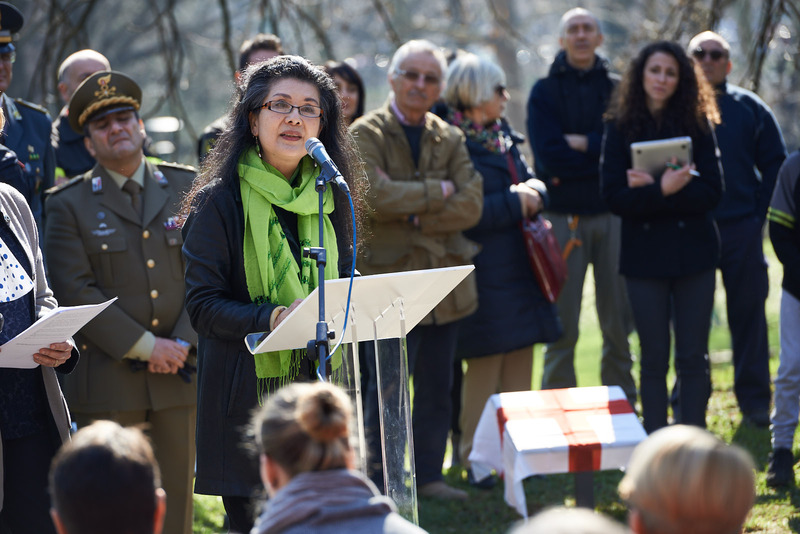 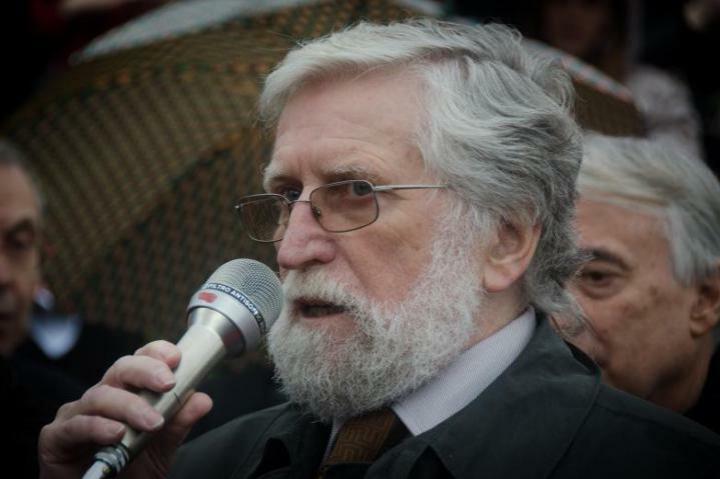 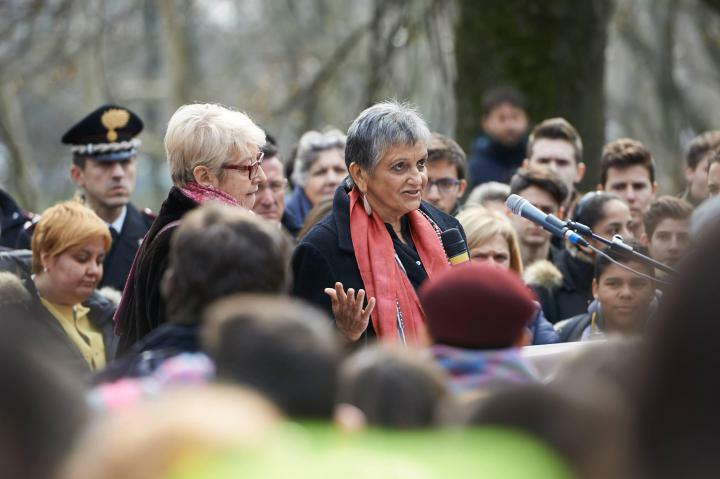 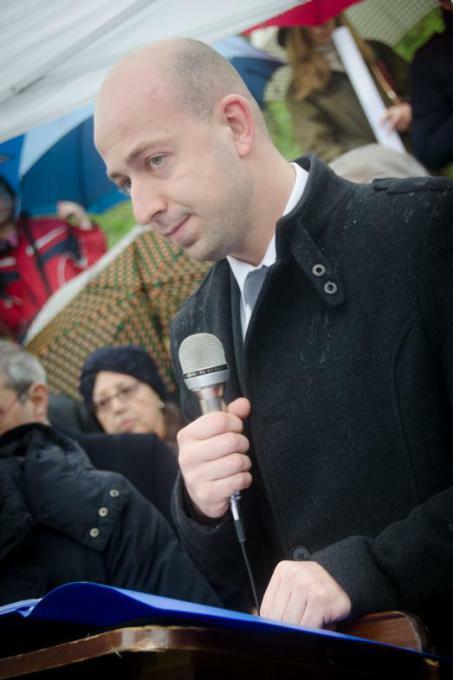 8 March 2016, Ceremony "The moral and civil resistance of women for their dignity as a universal heritage"
6 March 2015, Ceremony "Then and now, the Always Needed Righteous"
6 March 2014, Ceremony "Believers and non-believers, the same responsibility"
6 March 2013, Ceremony "Public figures at the service of the common good"
7 April 2012, Ceremony "The witnesses of memory"
the Cambodian genocide testimony in "Back from Hell"
7 April 2011, Ceremony "The unheard witnesses"
author of "The GULag Archipelago"